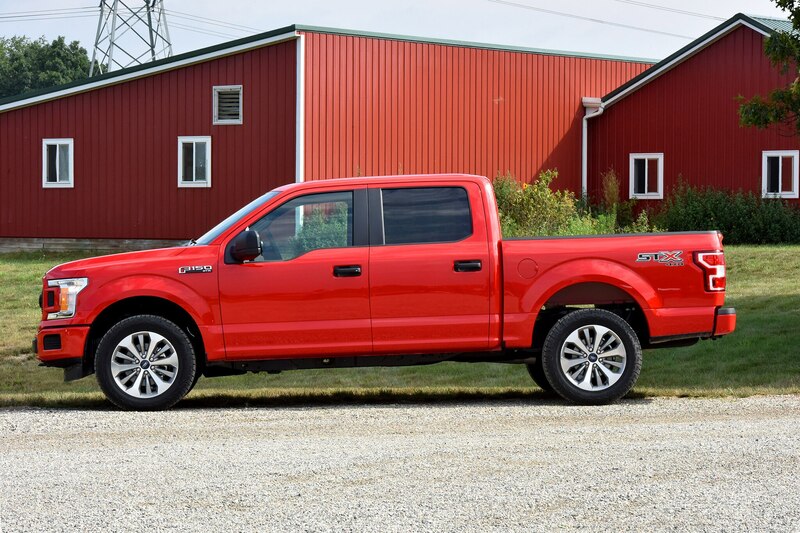 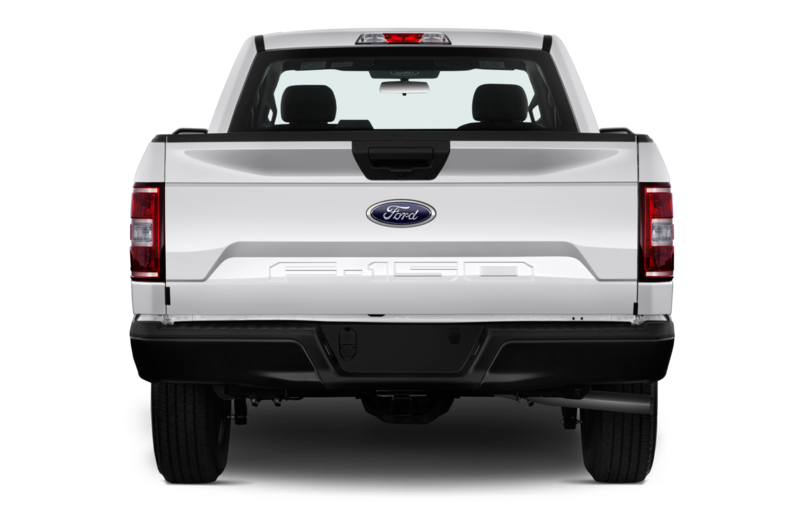 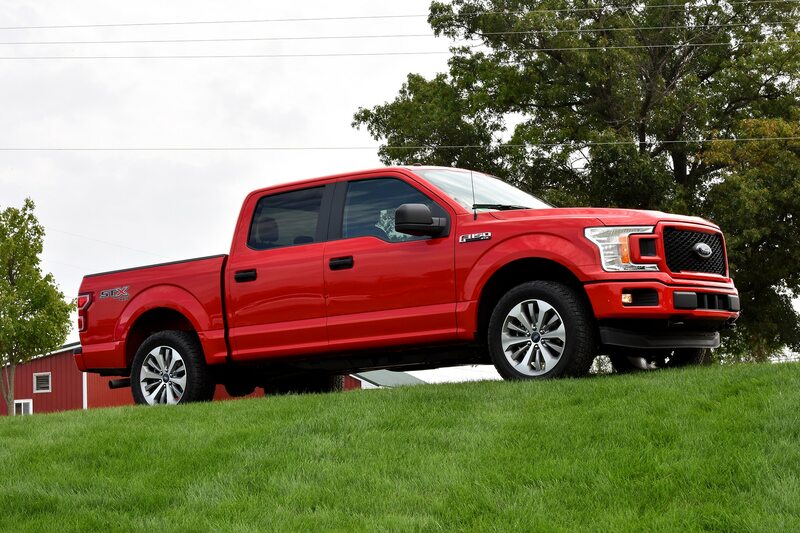 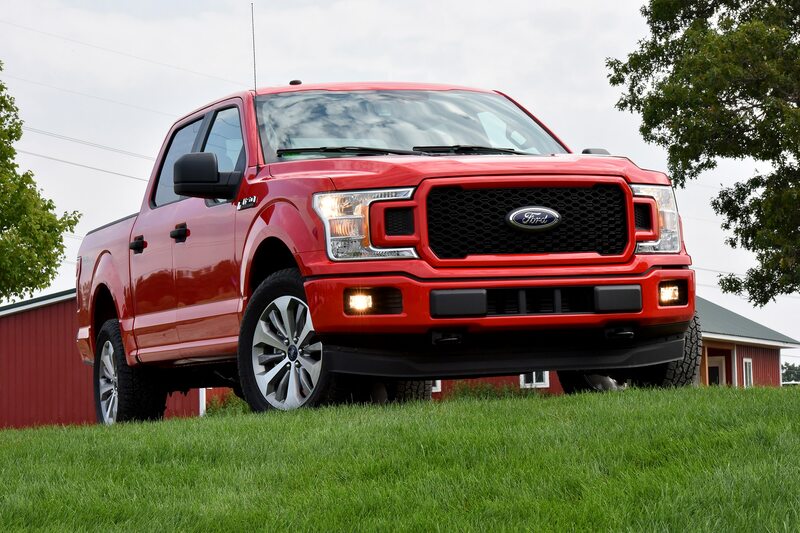 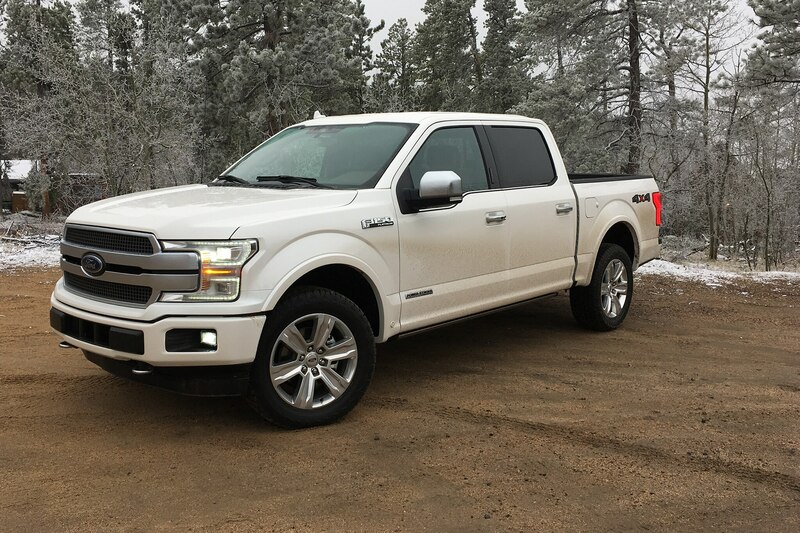 BROOMFIELD, Colorado — Ford has been talking about a diesel-powered F-150 for years, but we never thought we’d live to see it, especially not after Dieselgate. 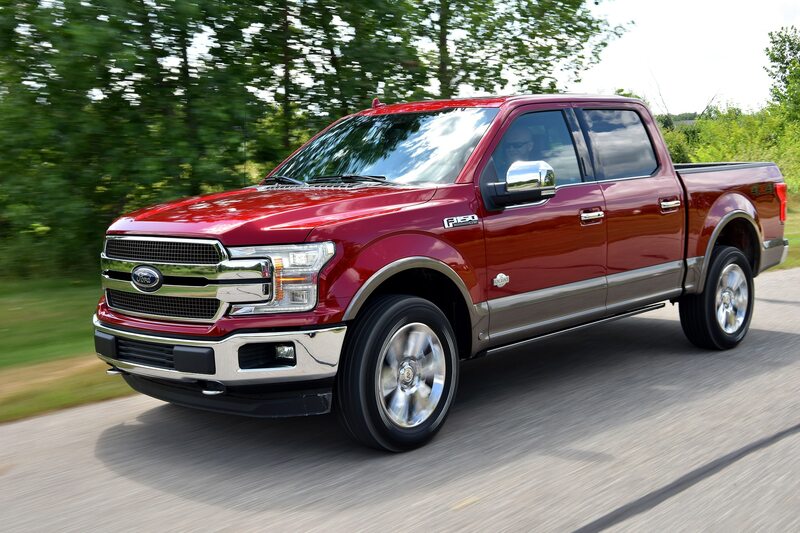 And yet here we are, reviewing the first-ever F-150 with a compression-ignition engine. 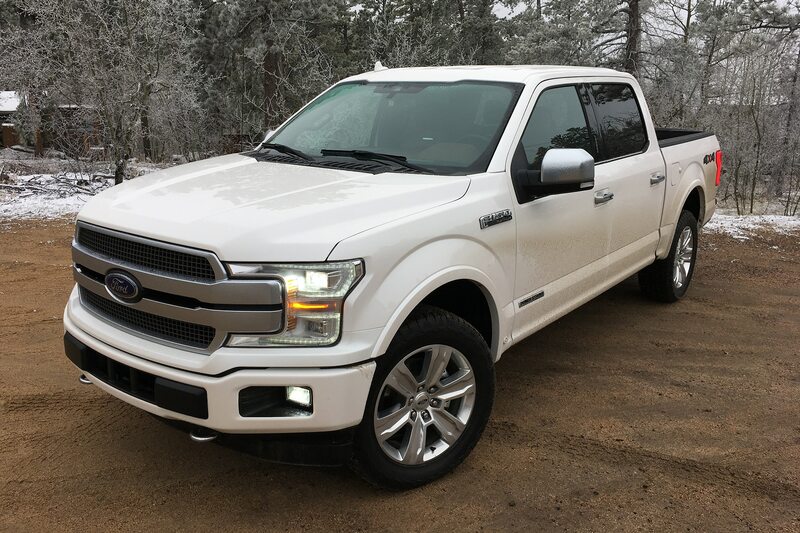 If the devil is on your Christmas list, you might want to send him an ice scraper and a warm coat. 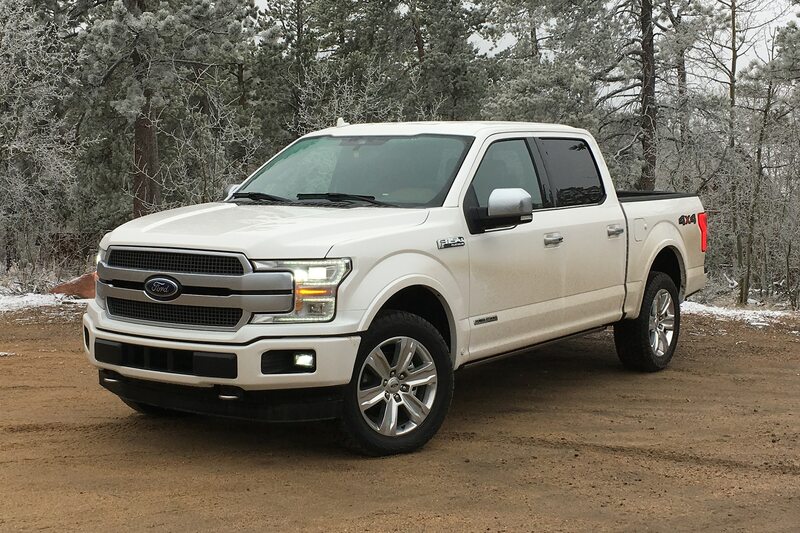 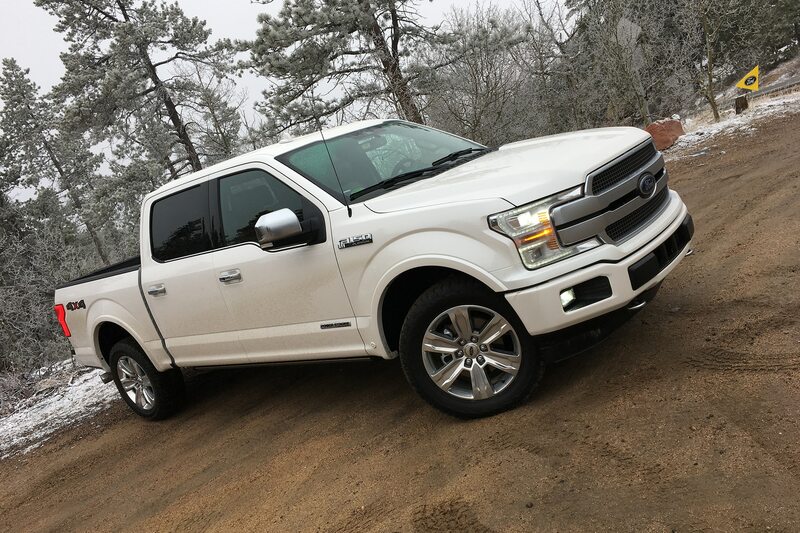 We got a chance to sample Ford’s new 2018 F-150 Power Stroke diesel on the high, hilly roads outside of Denver. 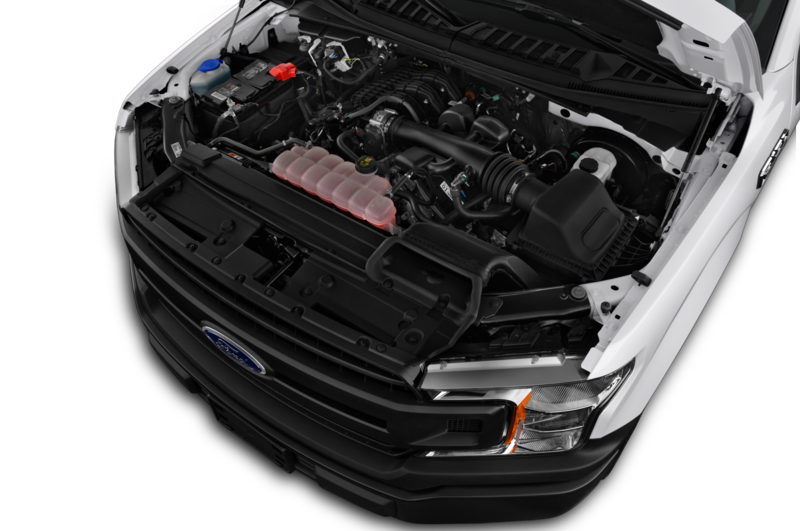 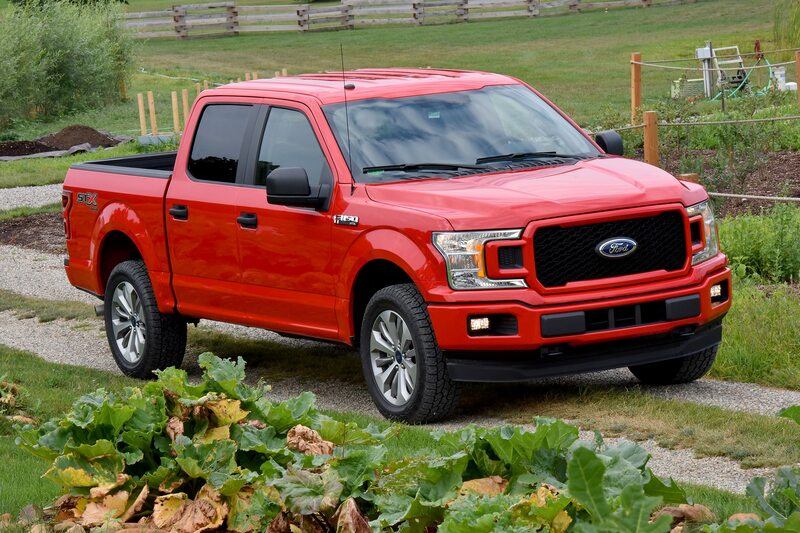 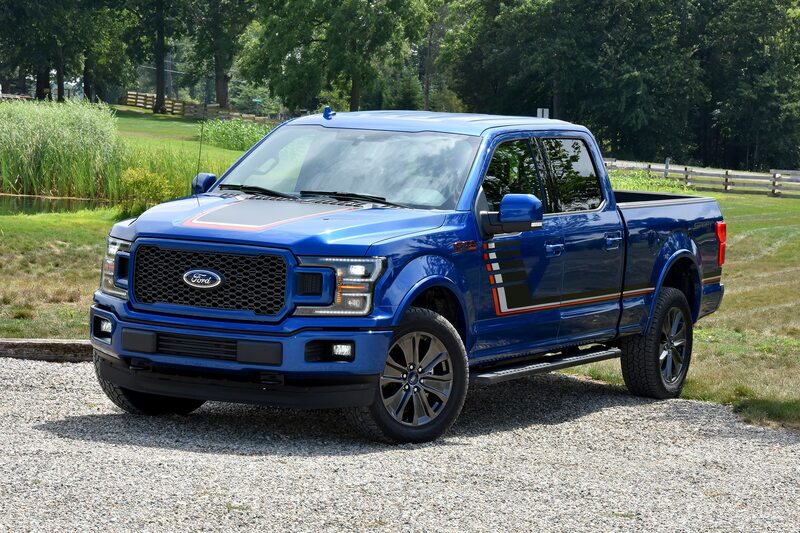 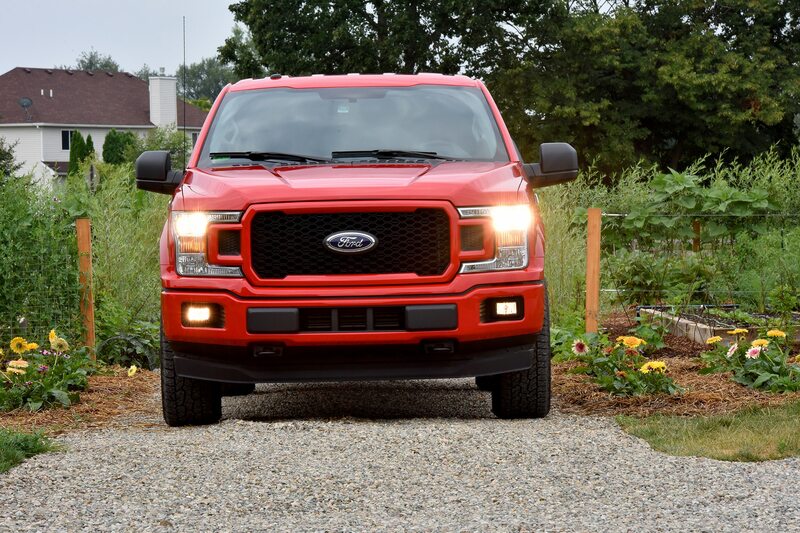 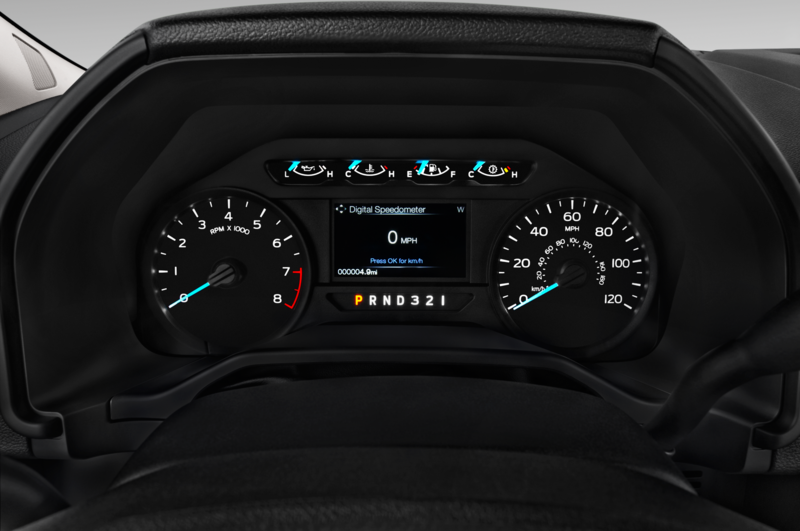 Ford is touting the 3.0-liter V-6’s fuel economy—the truck has a 30 mpg highway rating from the EPA—this no doubt being the engine’s raison d’être. 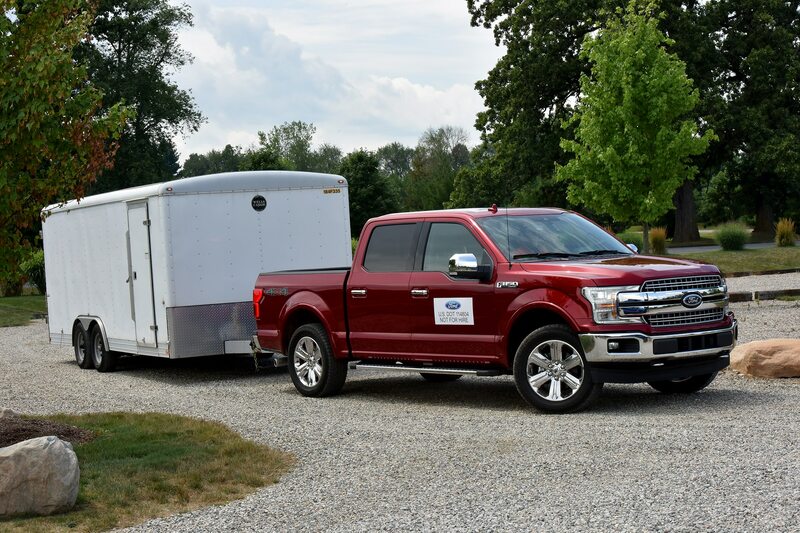 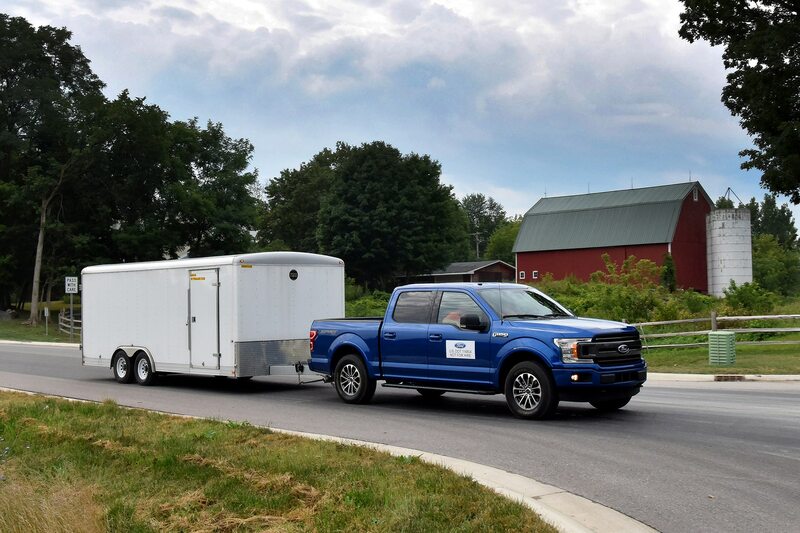 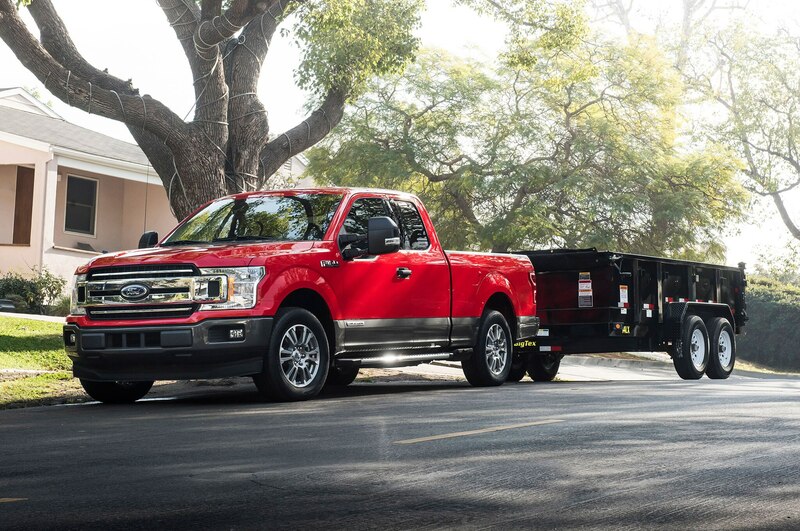 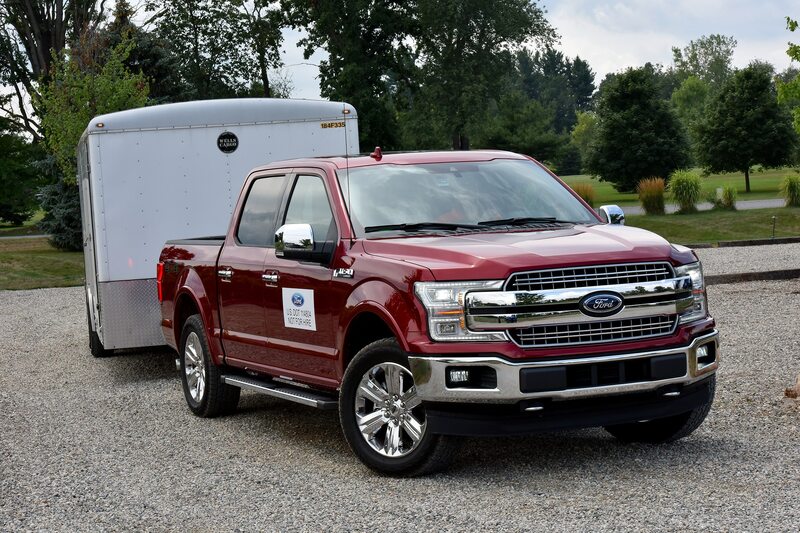 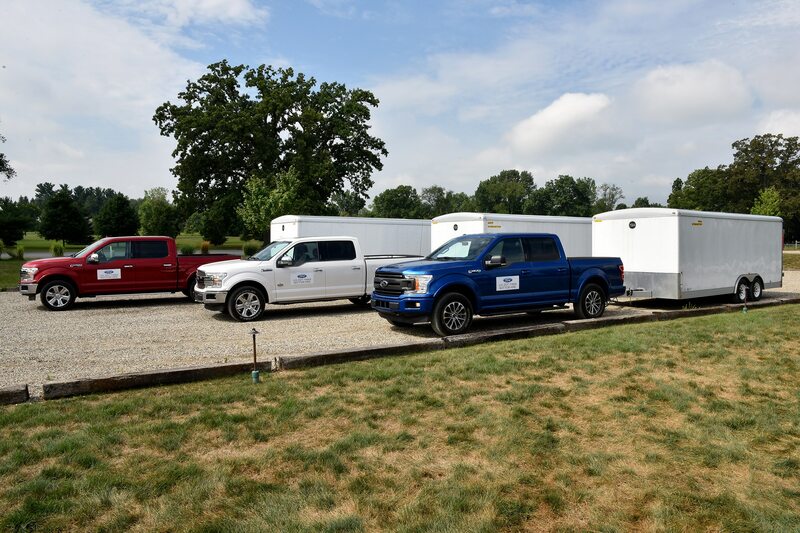 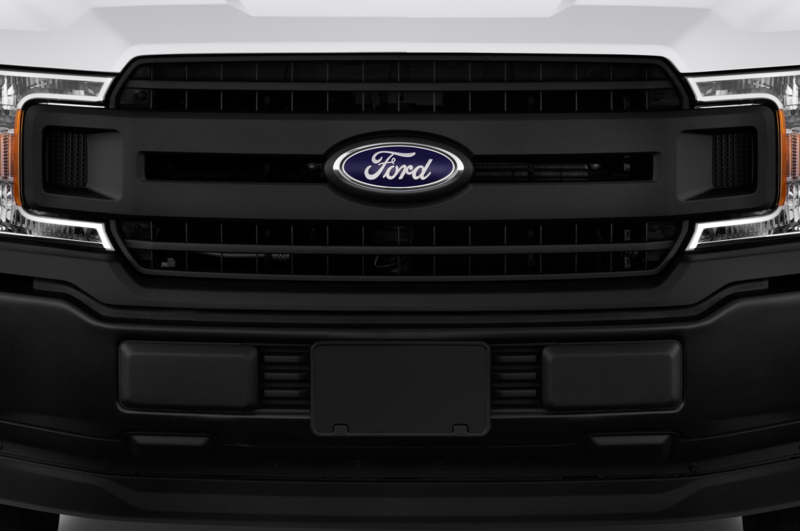 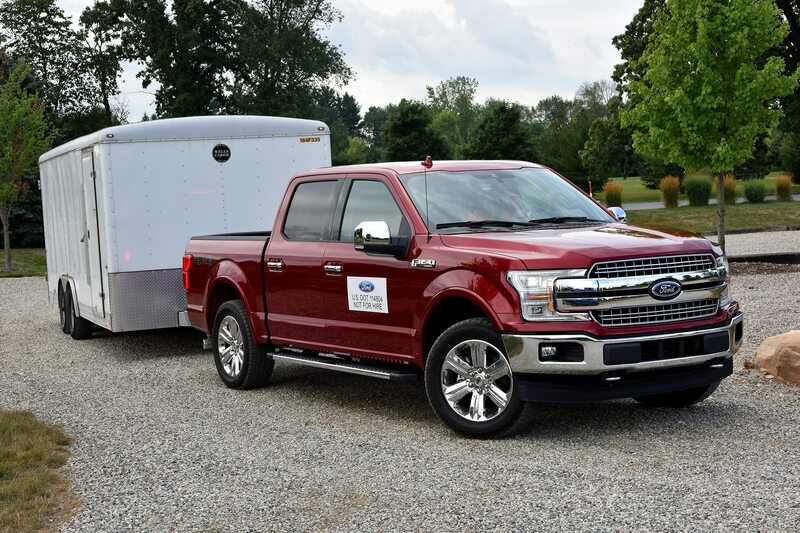 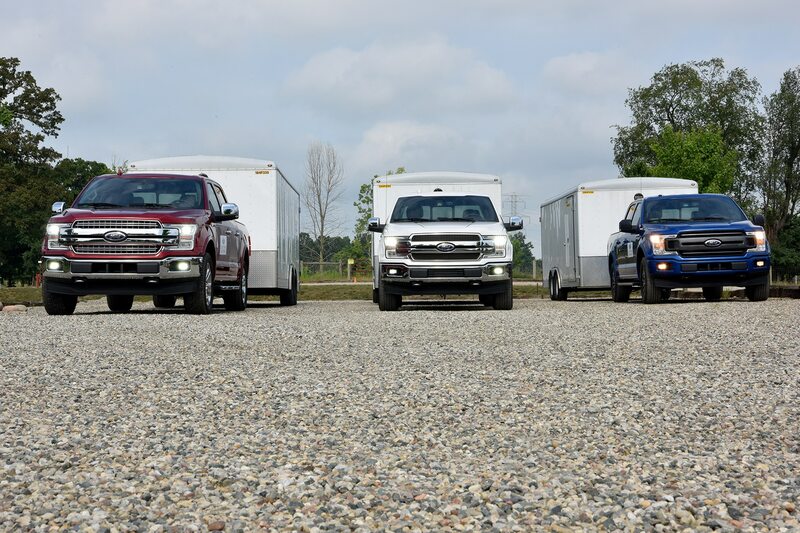 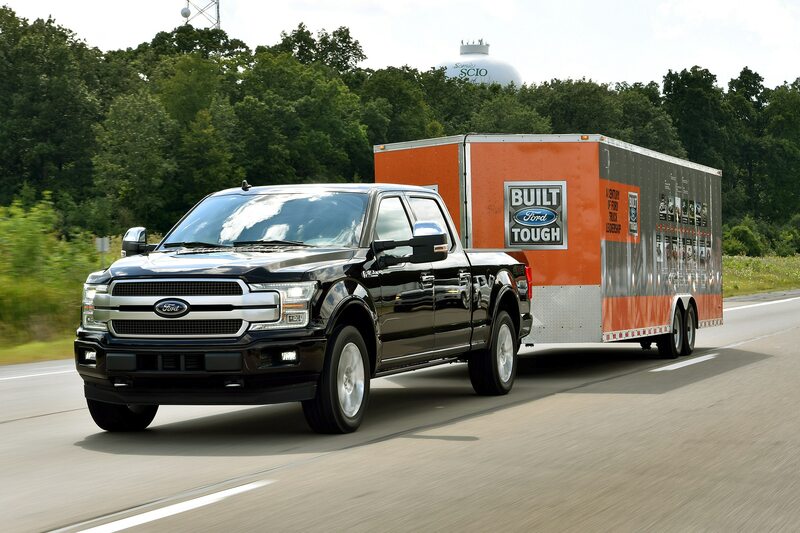 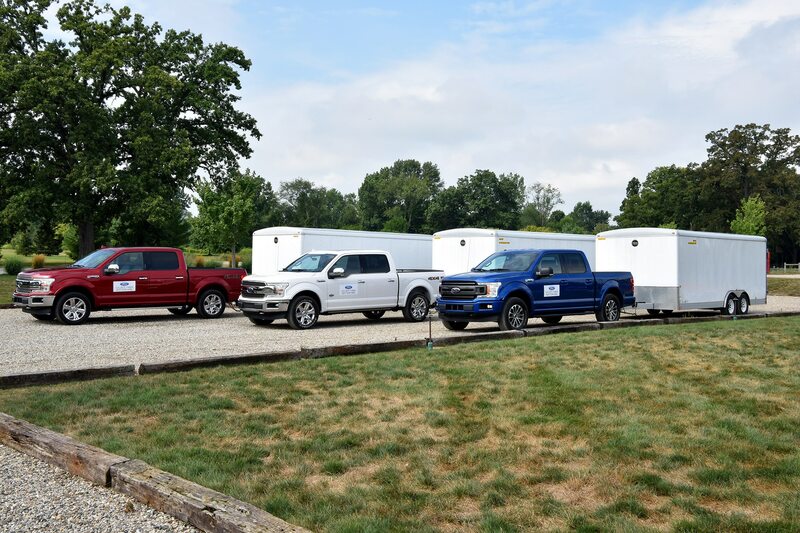 But they also wanted to remind us that Ford’s commitment to work is still intact, and the press preview included towing and hauling opportunities, of which we eagerly took advantage. 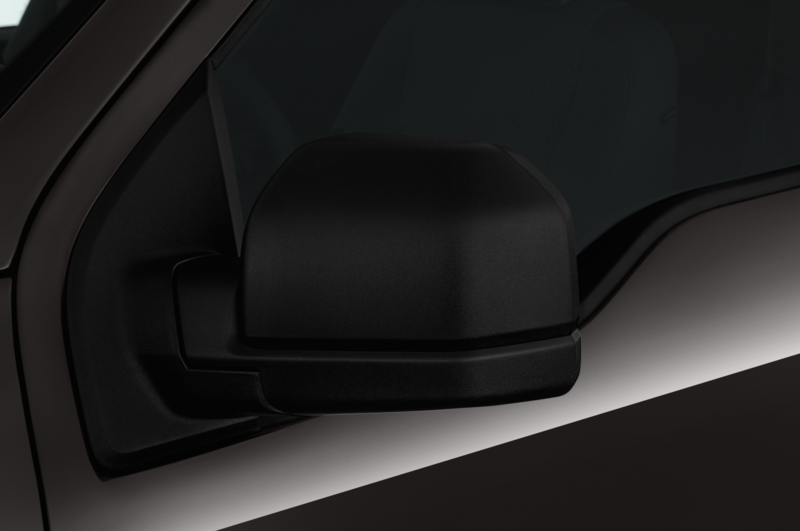 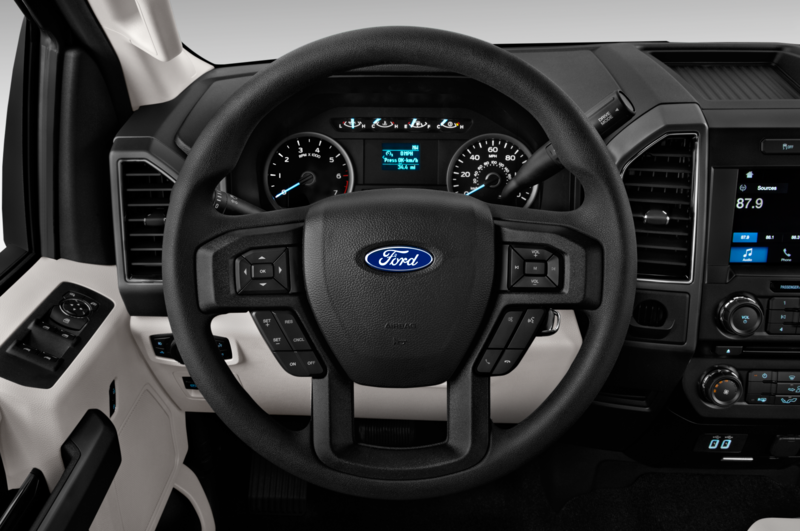 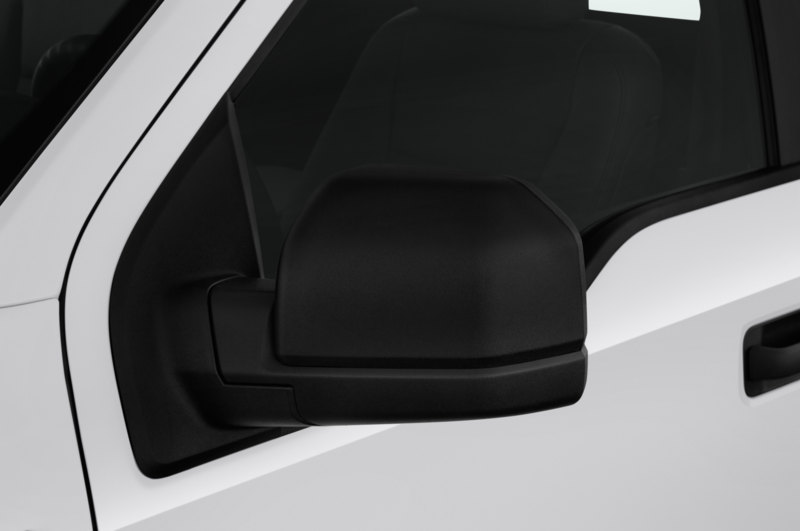 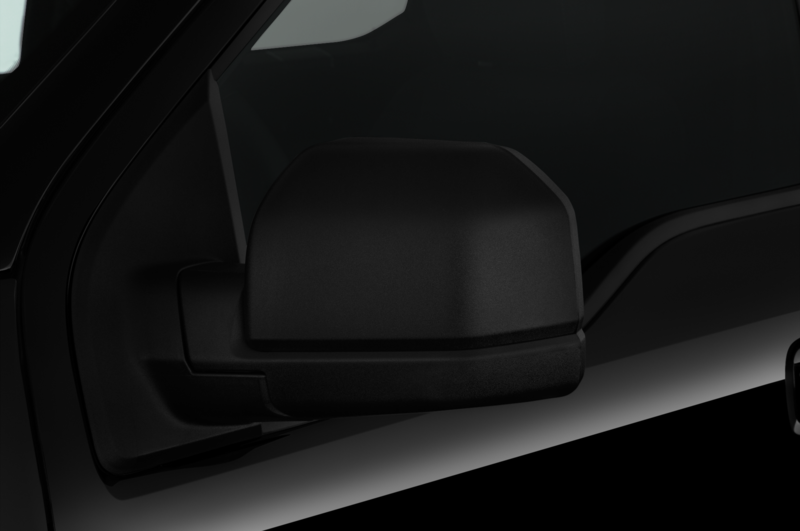 Under gentle throttle, engine speed stays lower and the shifts are less noticeable. 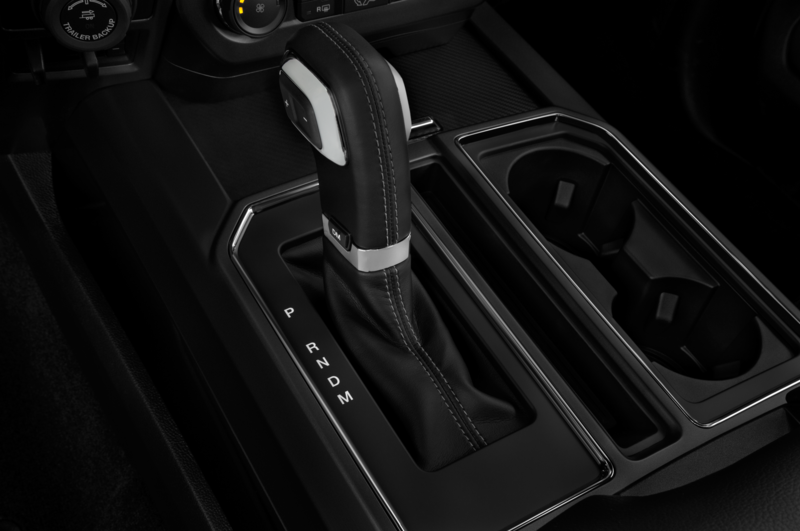 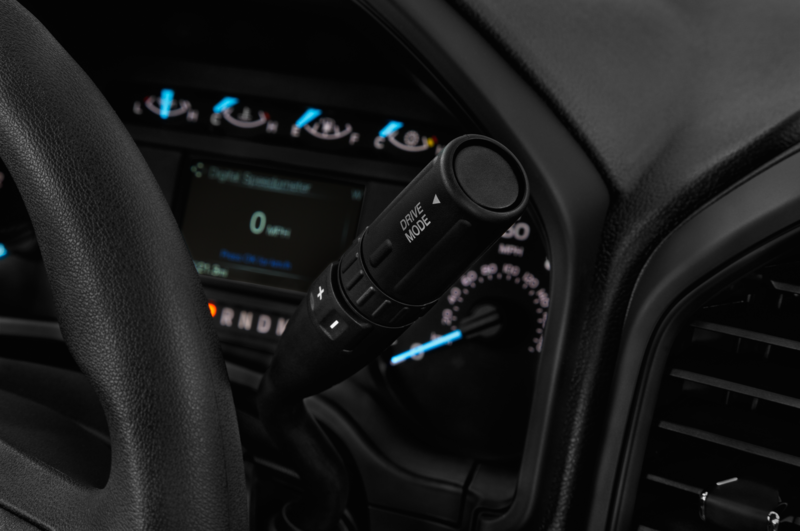 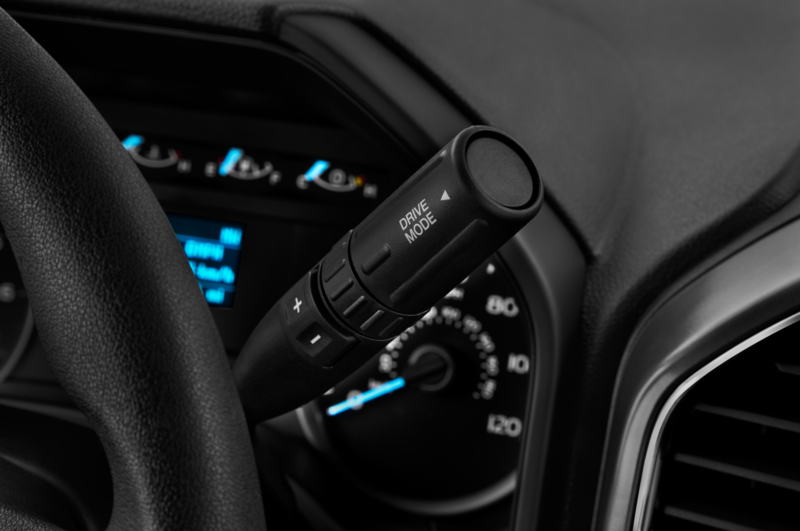 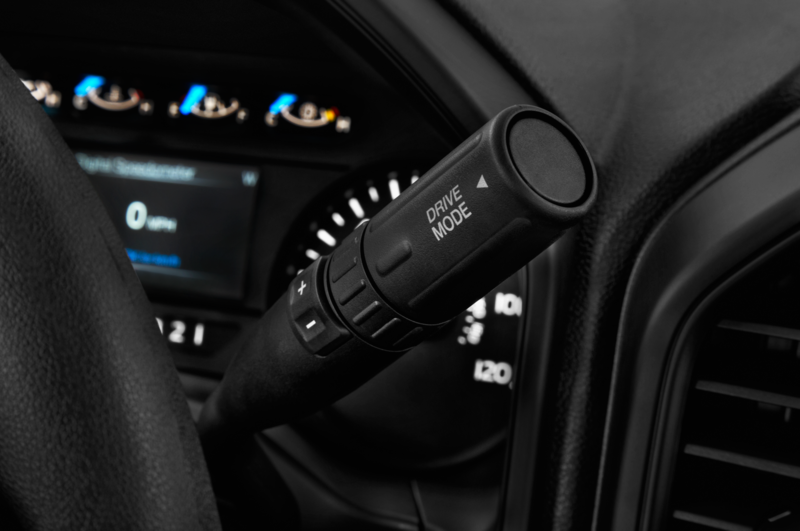 When cruising, the transmission’s 10th gear drops engine speed well below 1,500 rpm. 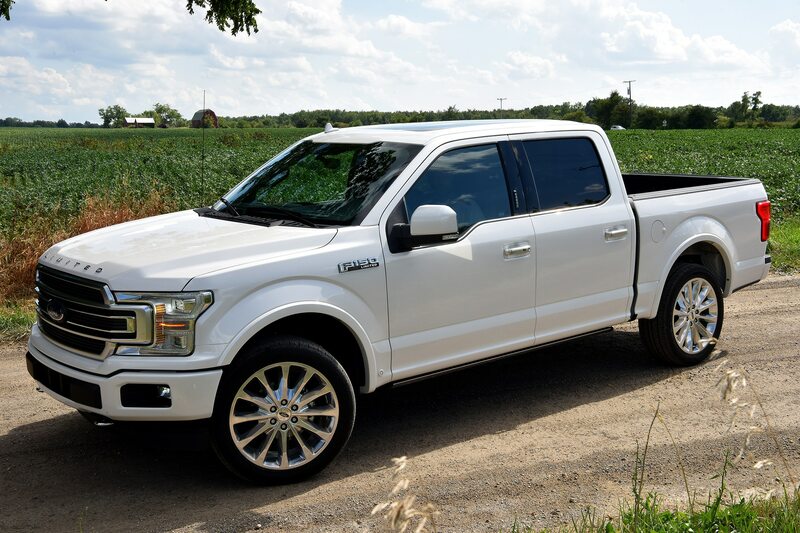 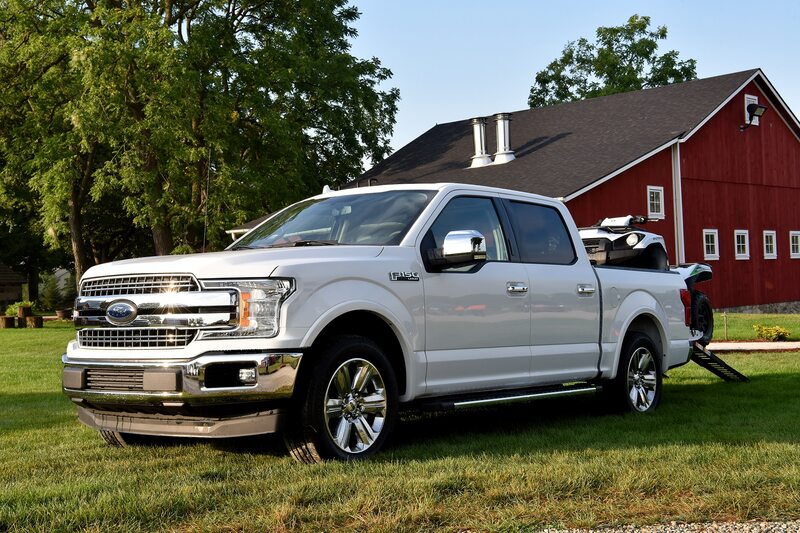 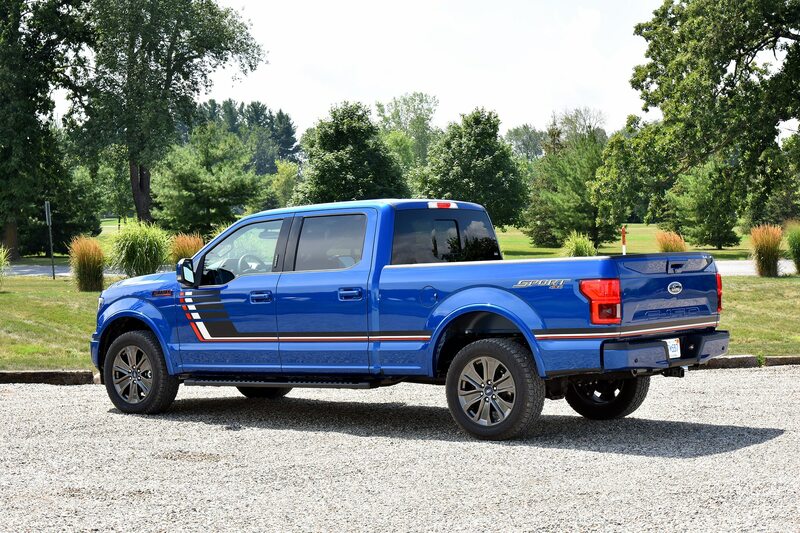 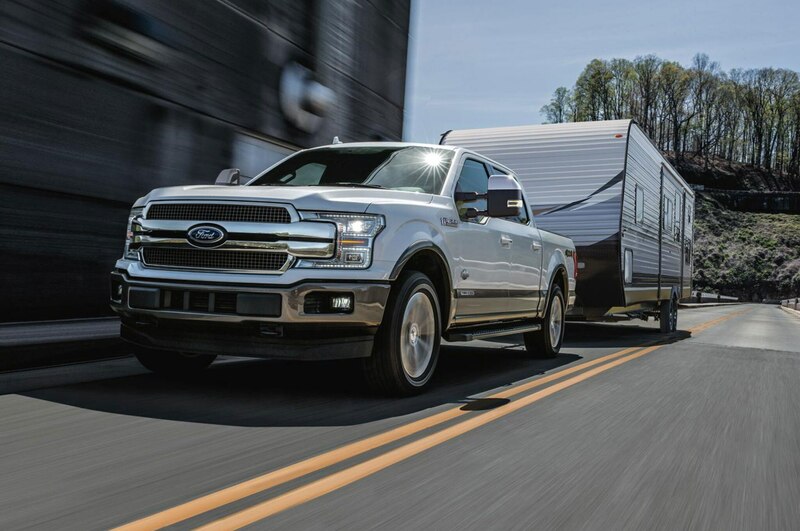 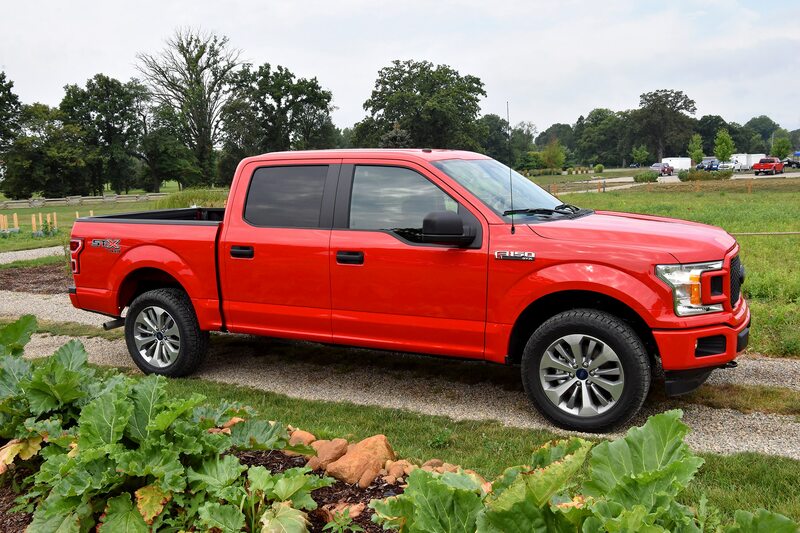 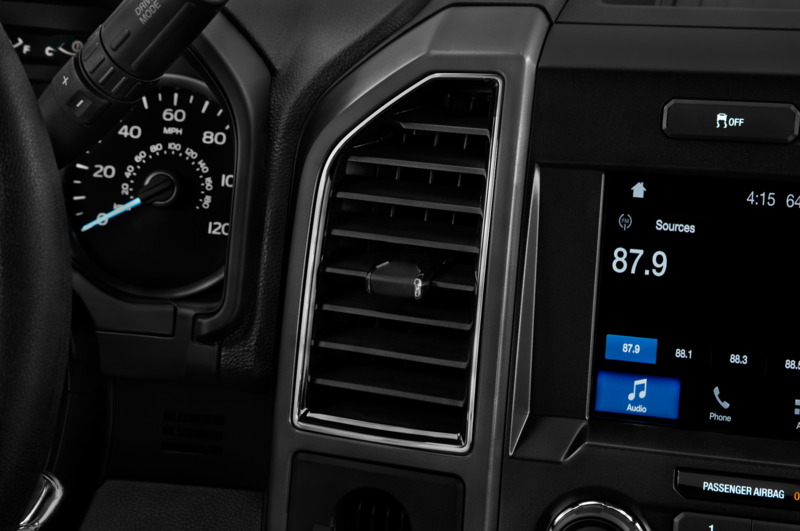 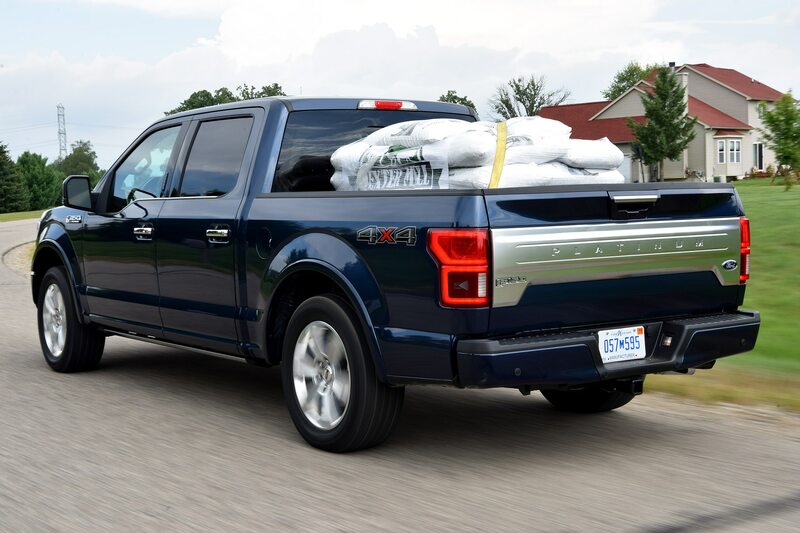 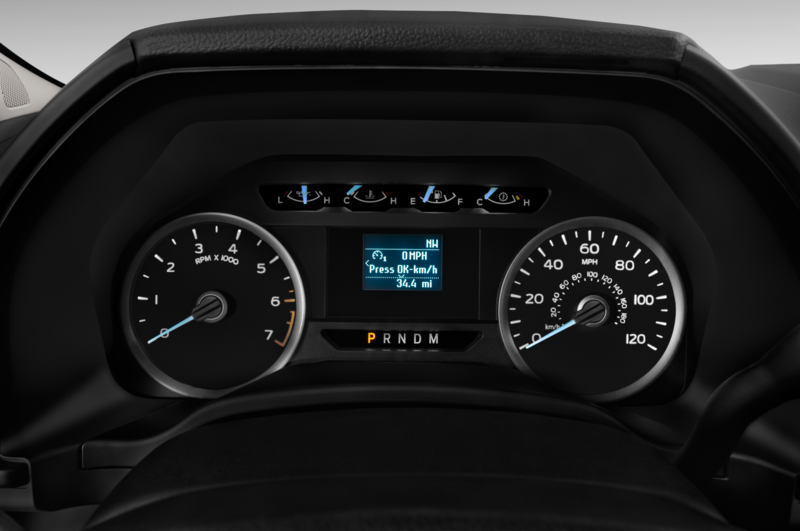 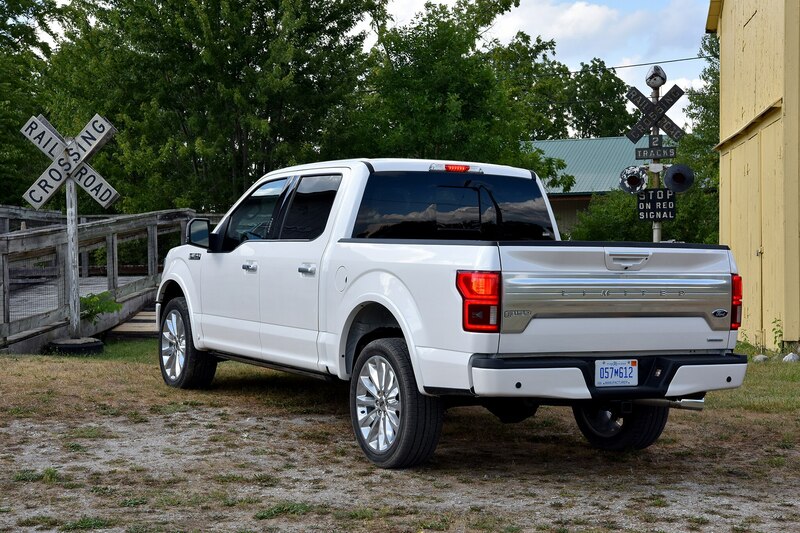 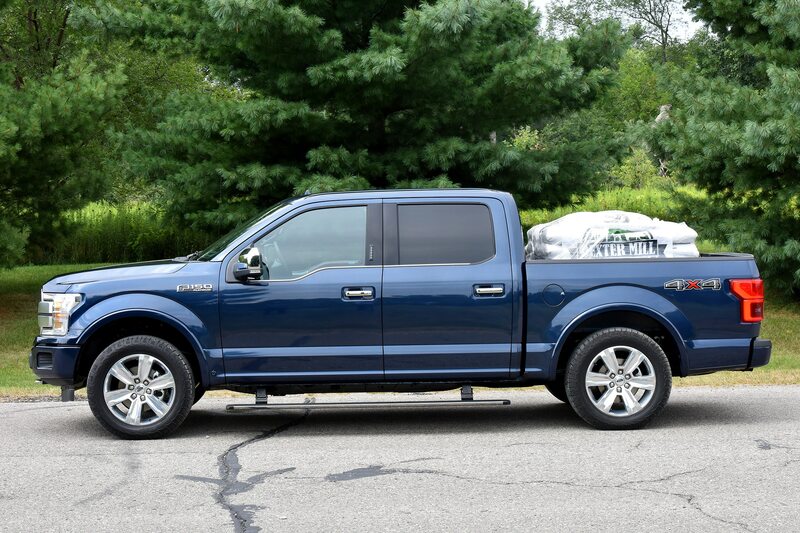 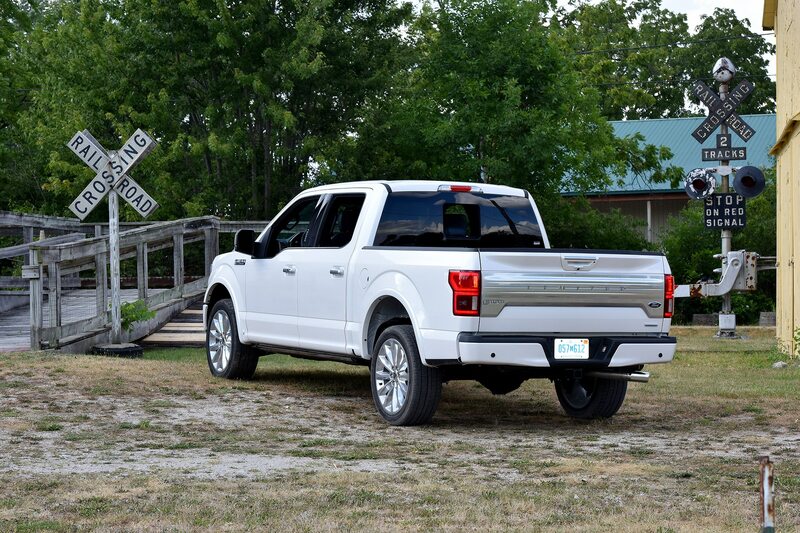 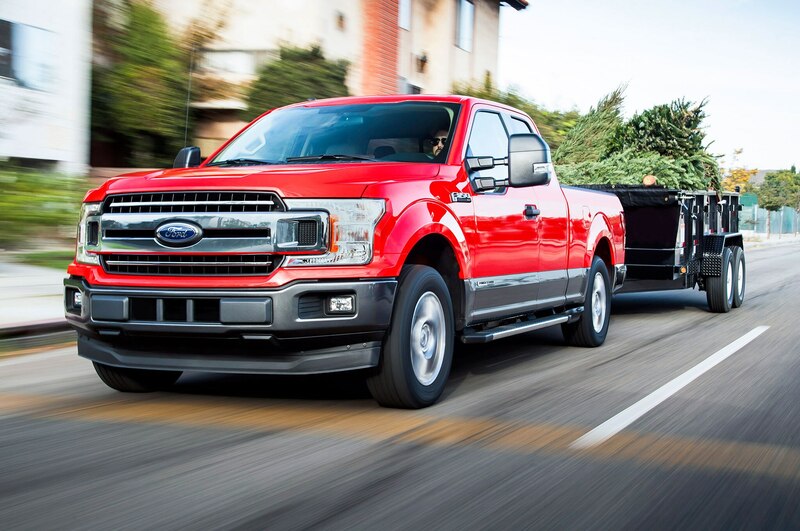 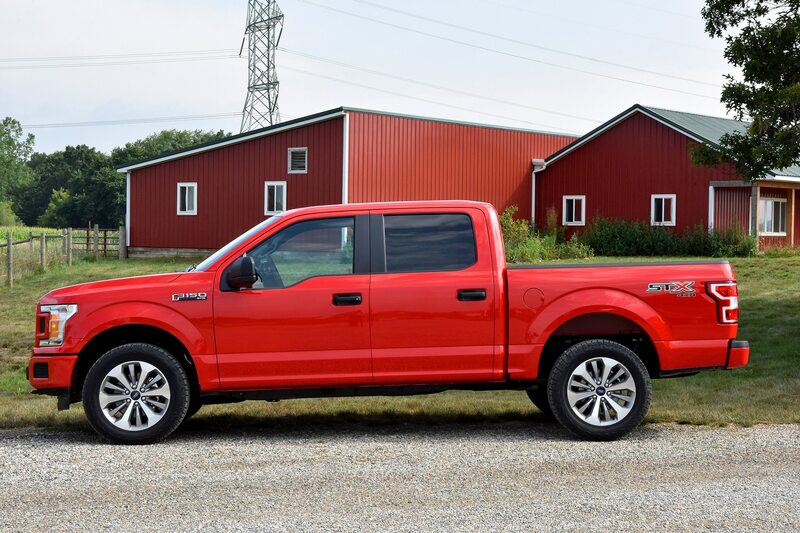 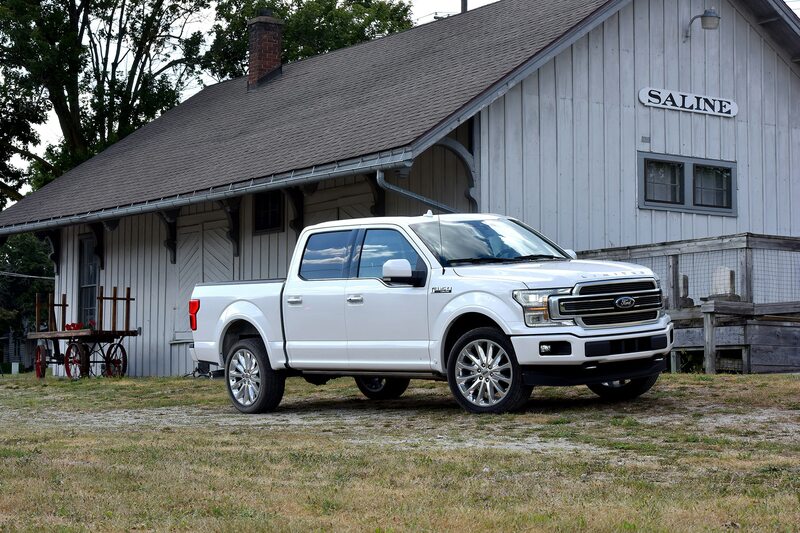 Feed in a little accelerator and the F-150 picks up speed without the need to downshift, a pretty neat party trick and no doubt a contributor to the engine’s remarkable highway fuel economy. 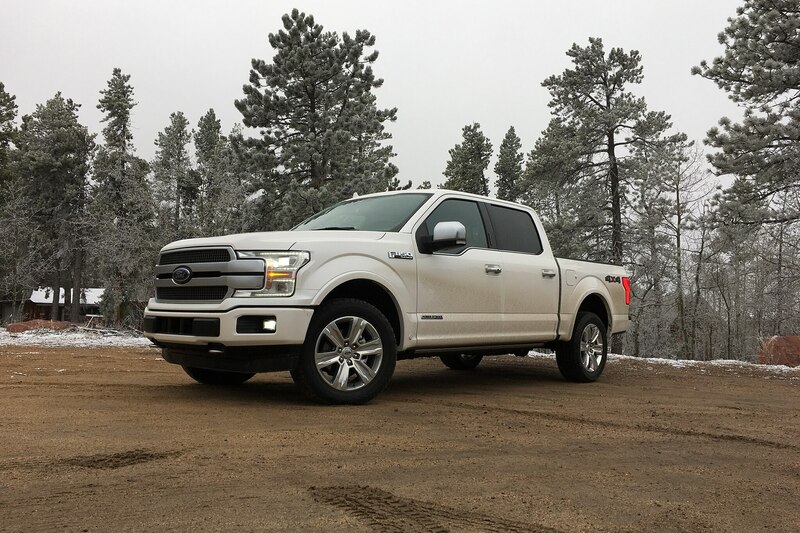 On a side trip into and around Denver, a pleasant mix of freeway, city, and suburban driving, observed fuel economy exactly matched the F-150 diesel’s EPA combined figure of 25 mpg. 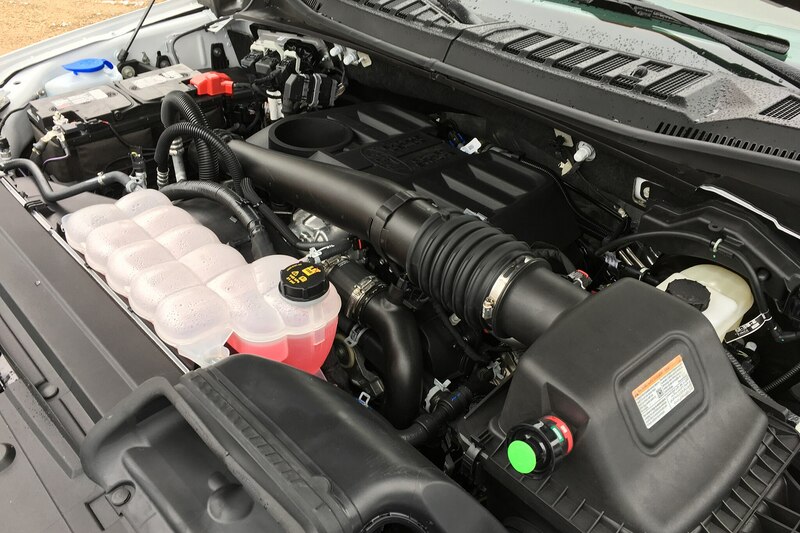 The 3.0-liter turbodiesel was originally developed by Ford for Jaguar Land Rover—more on that shortly—and its luxury-oriented tuning quickly becomes evident. 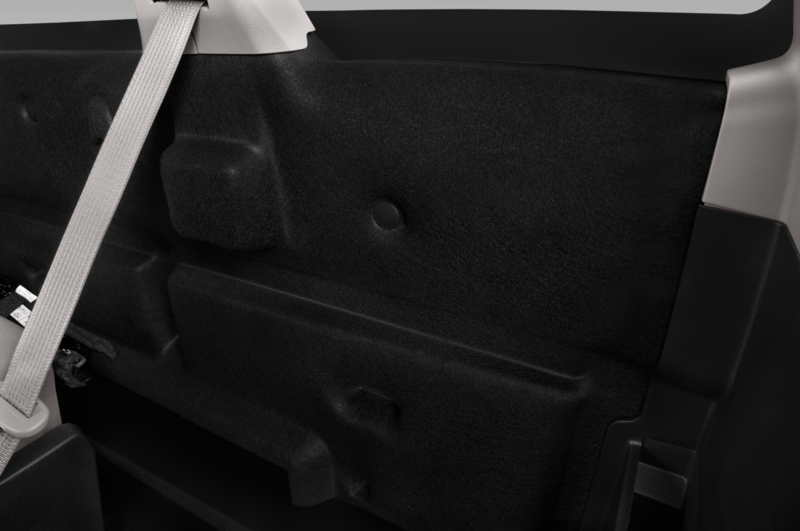 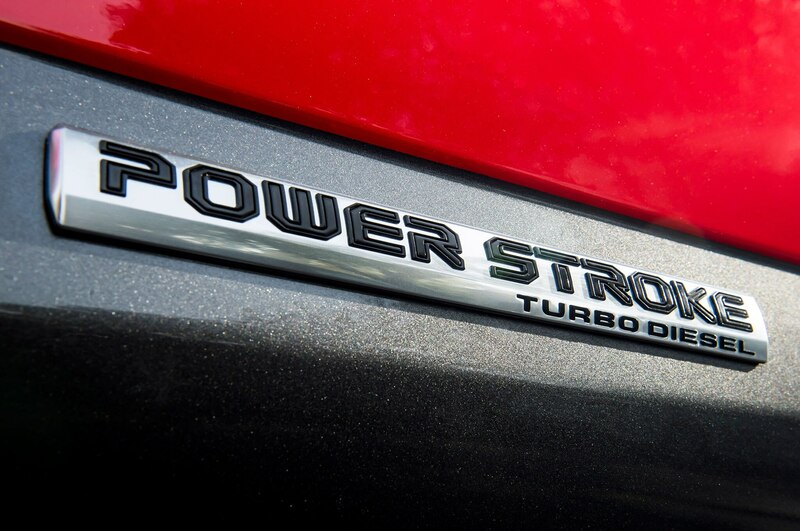 It is very refined for a diesel, idling quietly, revving smoothly, and rarely raising its voice above a quiet murmur. 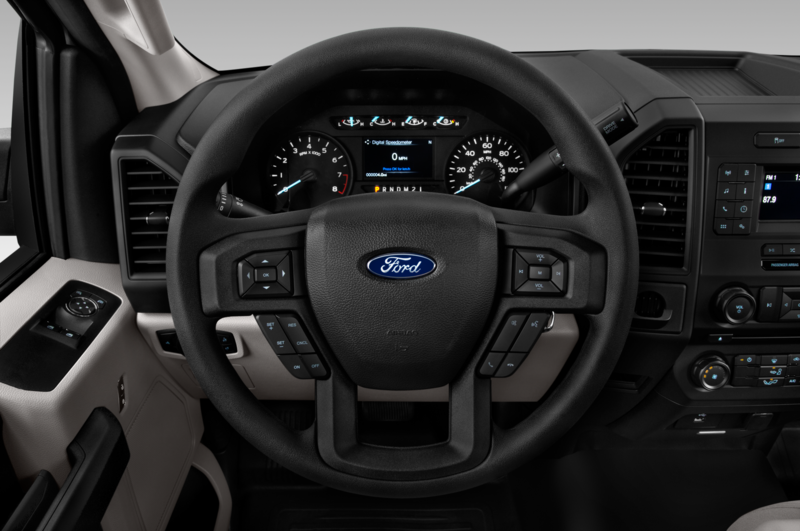 The engine’s auto-start/stop feature even shuts down and restarts with little vibration, which is no easy feat for a diesel. 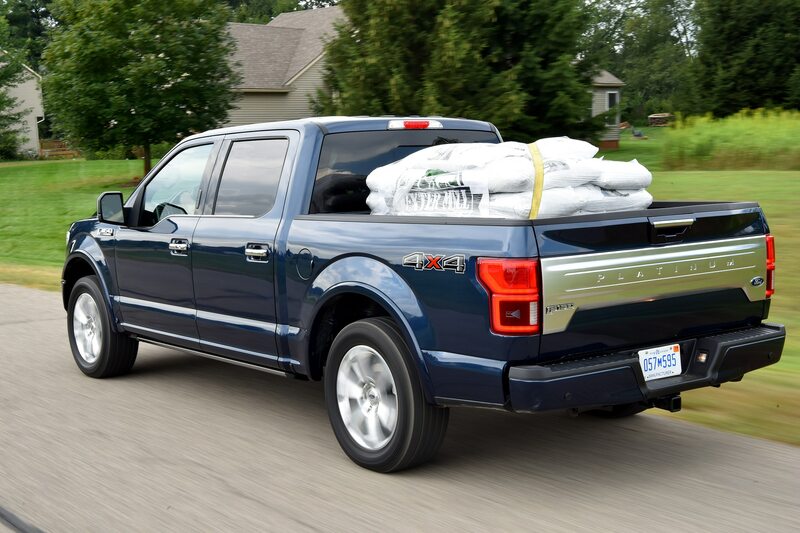 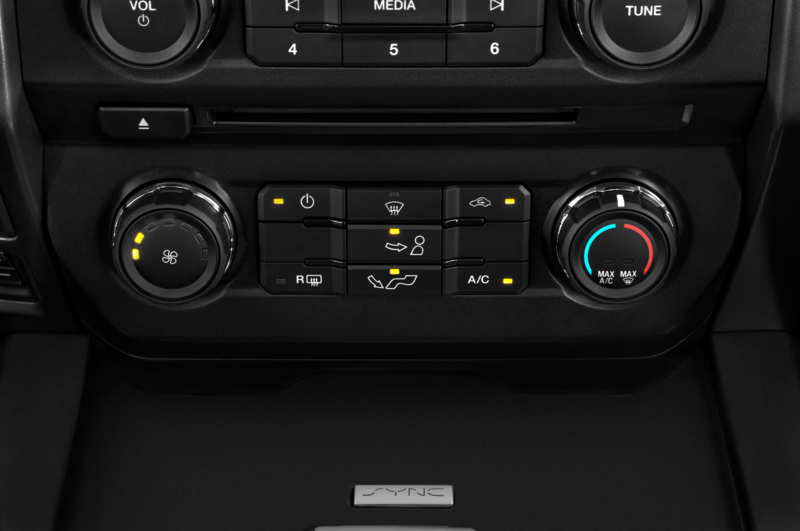 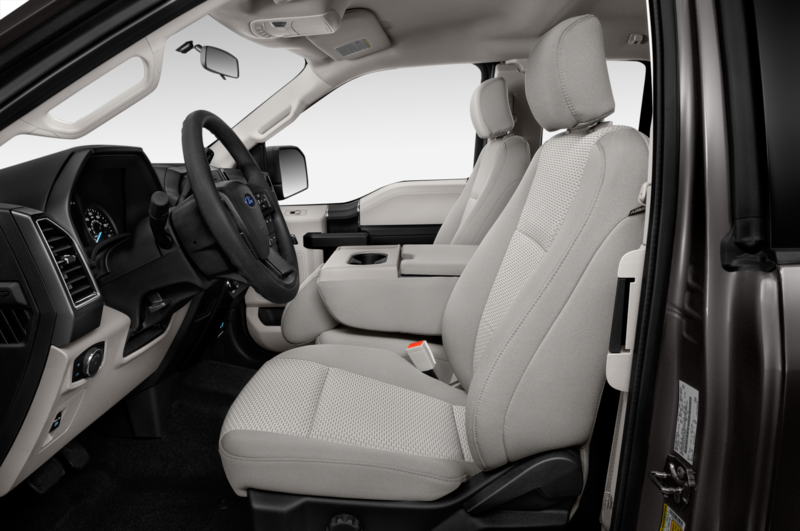 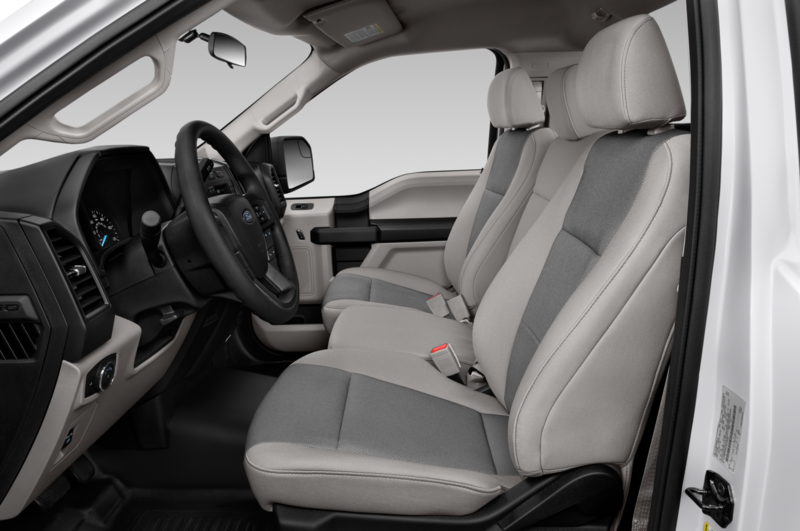 After turning on the seat massager (yep, you can get one in the top-of-the-line F-150 Platinum), we found that even under power, the engine doesn’t make much more noise than the compressor that fills the seat’s air bladders. 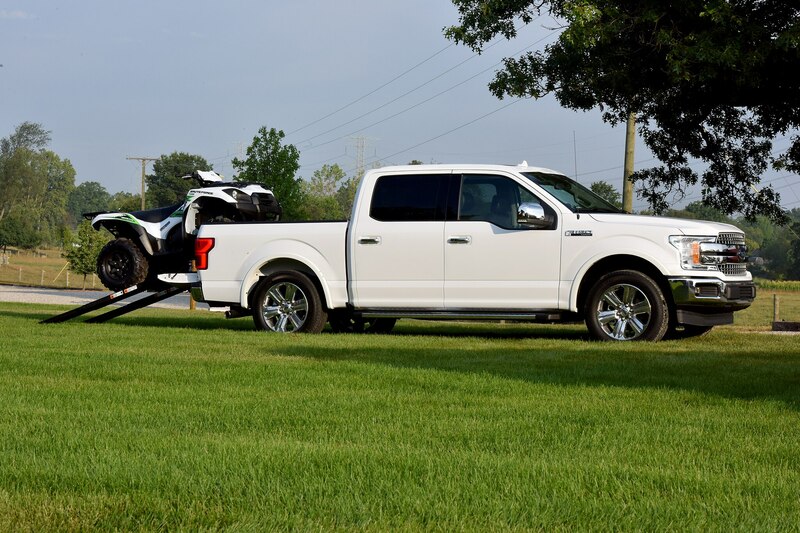 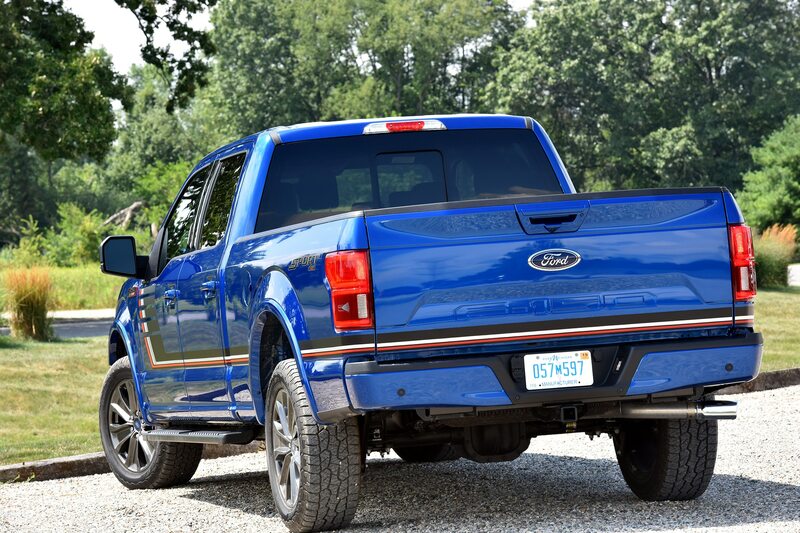 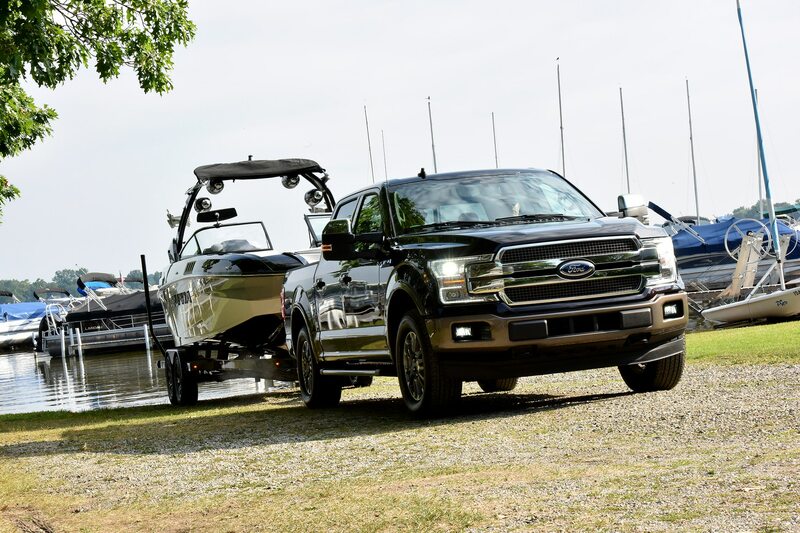 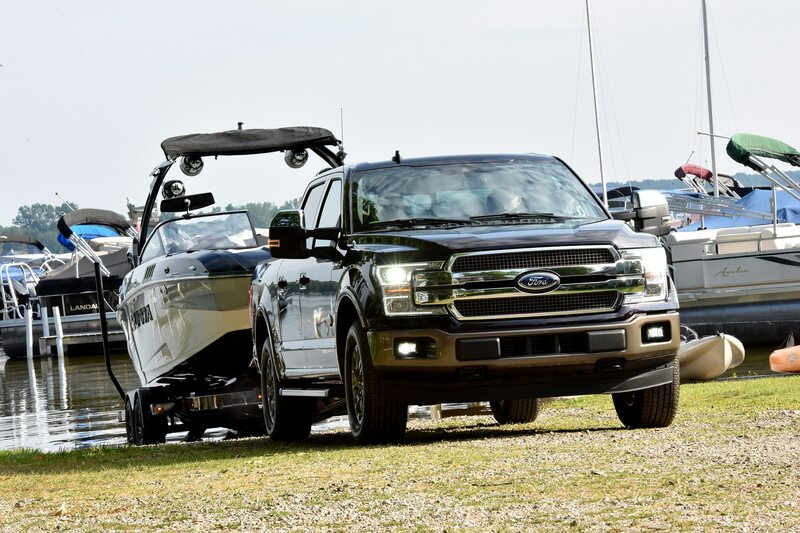 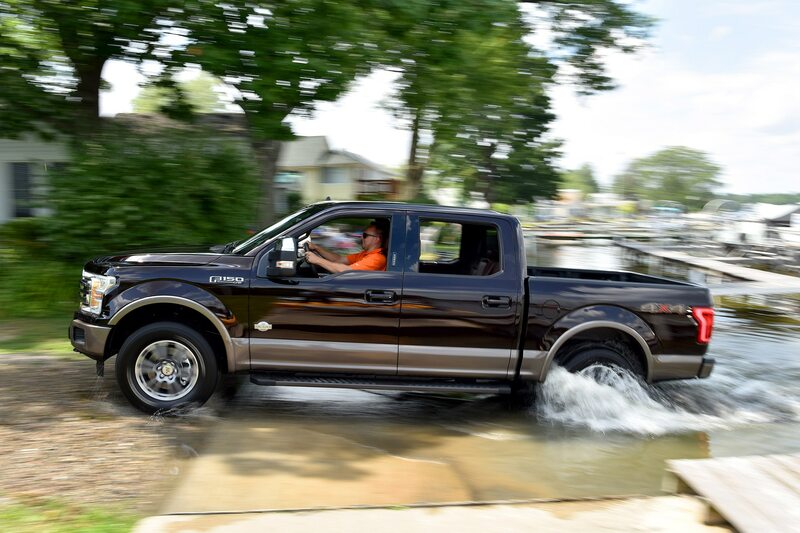 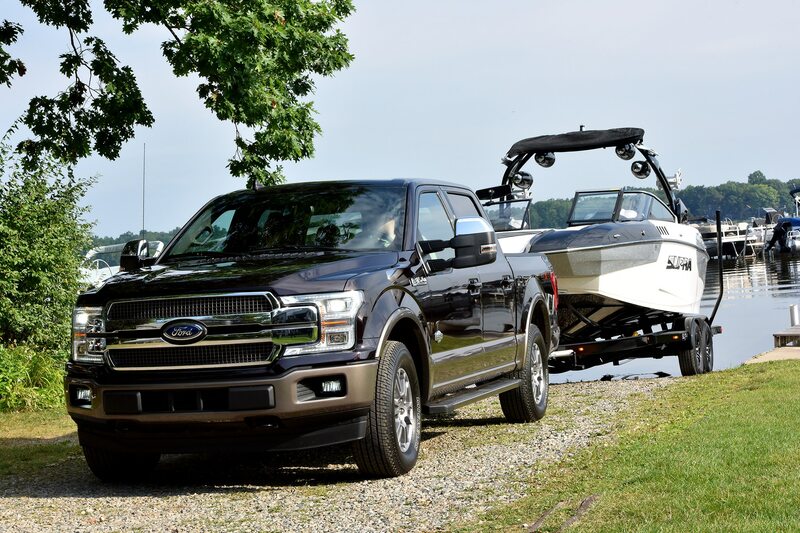 We test drove an F-150 Power Stroke with a 6,500-pound boat and trailer on the bumper. 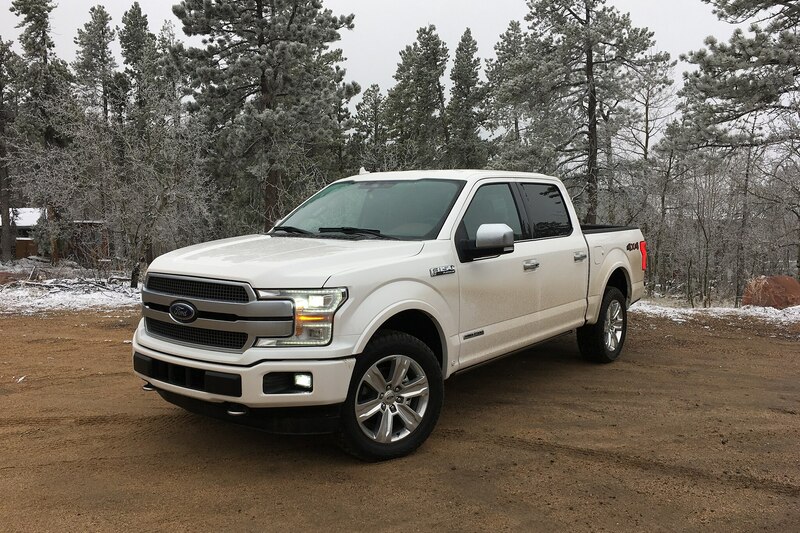 The little diesel definitely showed the strain, but it accelerated confidently and had no problem keeping up highway speeds in the hills. 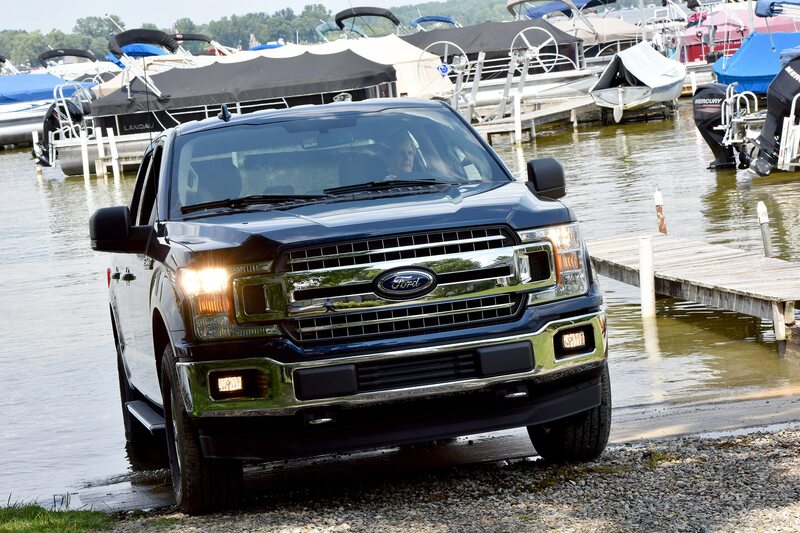 Engine braking, not normally a diesel strong suit, was surprisingly good; the truck doesn’t offer factory exhaust brake, but the 3.0-liter diesel’s variable-nozzle turbo can create sufficient backpressure to serve the same purpose, and it did a nice job keeping speed in check on downgrades. 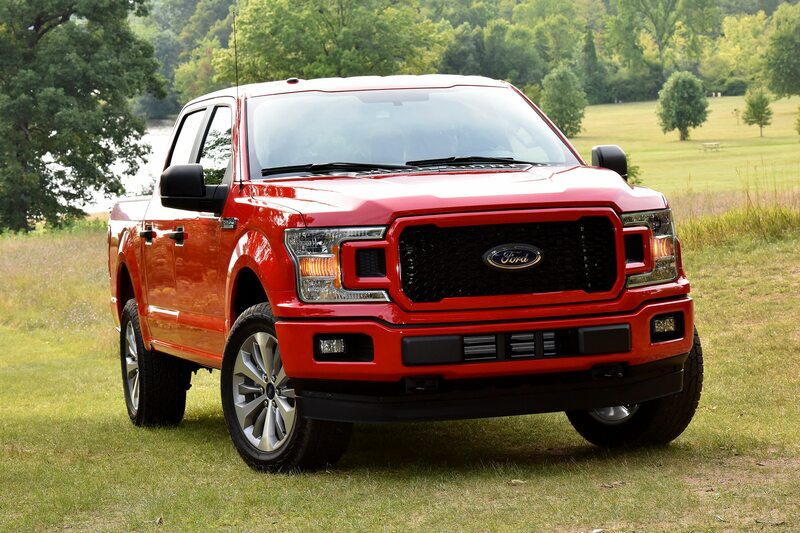 As for the origin story of the Power Stroke engine, you may have heard that Ford is using a version of Land Rover’s diesel, but in fact it’s the other way around. 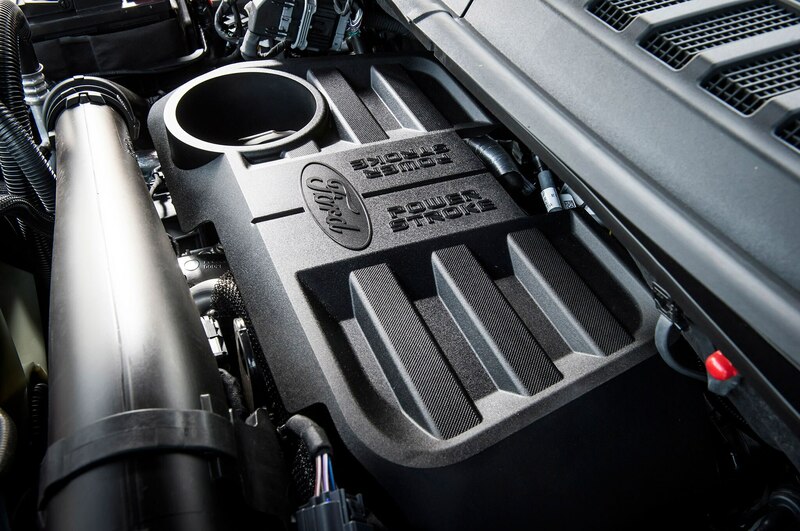 The engine comes from a family of diesels that Ford’s Dagenham, UK Diesel Centre developed for Jaguar, Land Rover, Peugeot and Citroen. 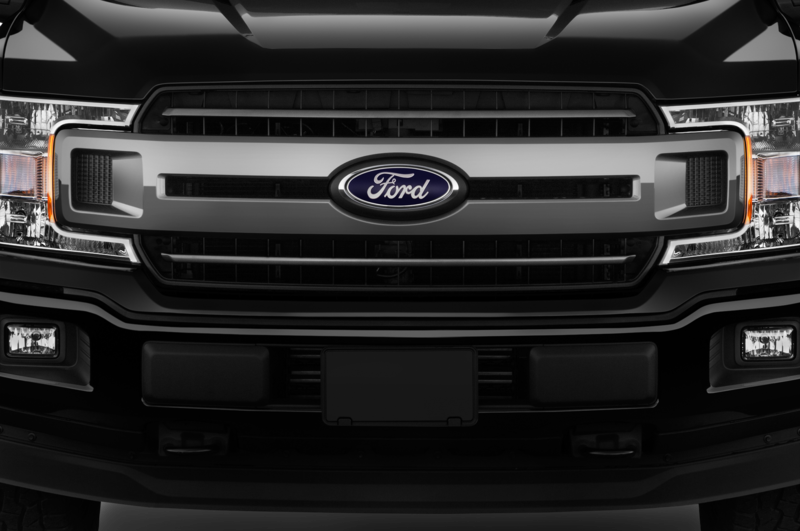 (The former two were owned by Ford at the time; the latter were part of a joint-venture deal.) 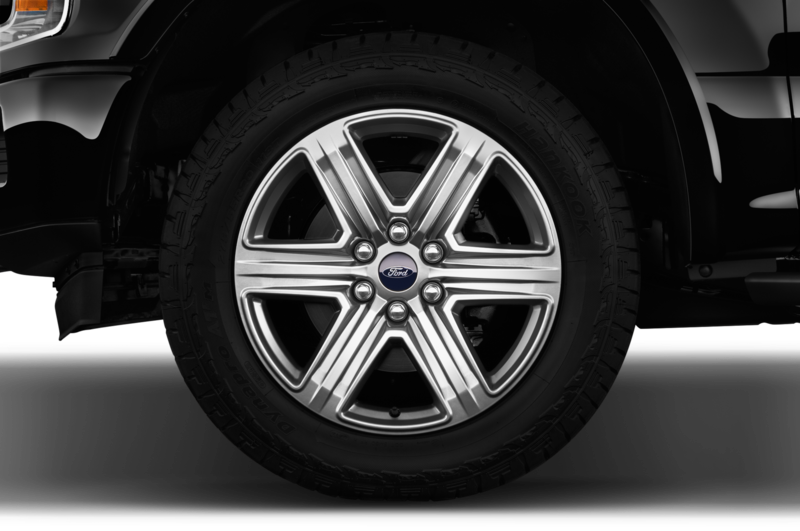 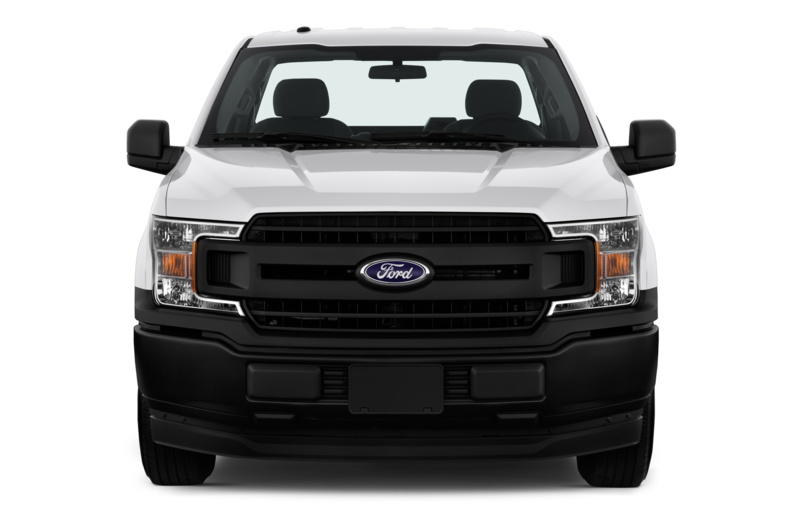 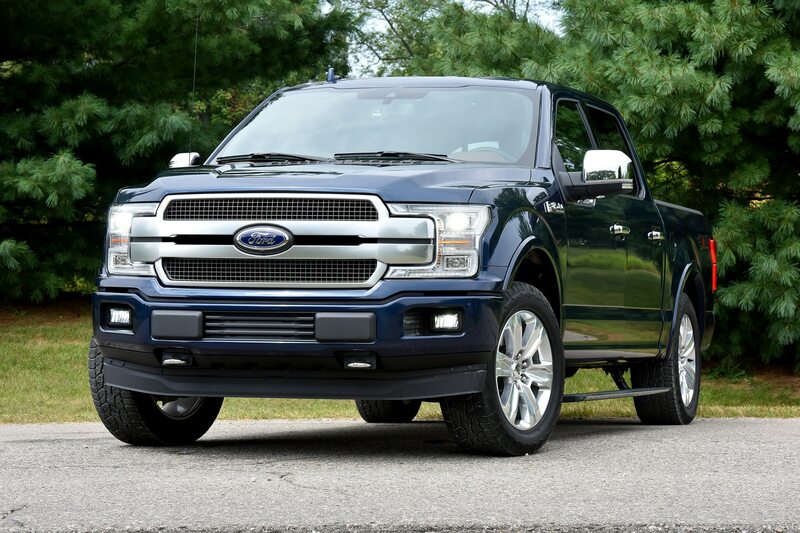 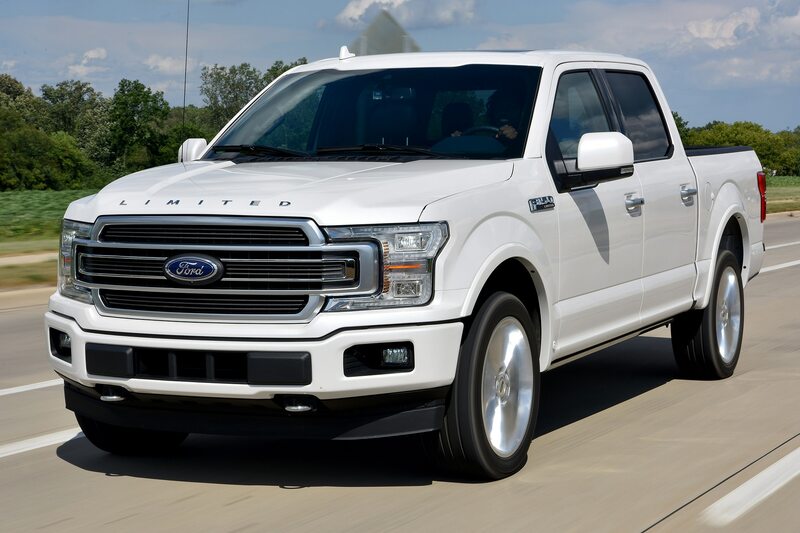 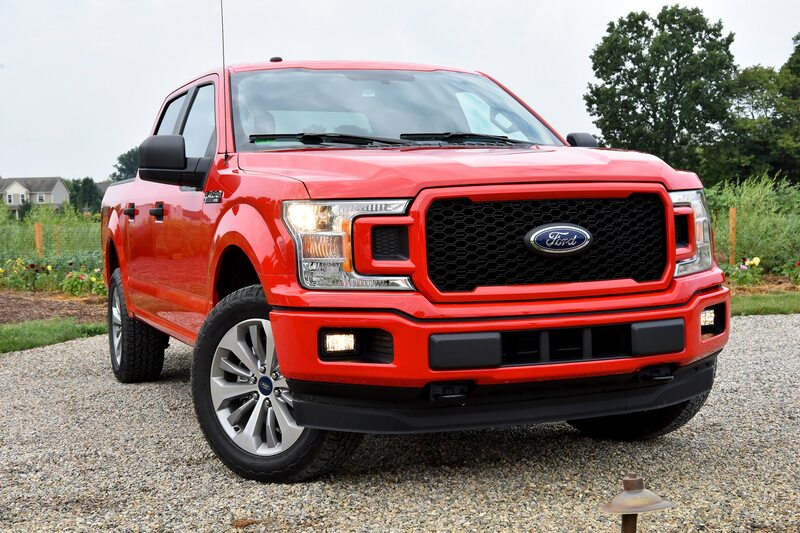 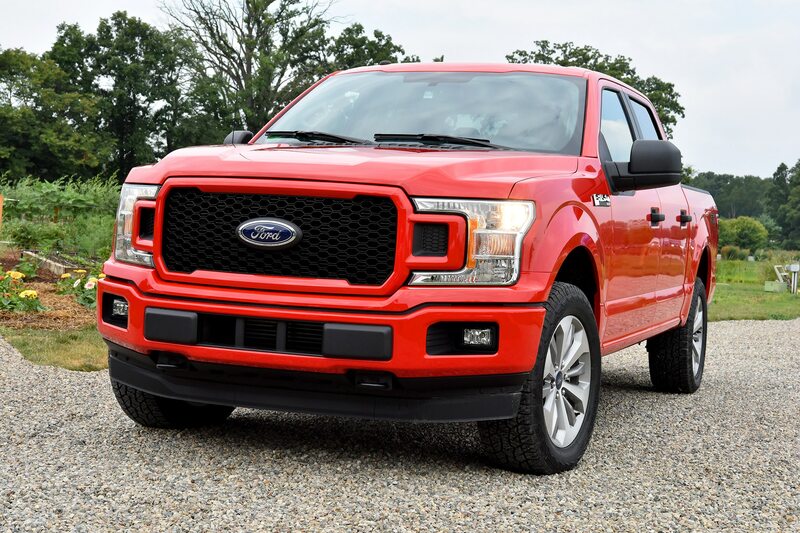 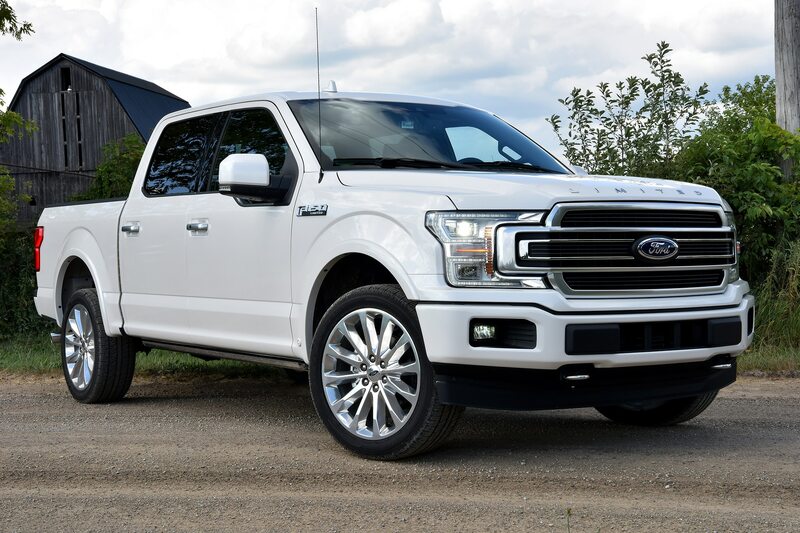 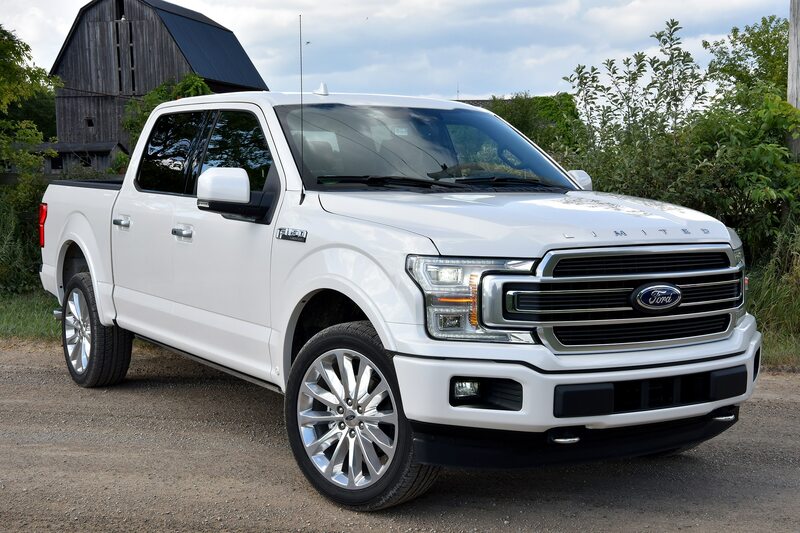 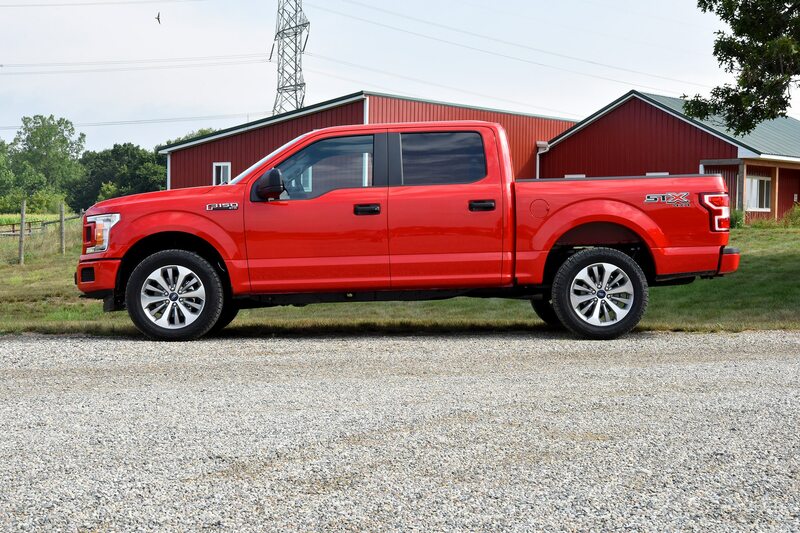 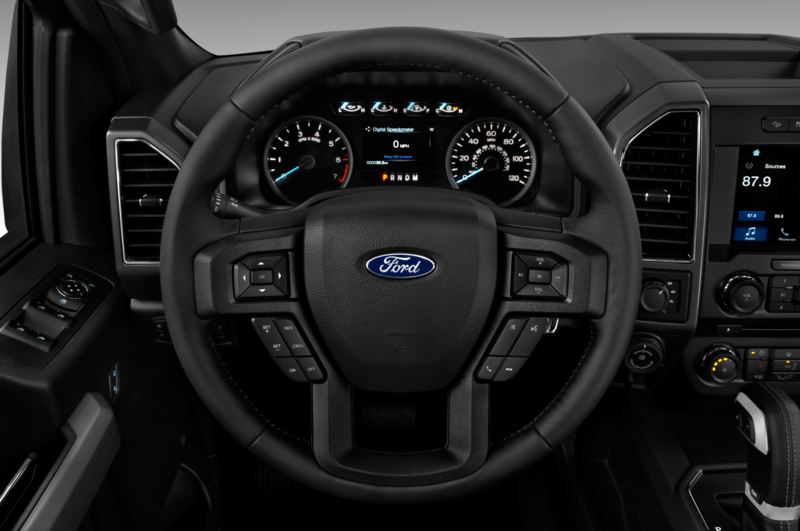 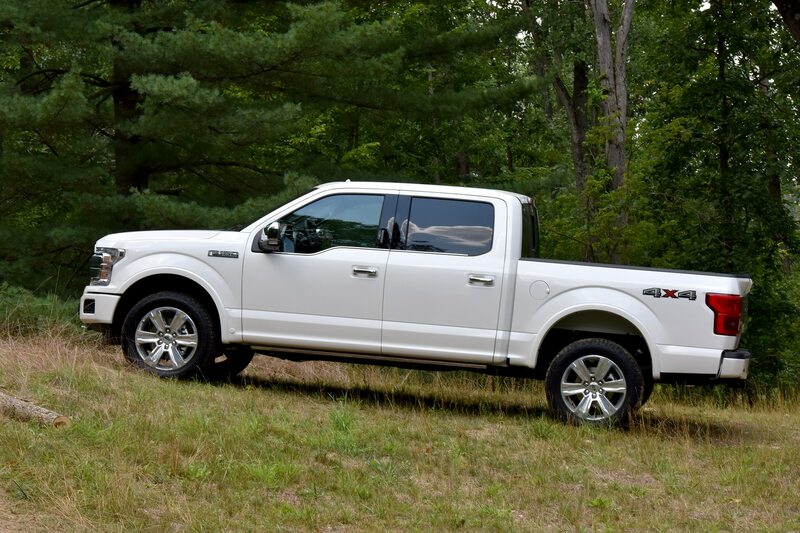 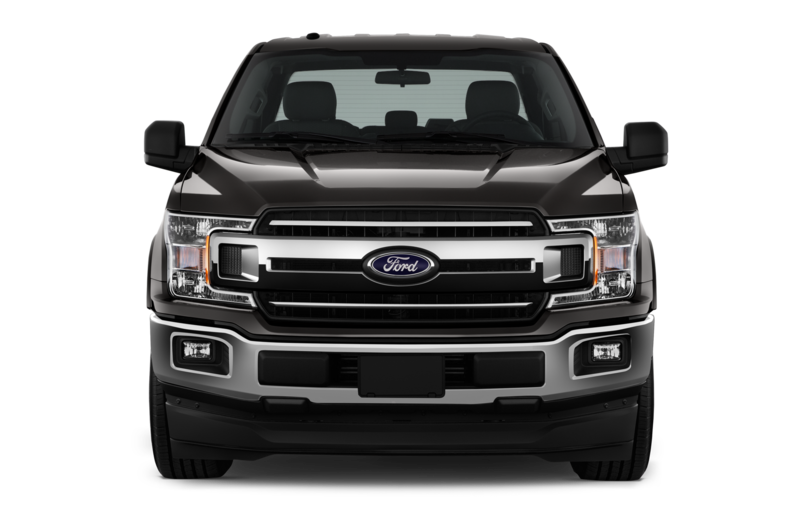 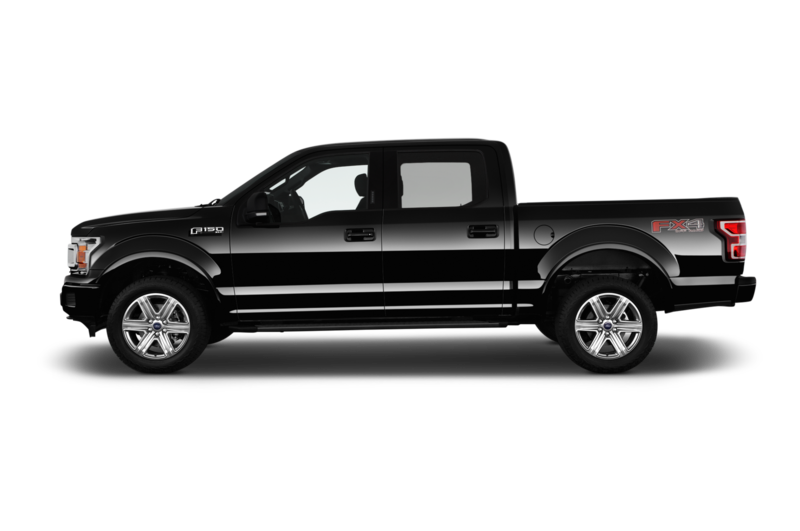 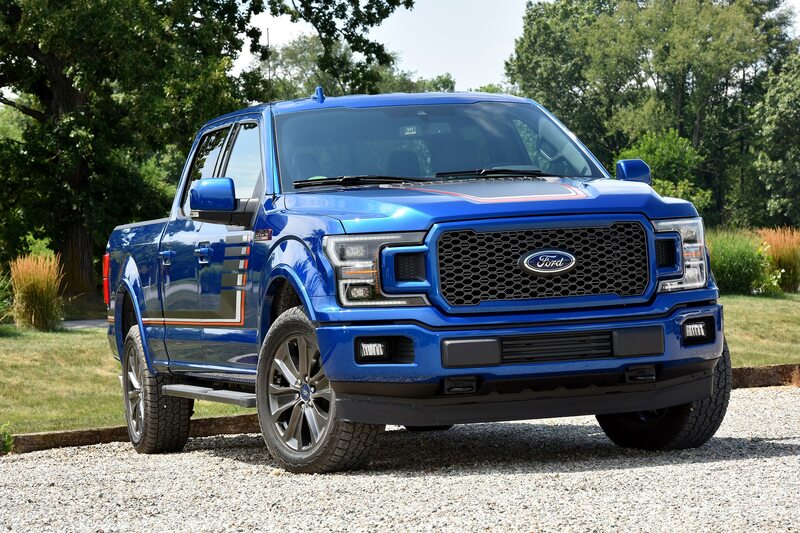 All four marques use the engines to this day, though the F-150 is only the second Ford-branded product in which the engine has appeared, the first being the Australian-market Territory SUV. 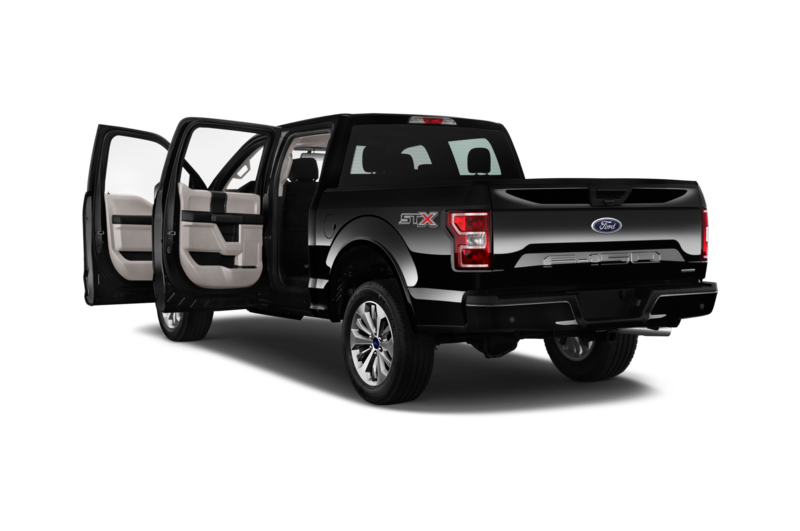 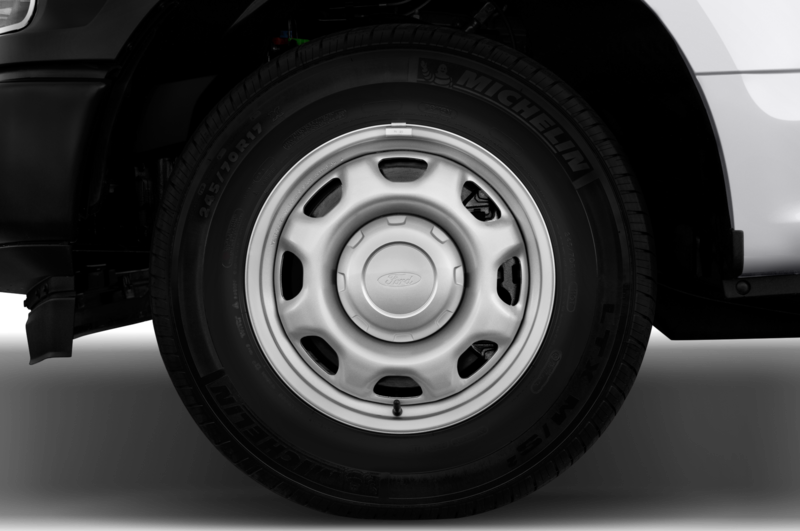 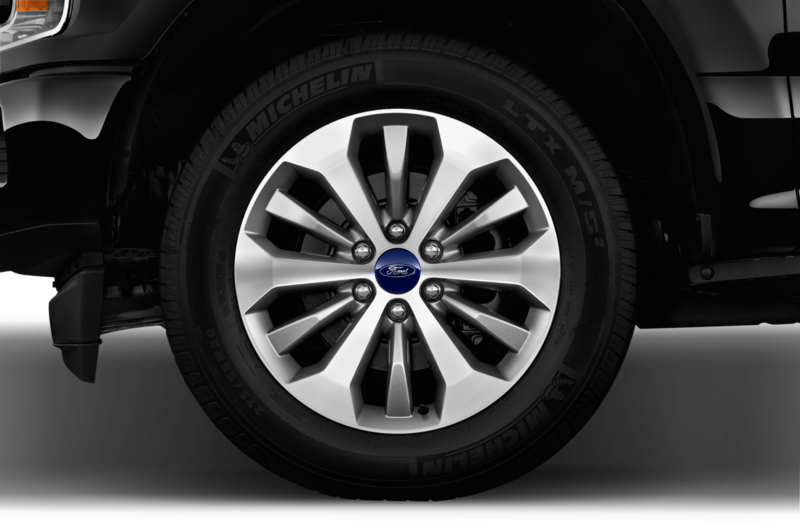 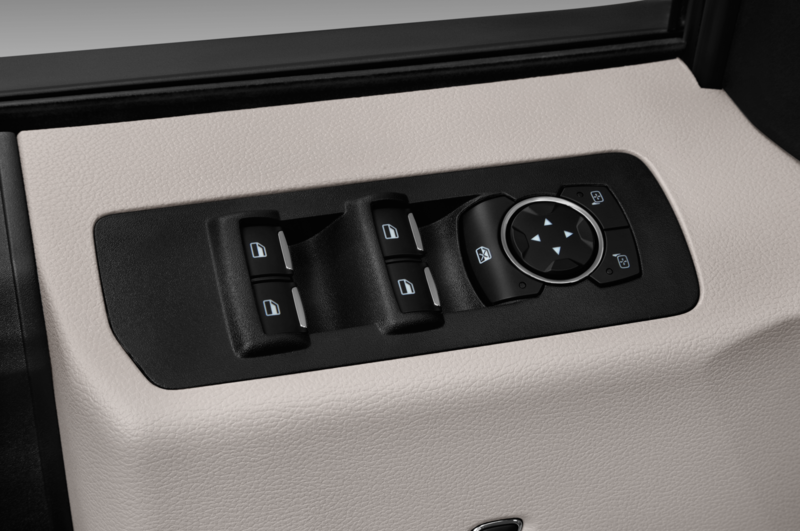 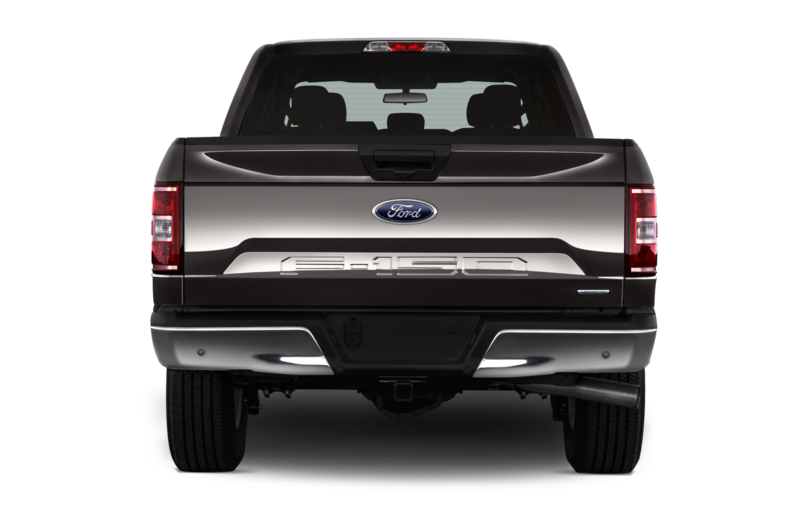 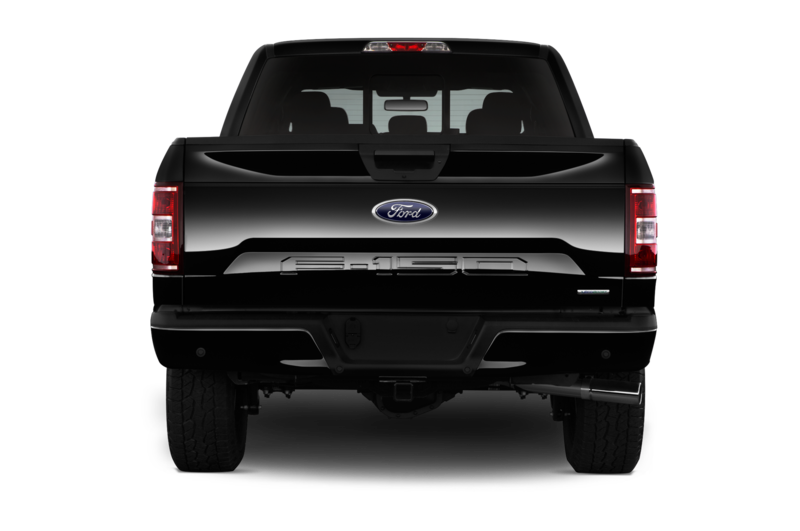 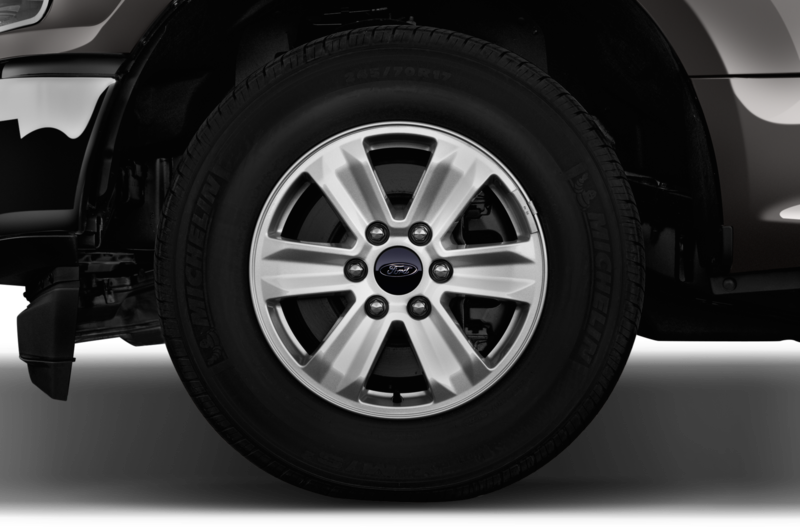 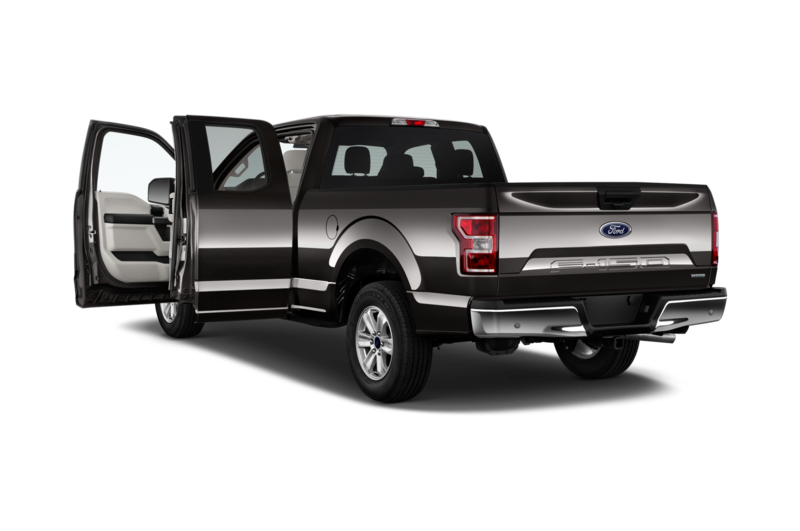 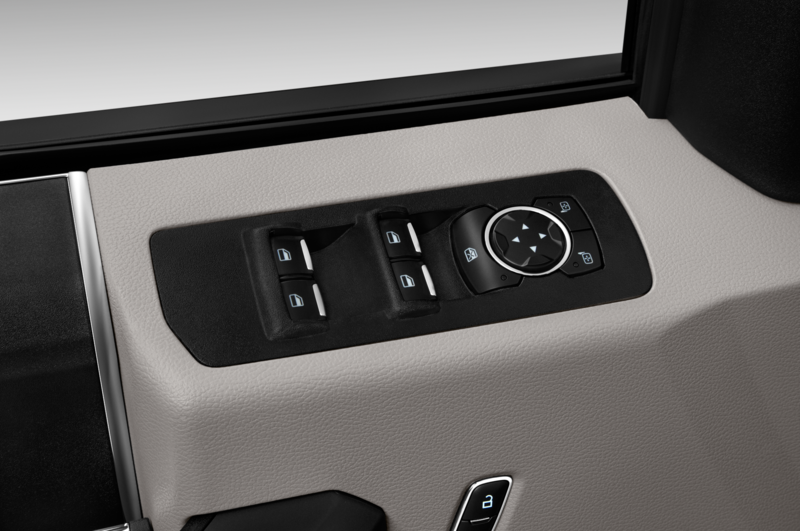 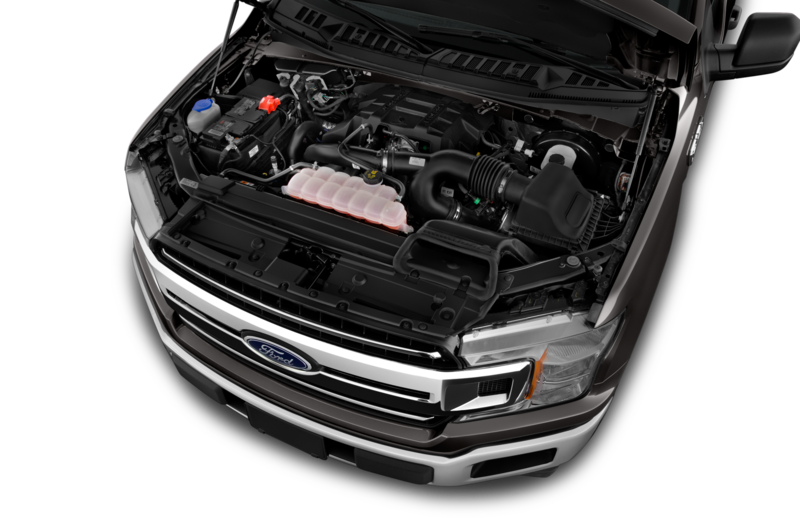 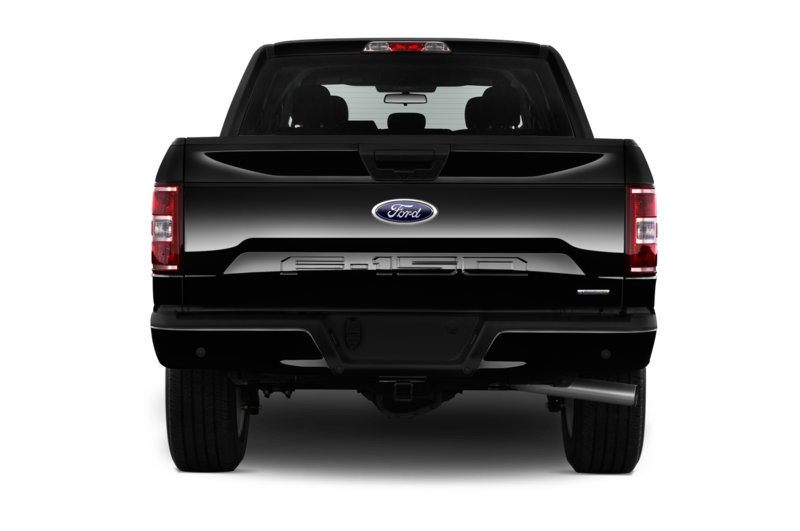 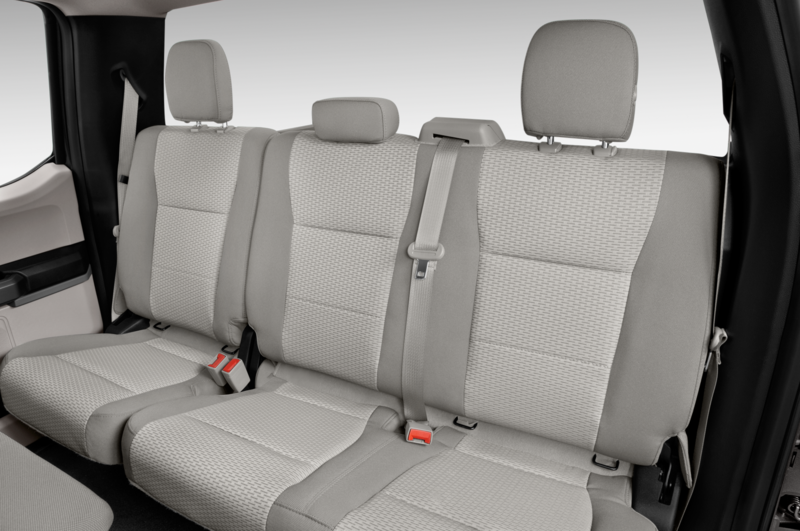 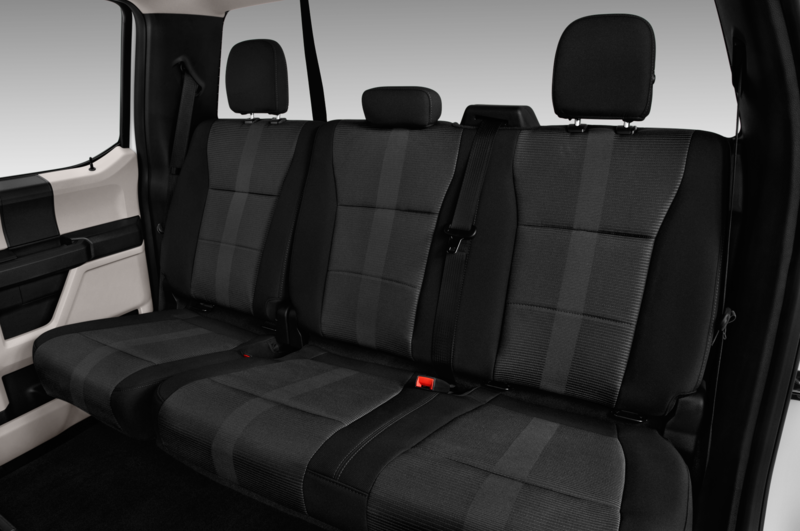 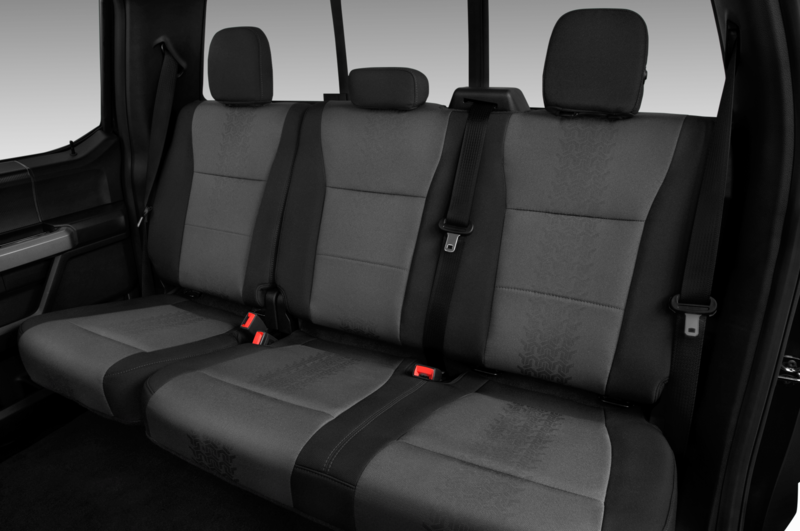 The F-150’s engine is, therefore, a close relative of the TD6 found in Land Rovers like our Four Seasons Discovery. 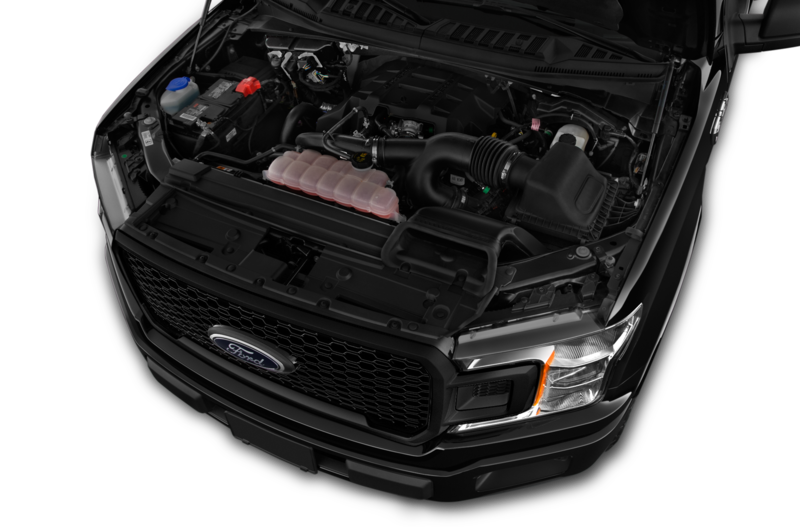 The two engines share a compacted-graphite iron block, but packaging requirements required wholesale changes for the Power Stroke version, including a new variable-geometry turbo, EGR system, and oil sump. 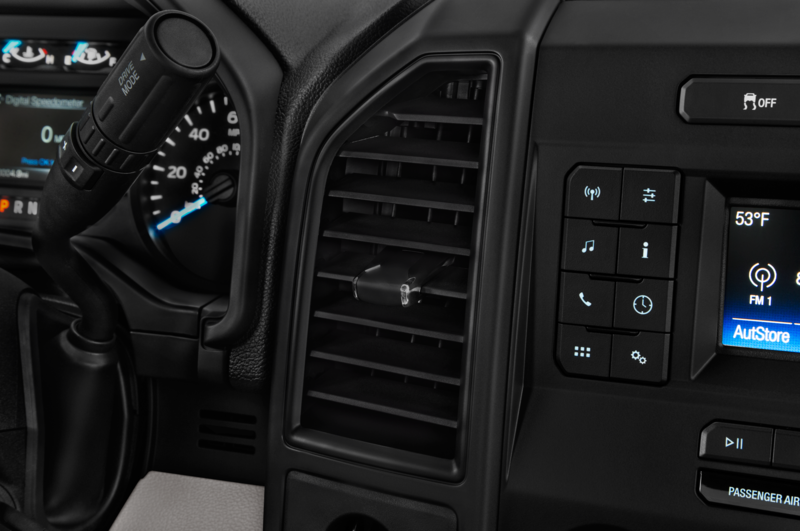 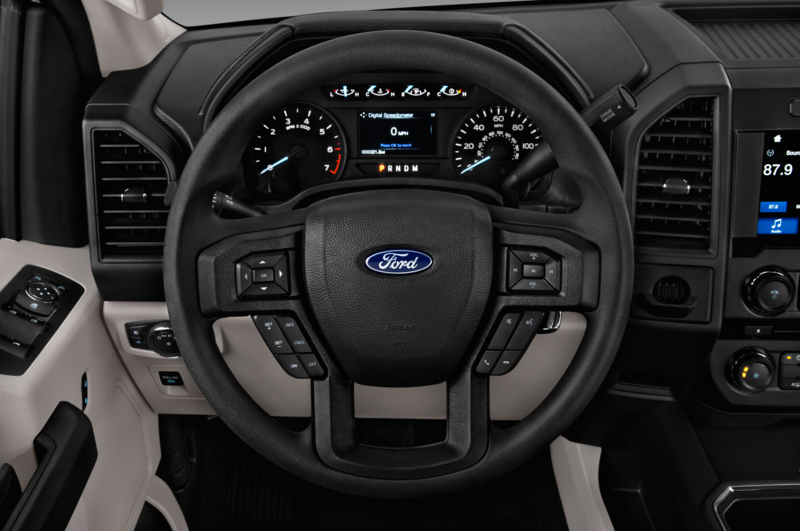 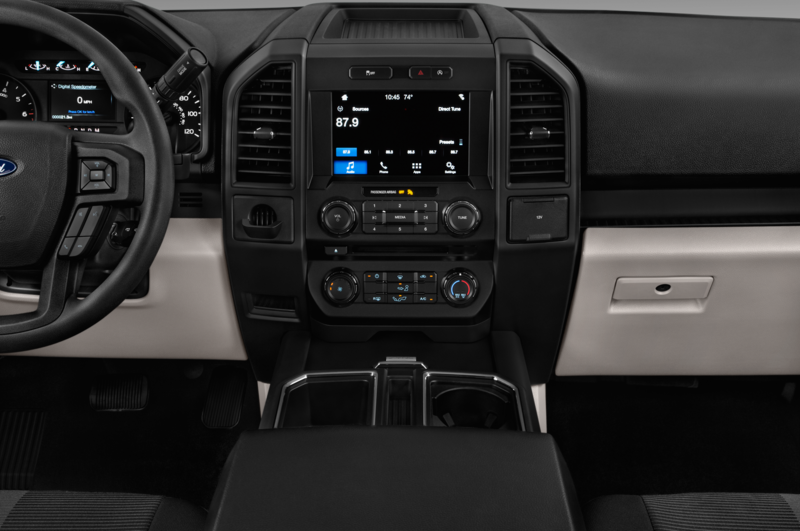 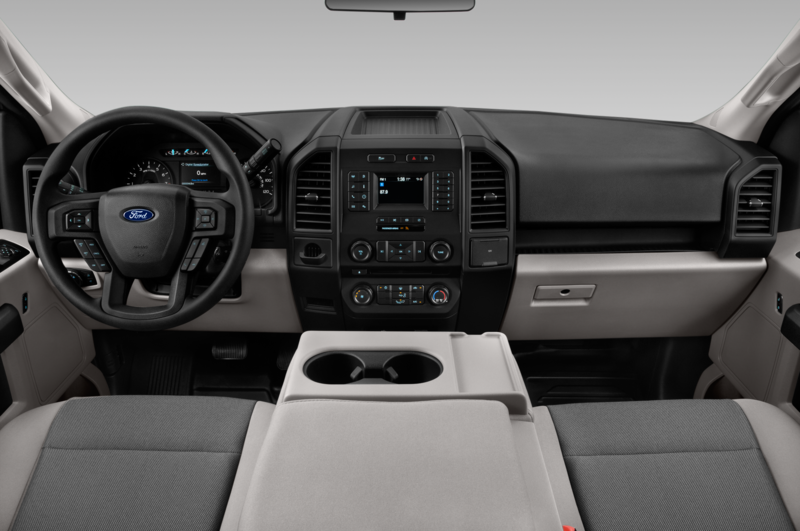 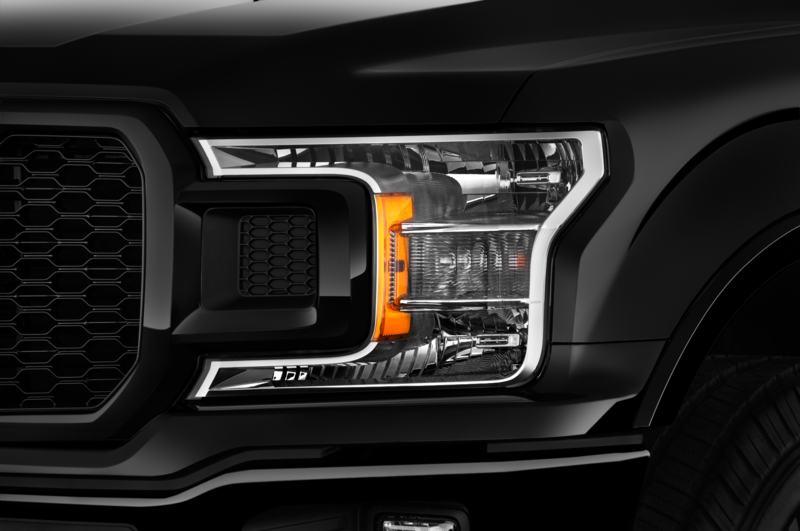 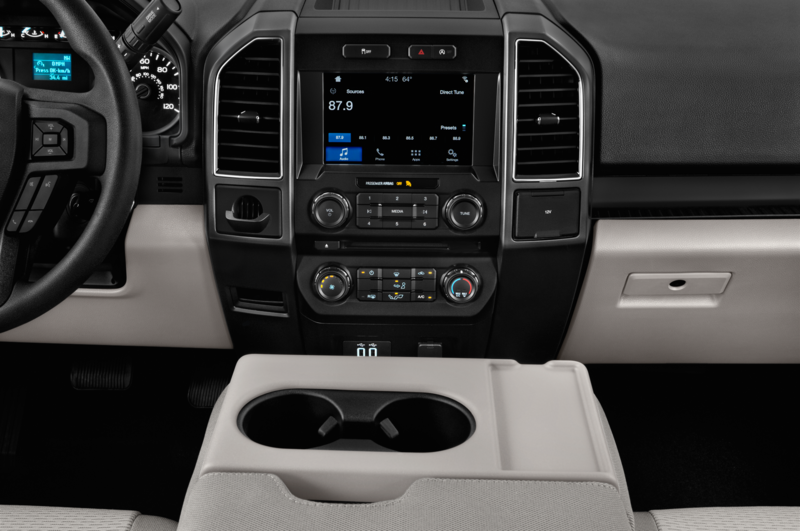 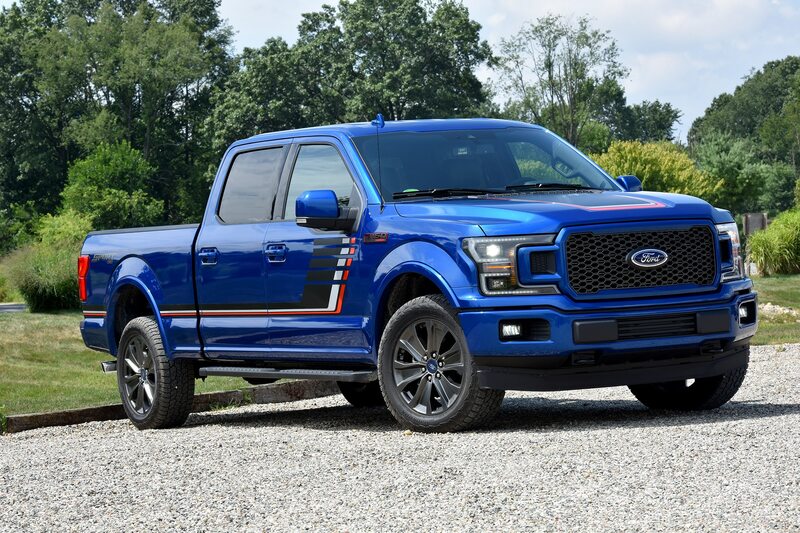 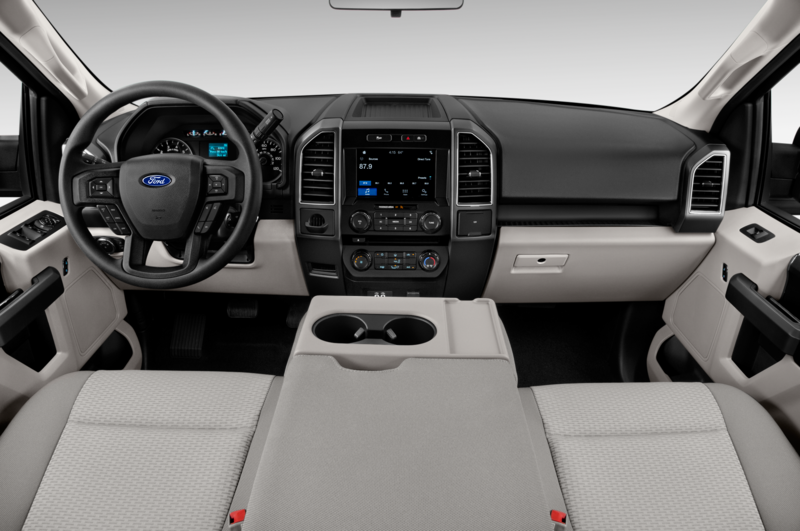 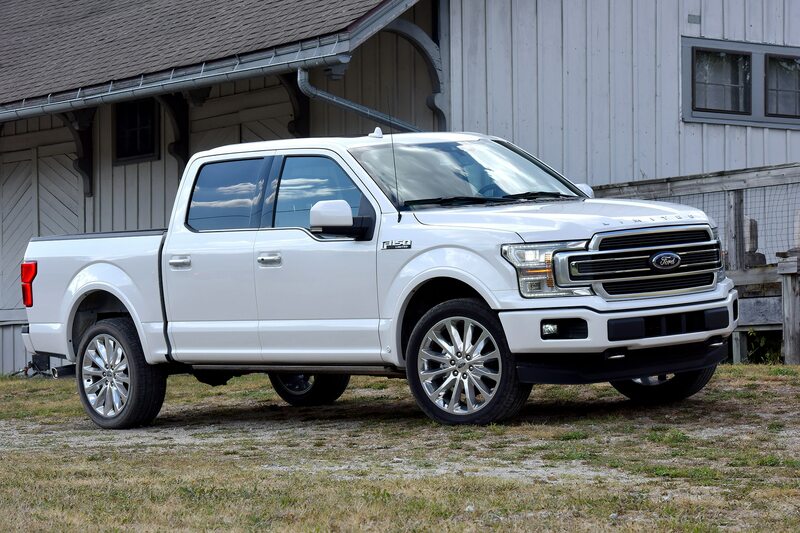 The crankshaft, pistons, and rods have been beefed up for truck use, accessories like the alternator and A/C have been repositioned to fit the existing F-150’s layout, and the fuel injection system has been modified. 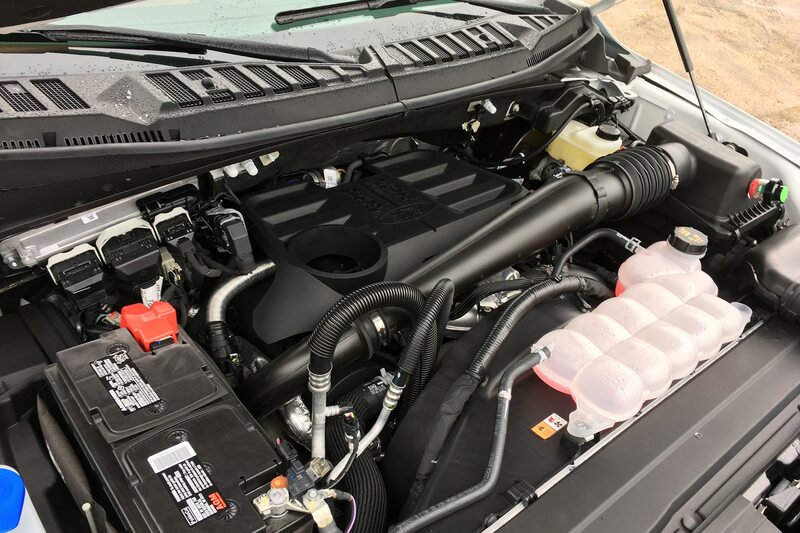 Its output is similar to that of the JLR version, though peak horsepower comes a bit lower in the rev range while peak torque is a bit higher. 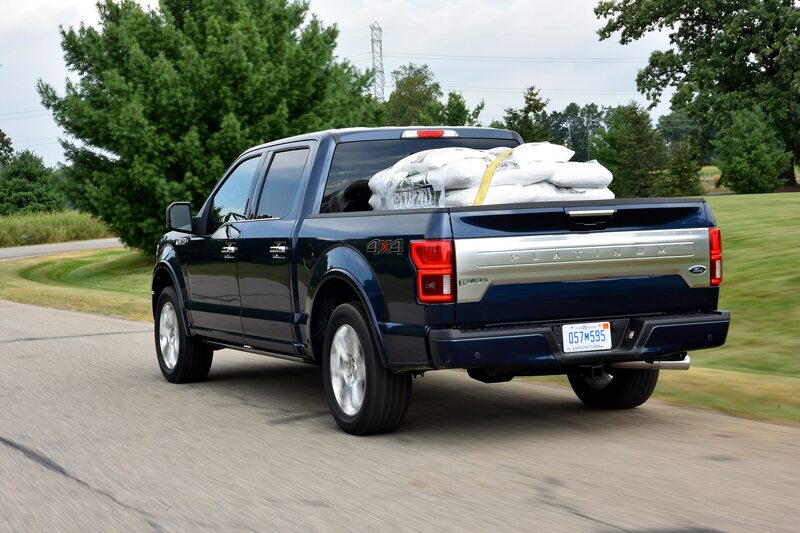 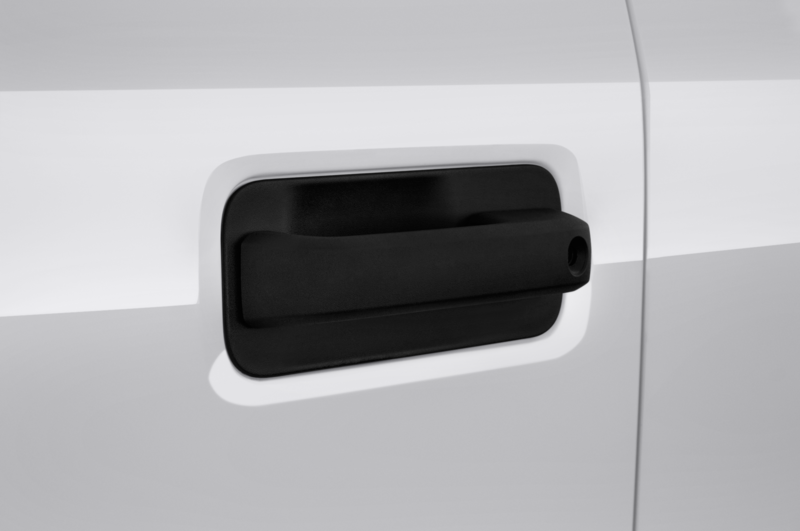 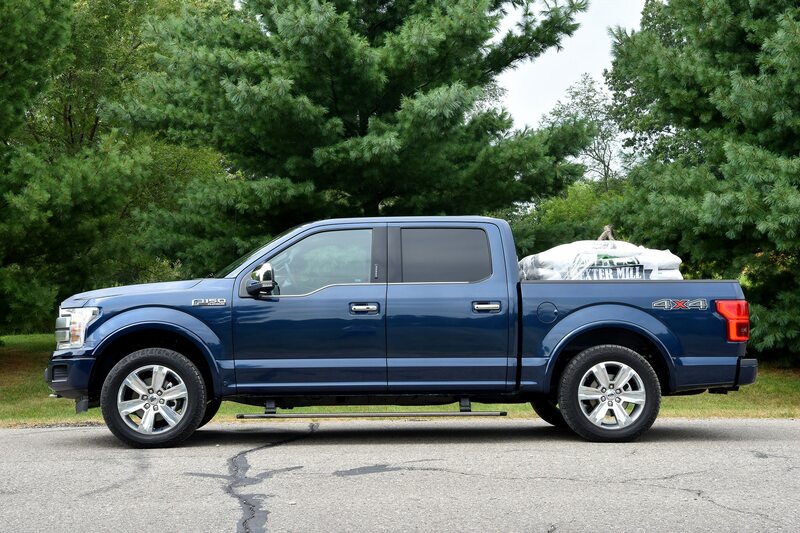 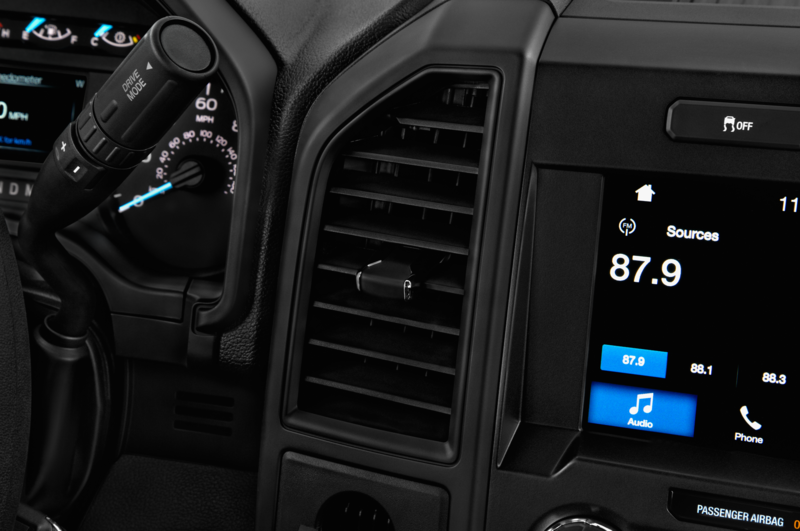 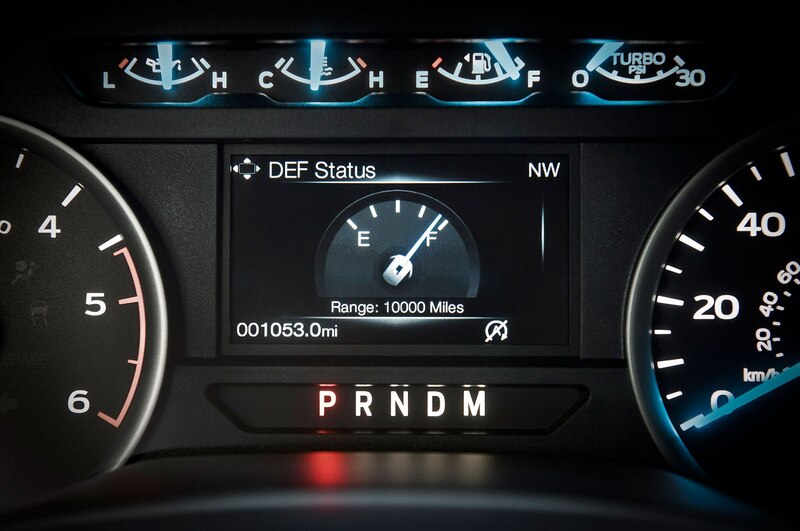 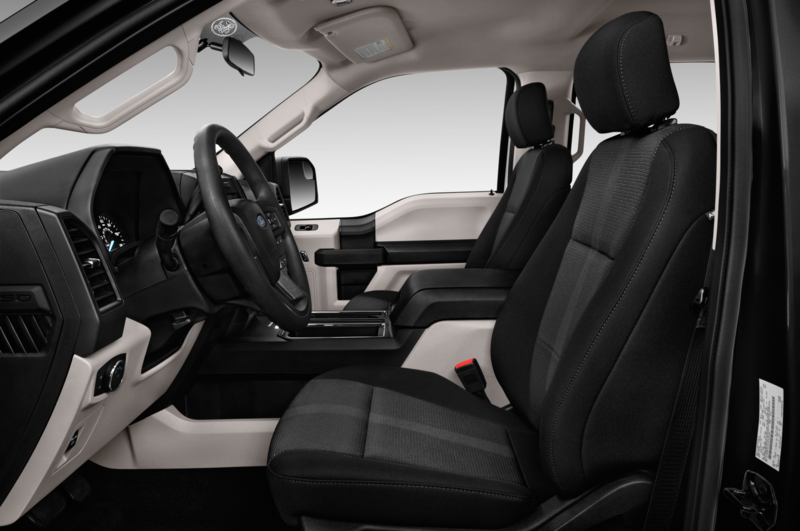 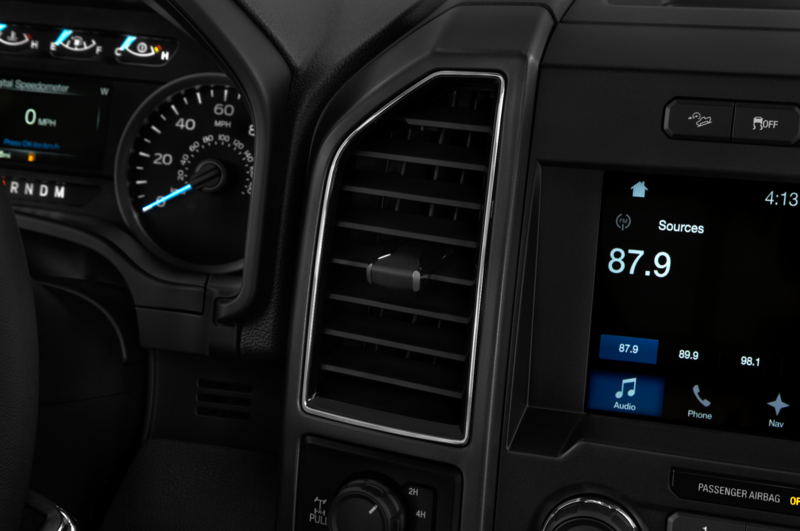 Ford has fitted the F-150 with a 5.4-gallon diesel exhaust fluid (DEF) tank, which it says is good for 10,000 miles. 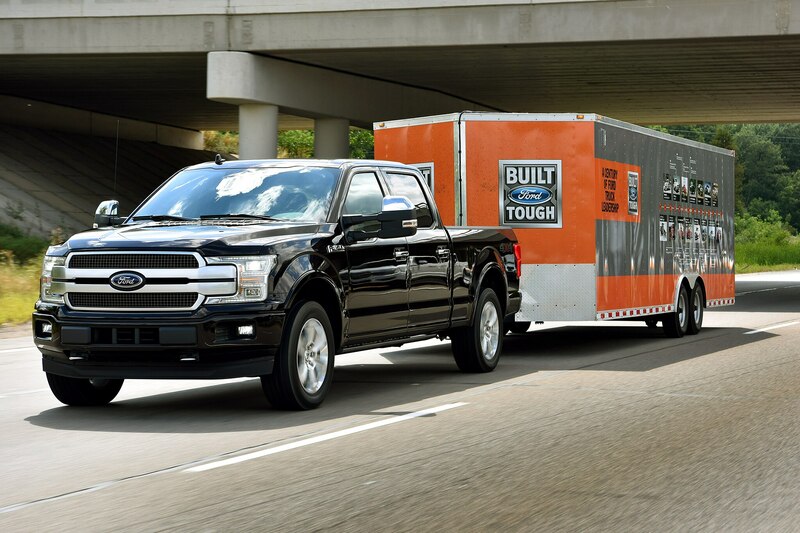 In our experience, DEF consumption increases with heavy hauling and towing, so the big tank is a clear advantage. 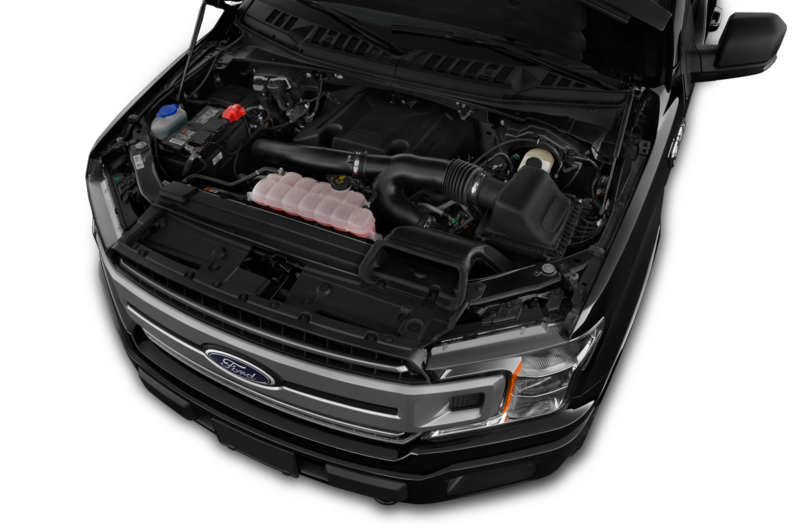 Pricing for the diesel engine depends on what trim level you buy. 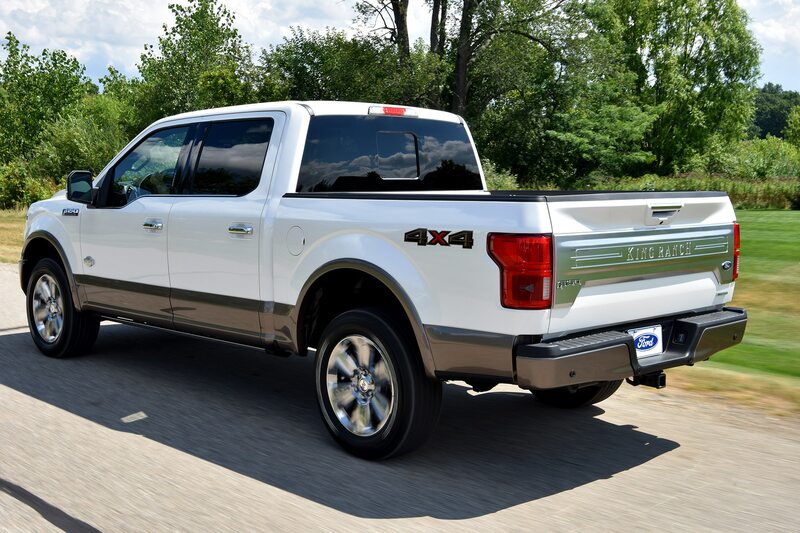 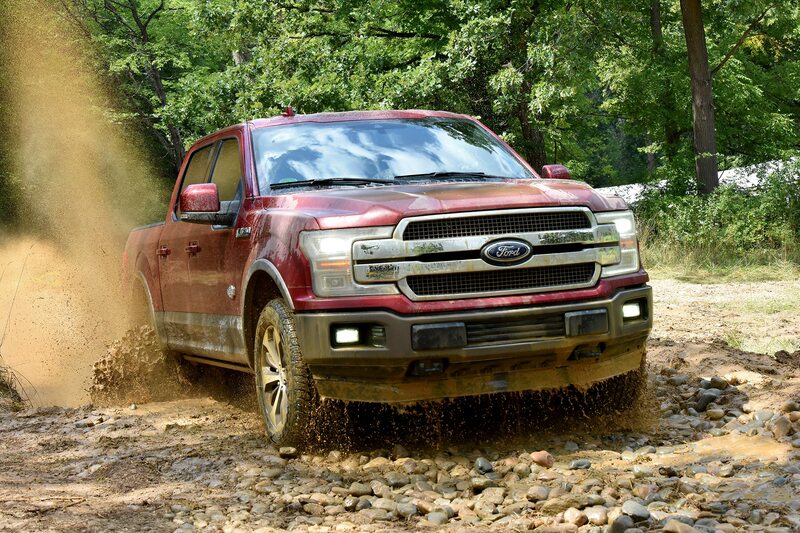 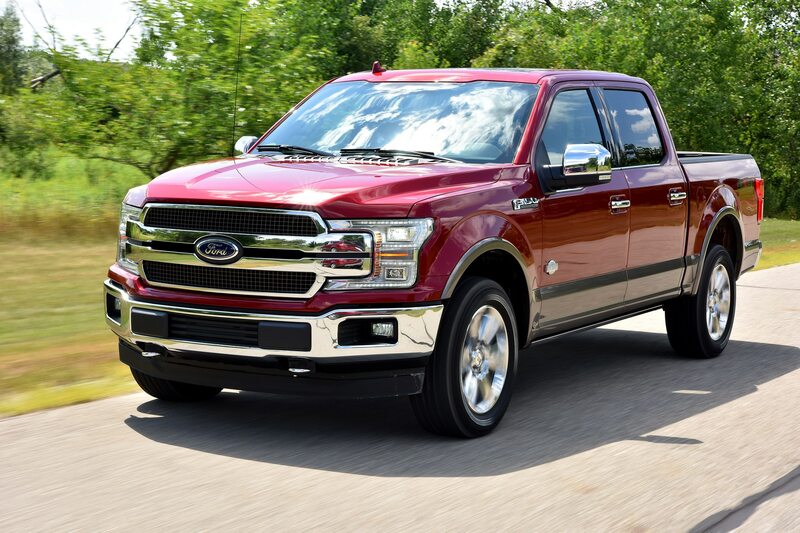 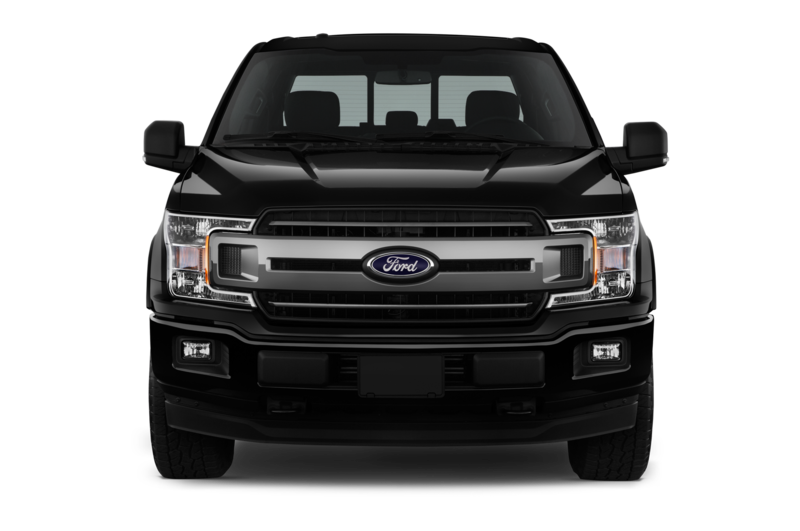 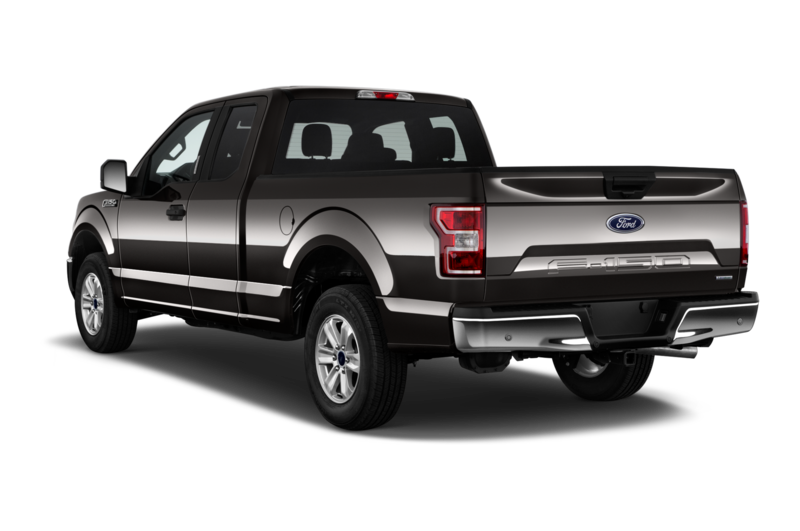 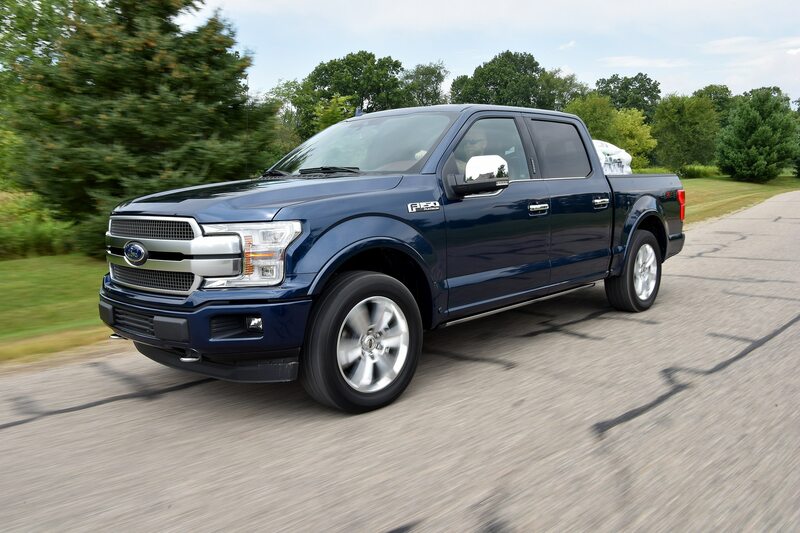 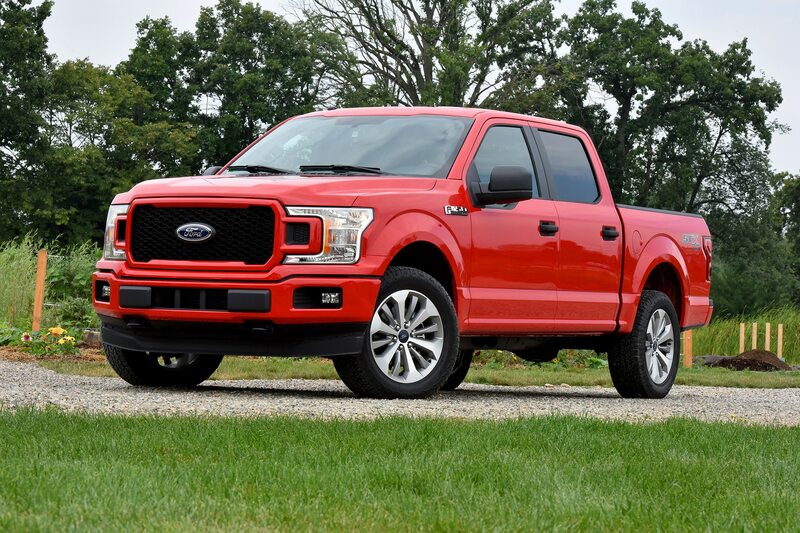 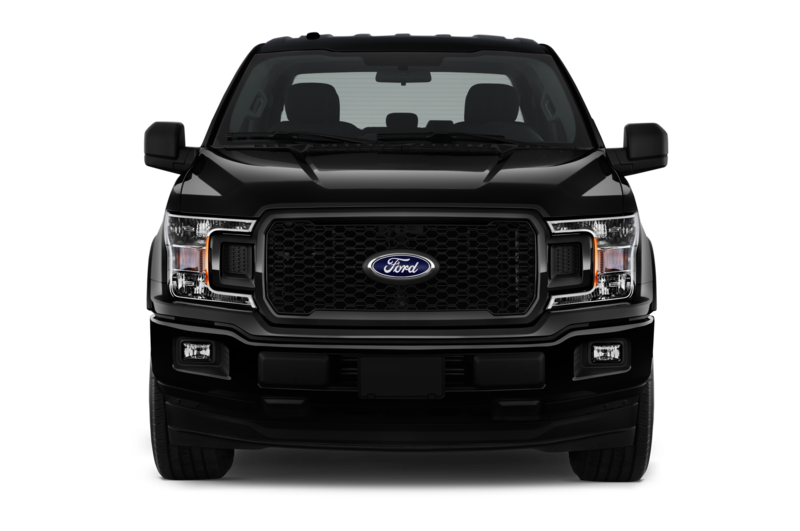 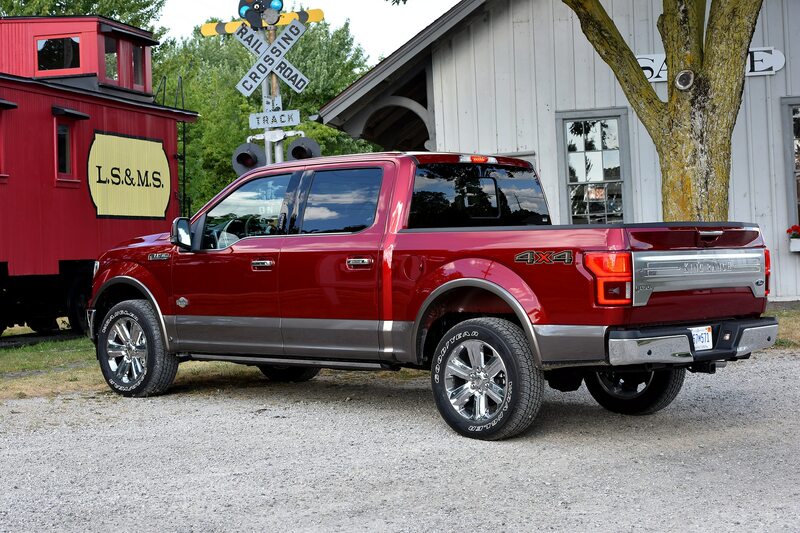 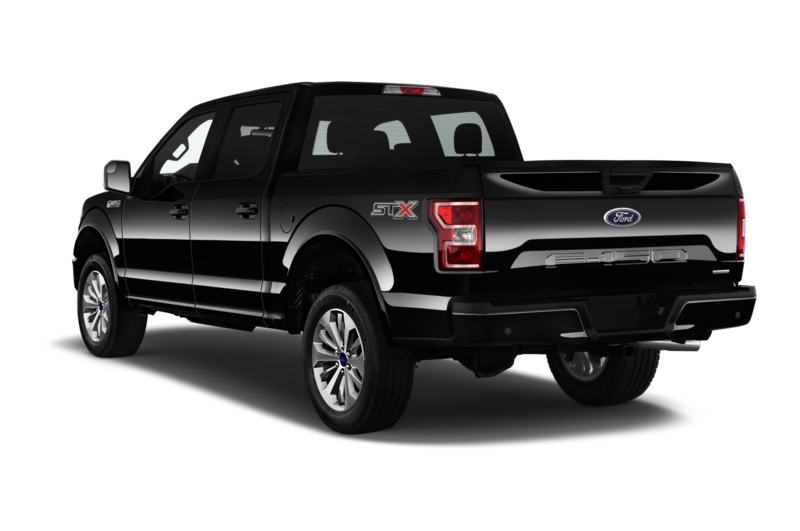 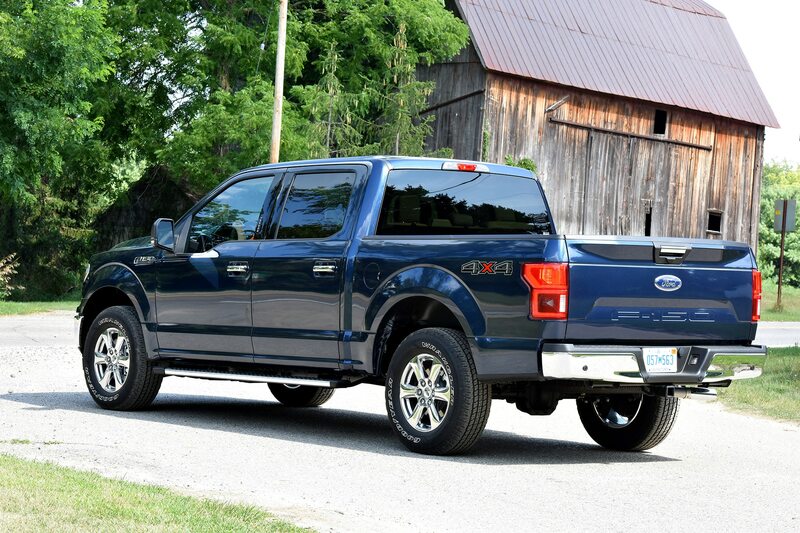 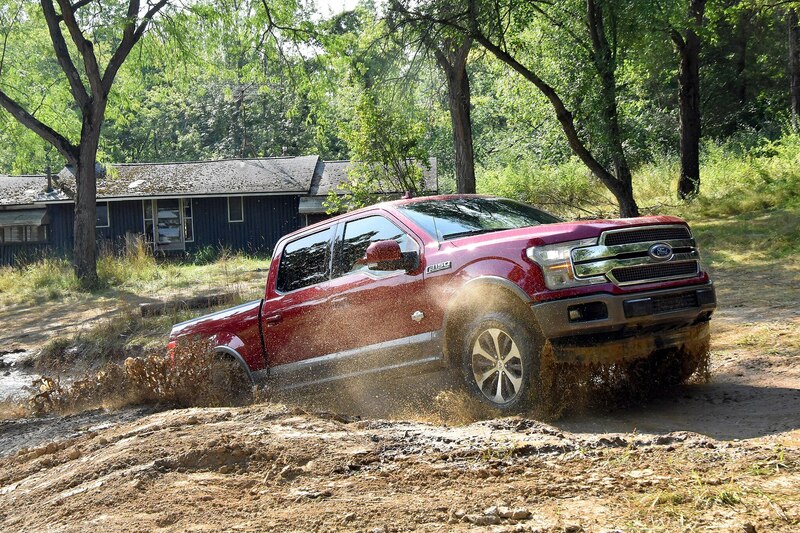 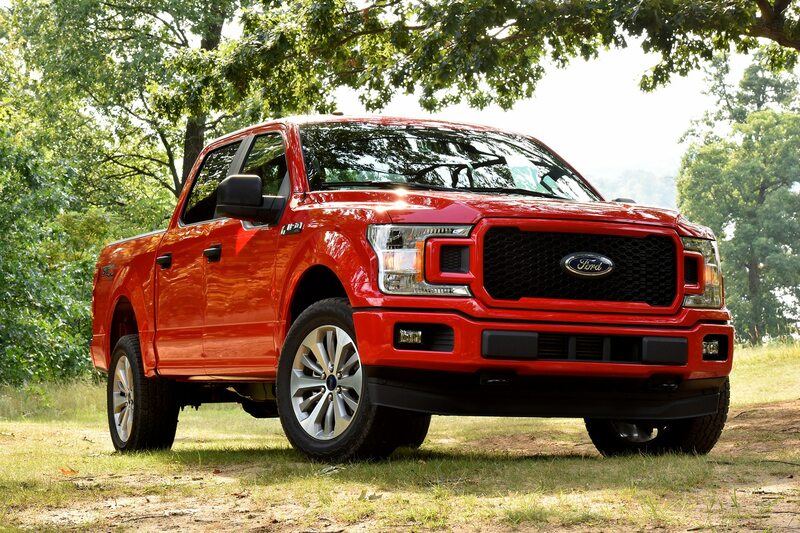 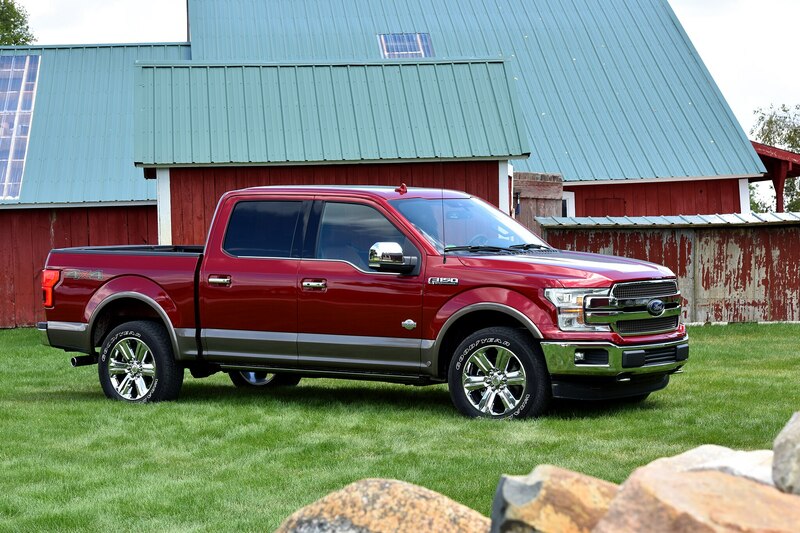 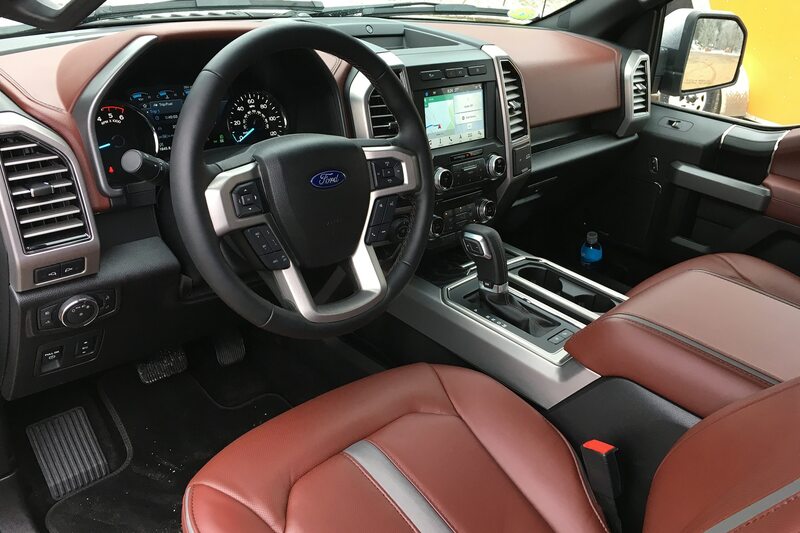 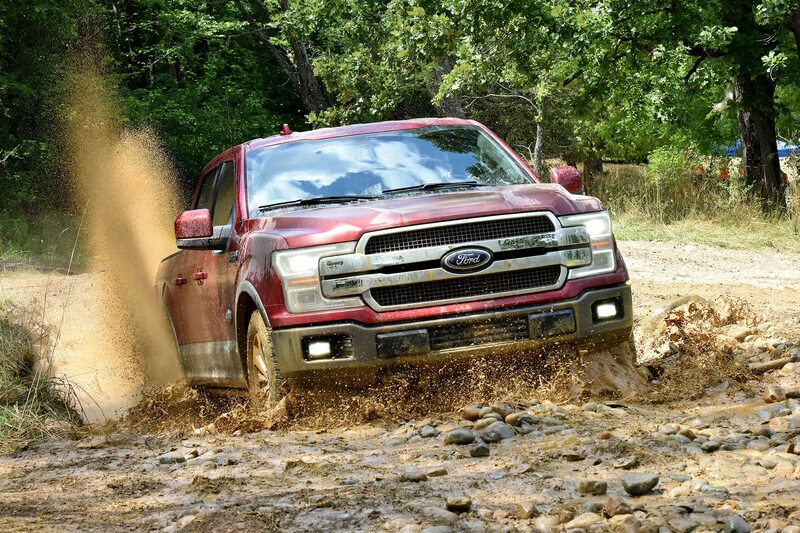 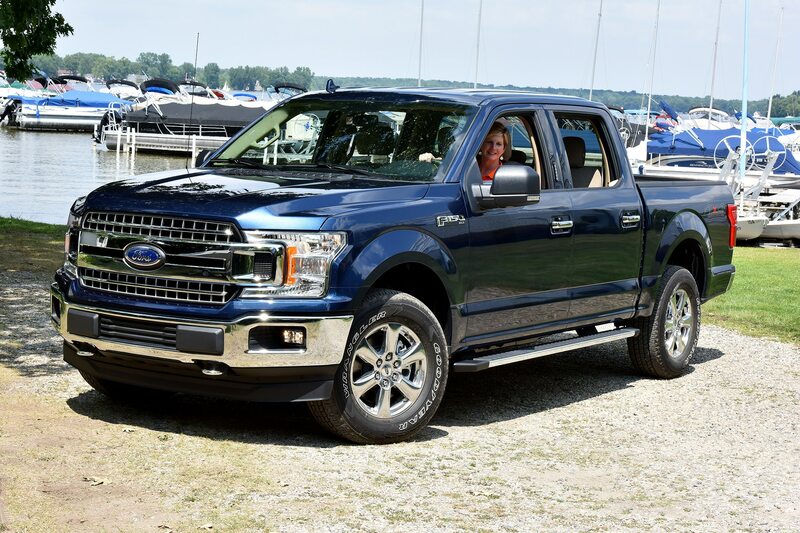 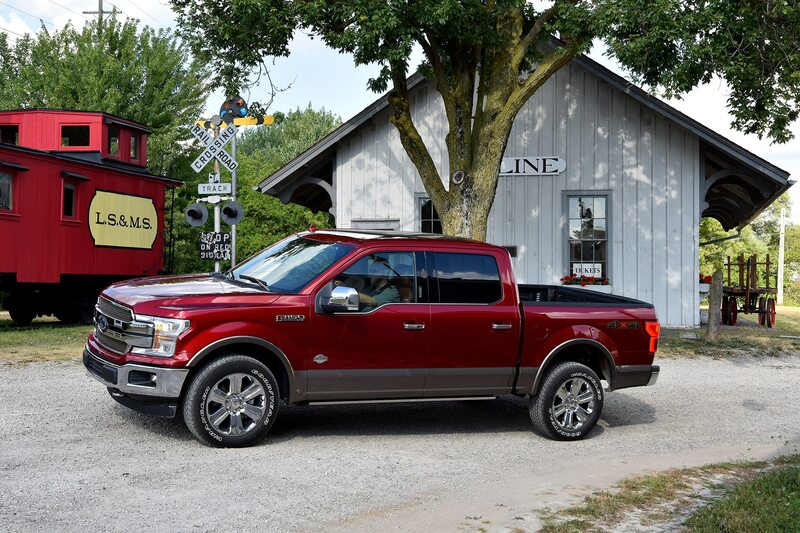 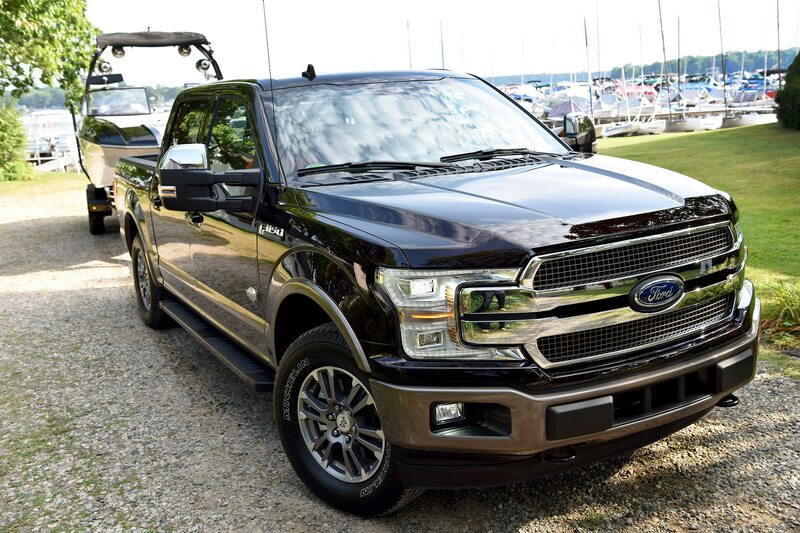 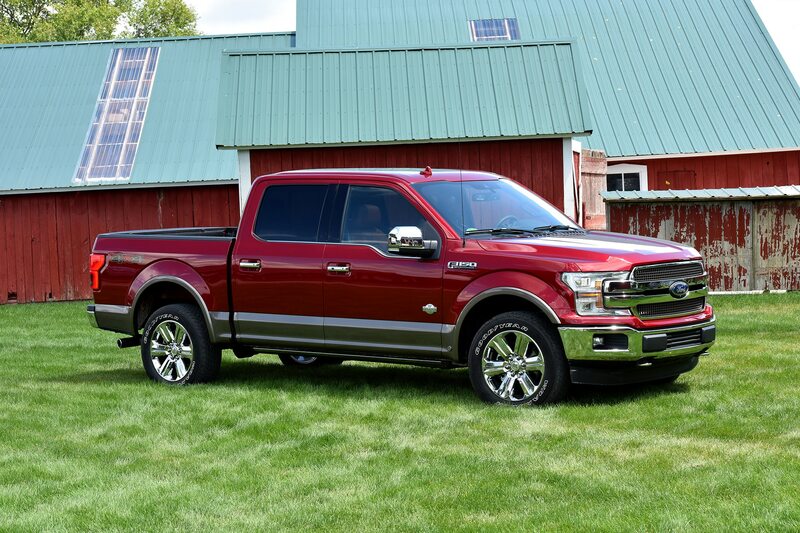 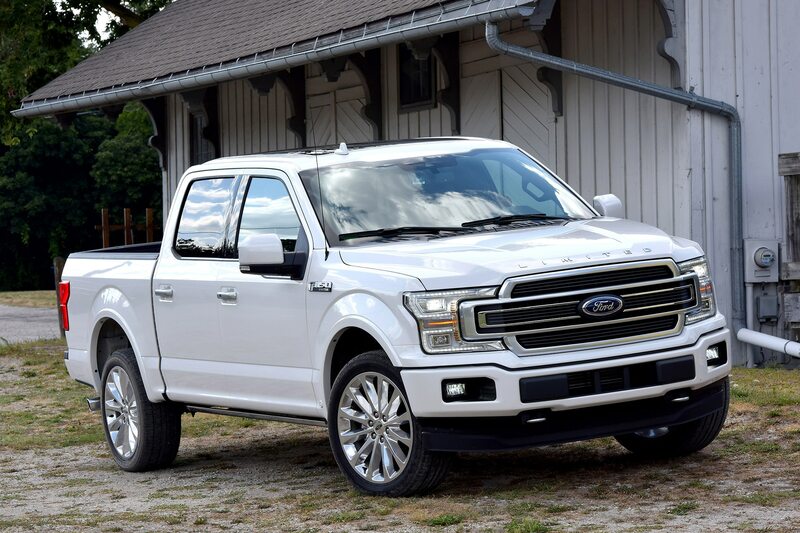 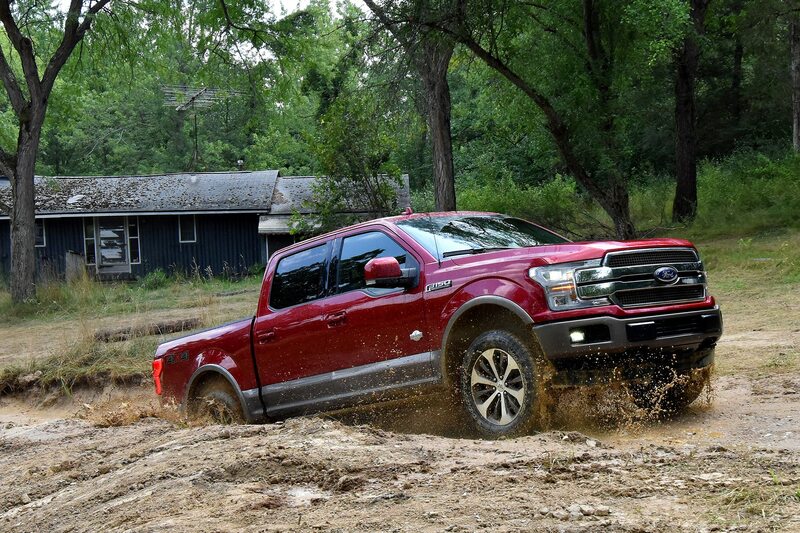 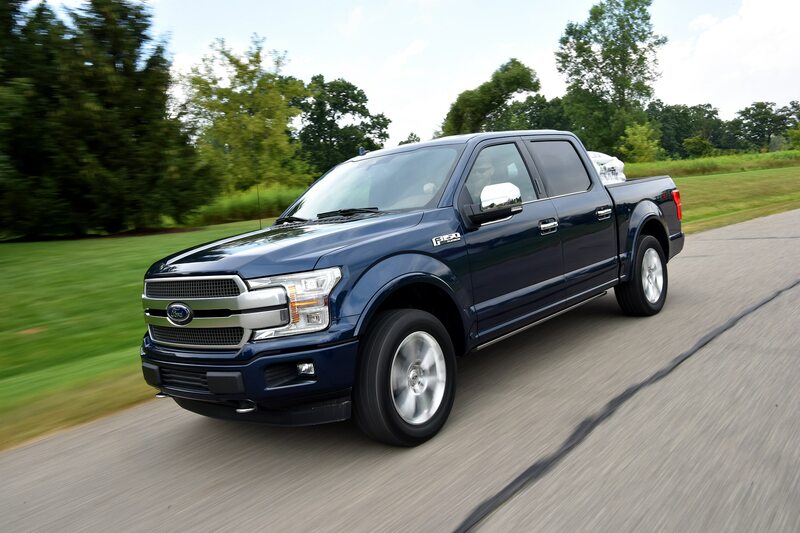 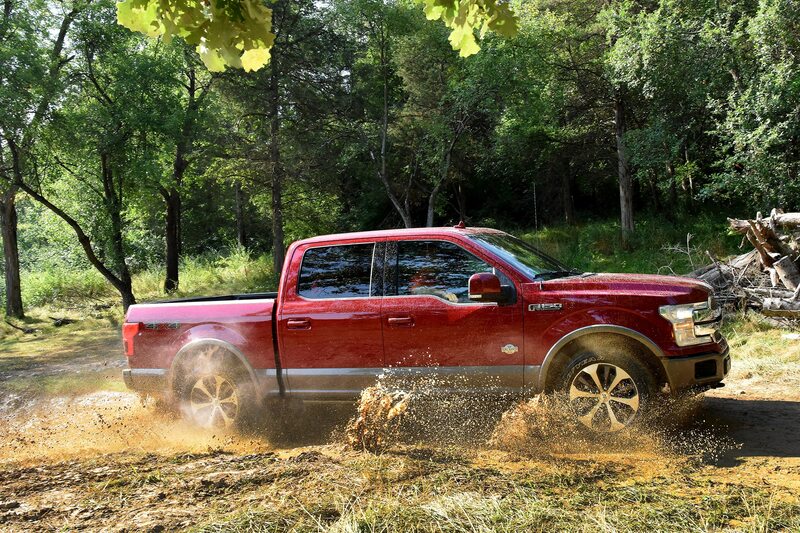 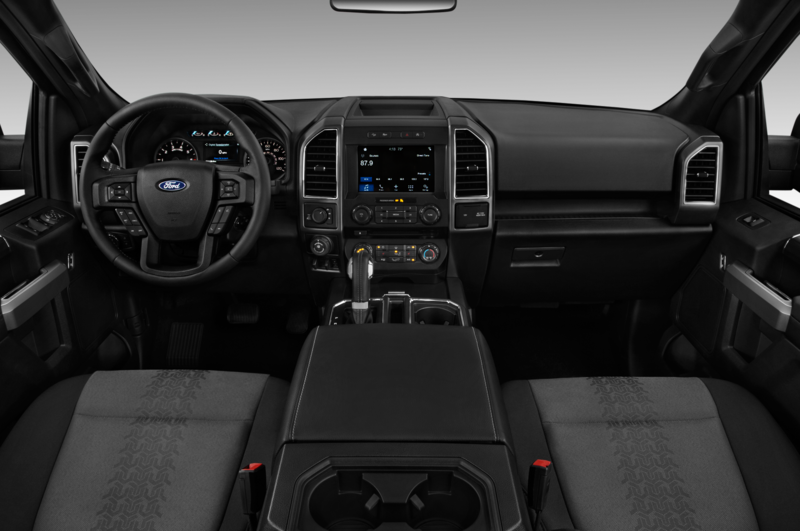 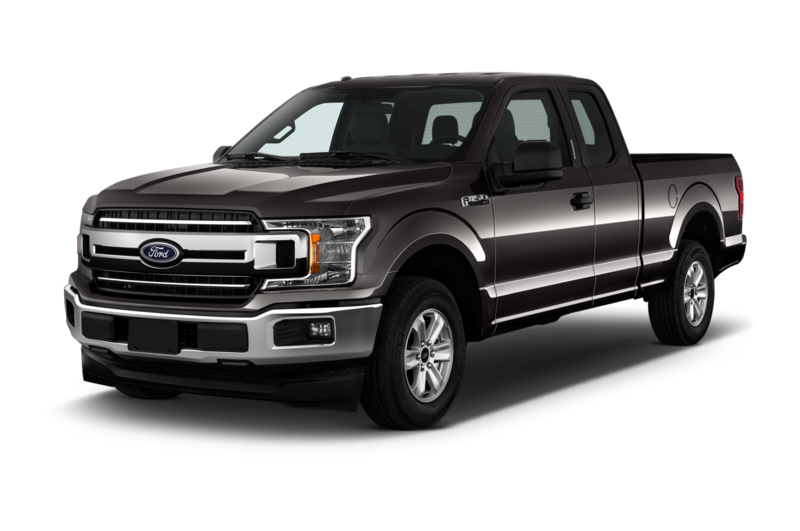 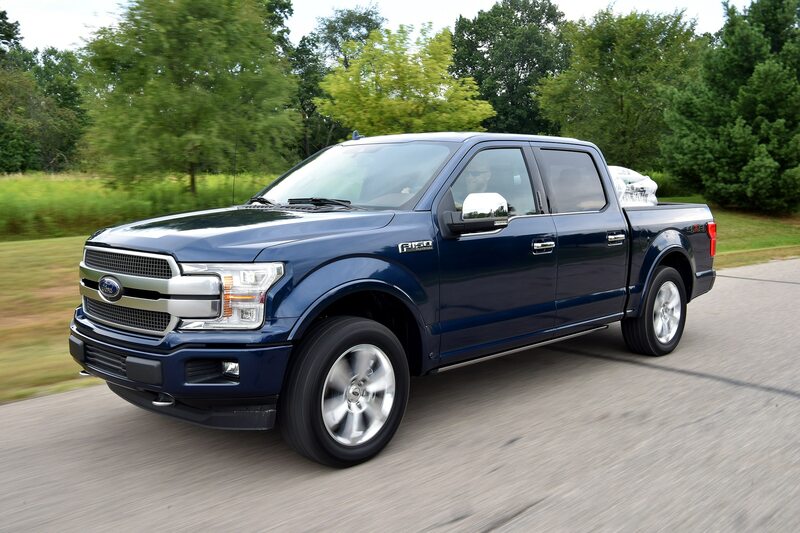 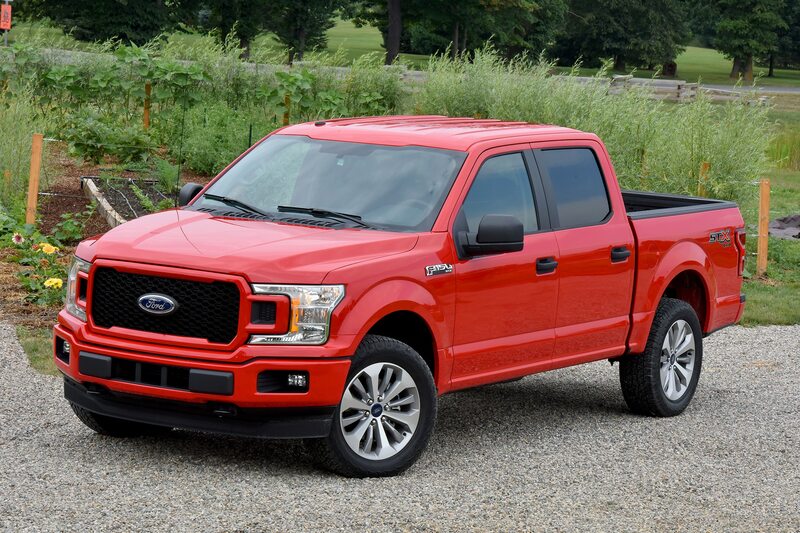 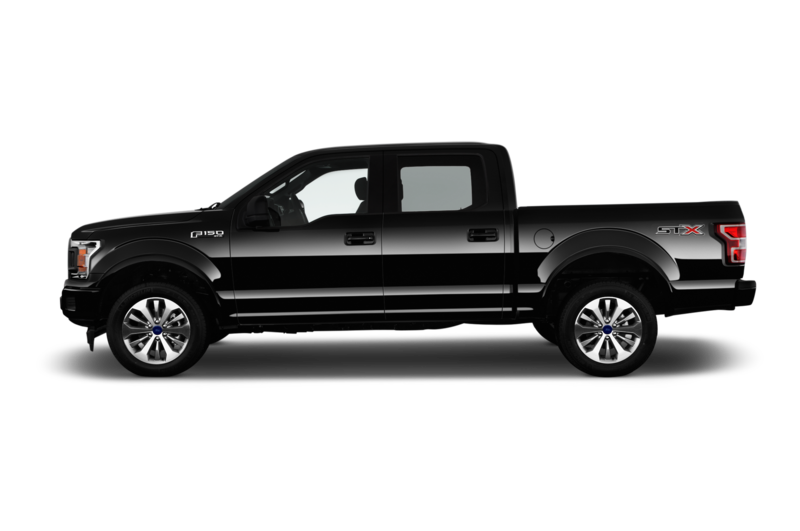 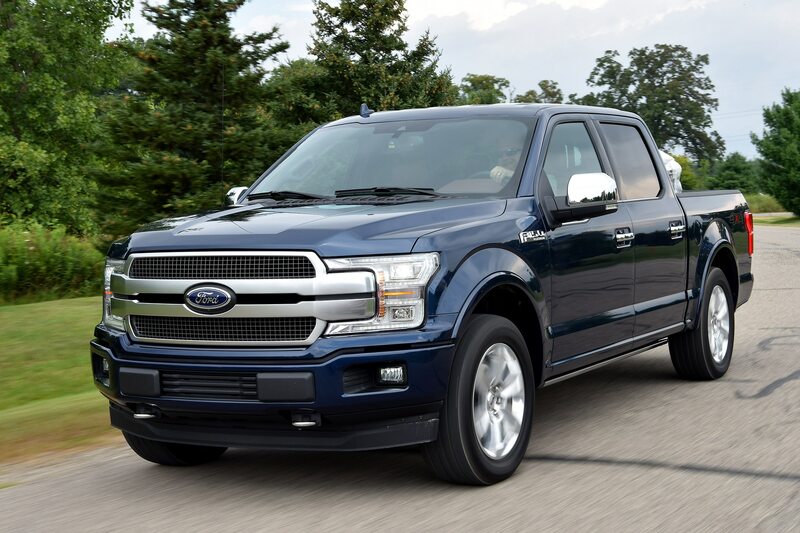 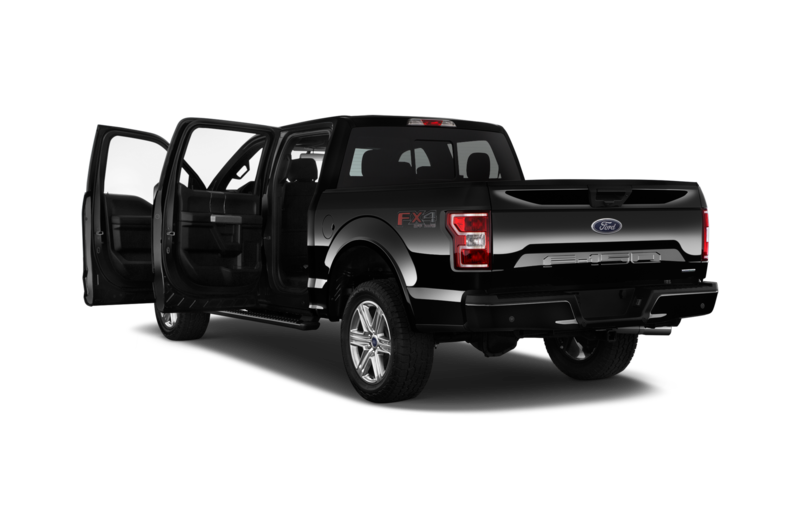 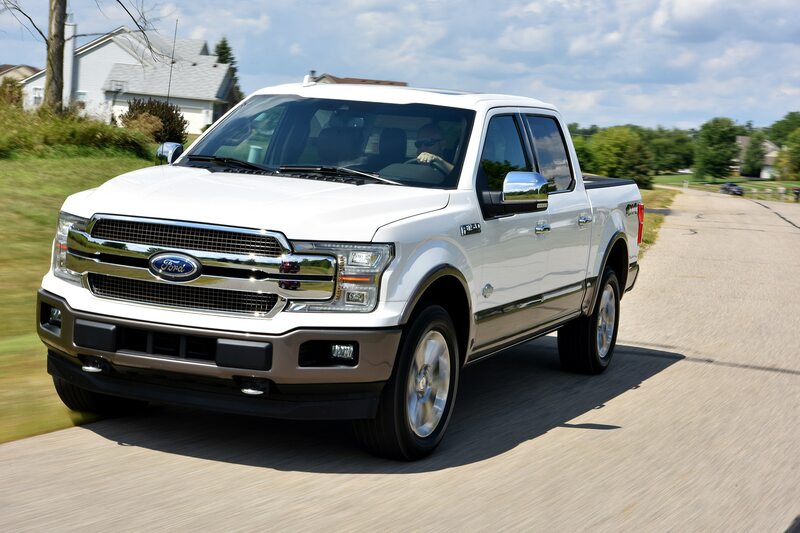 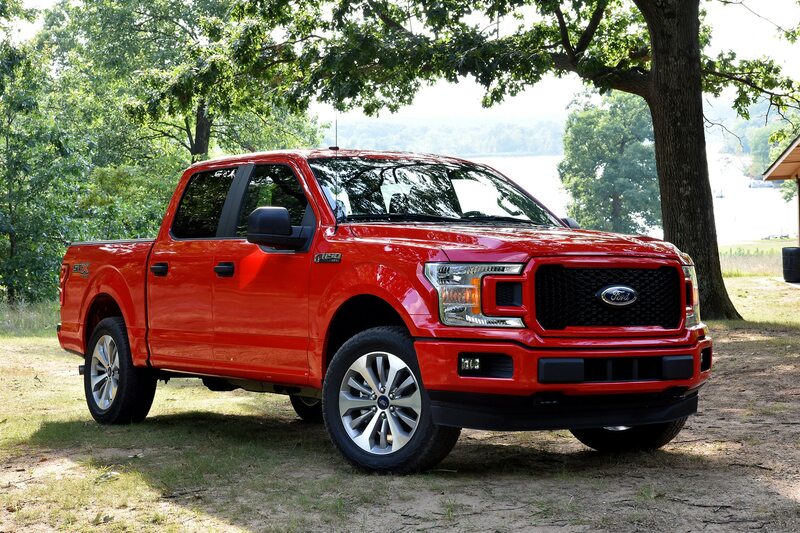 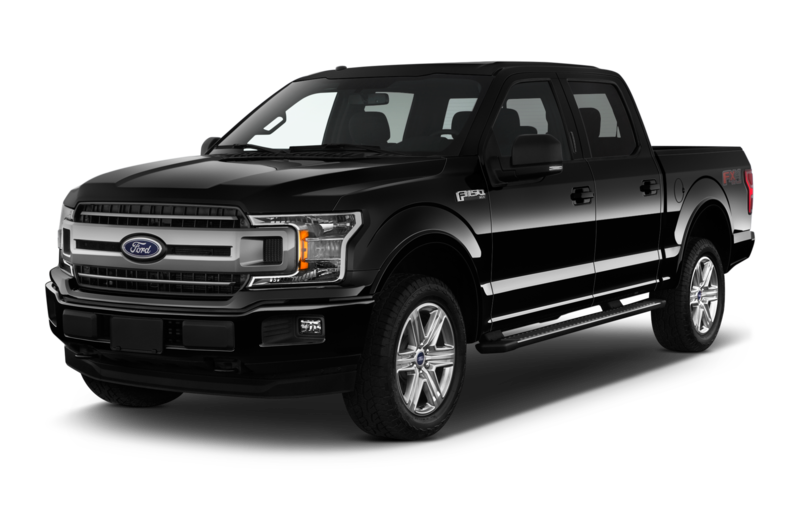 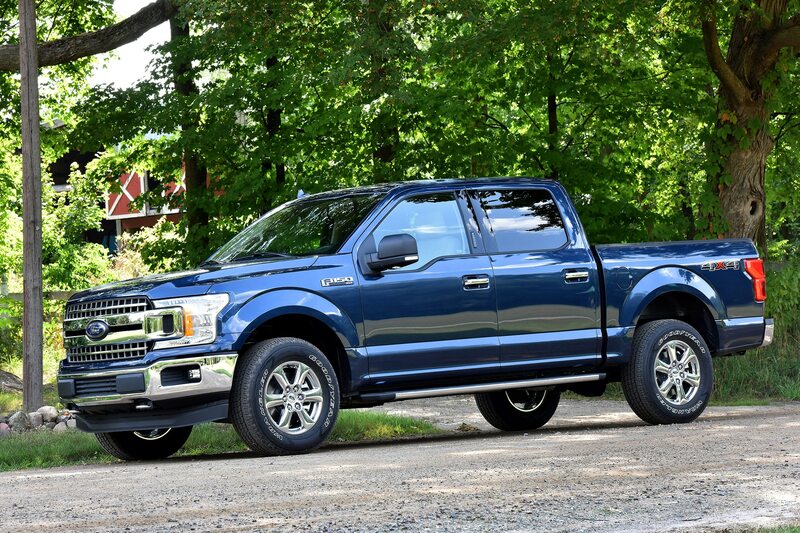 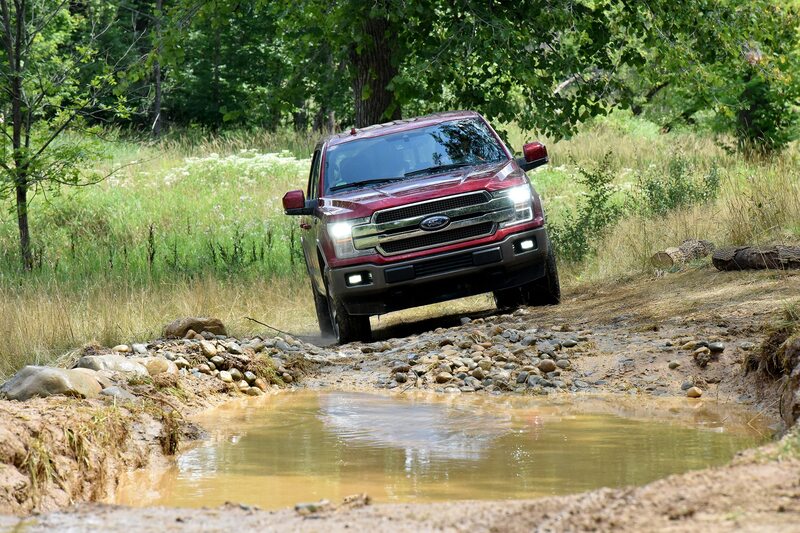 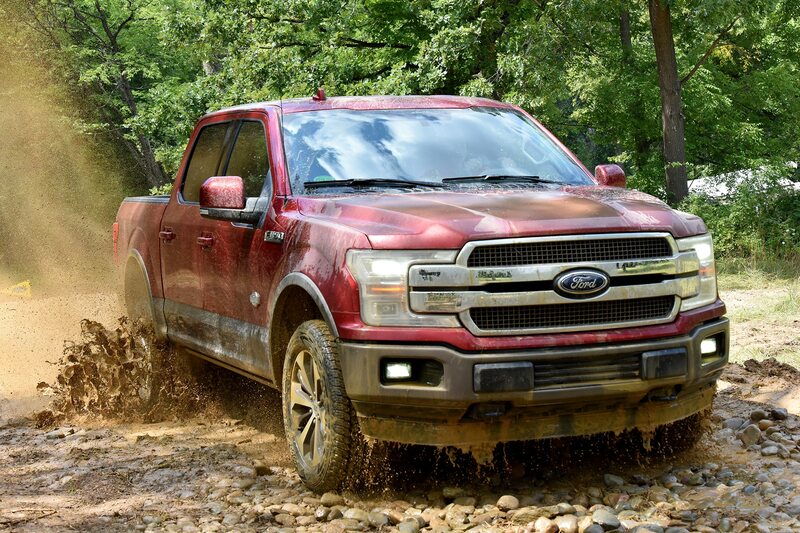 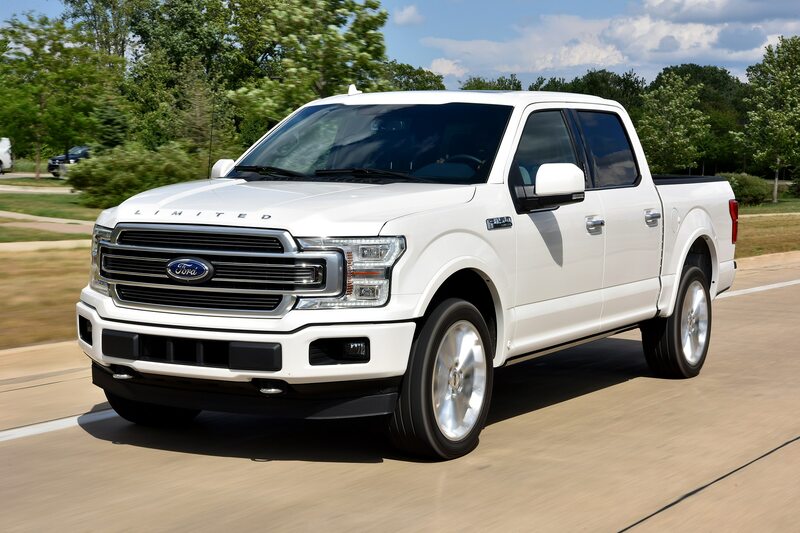 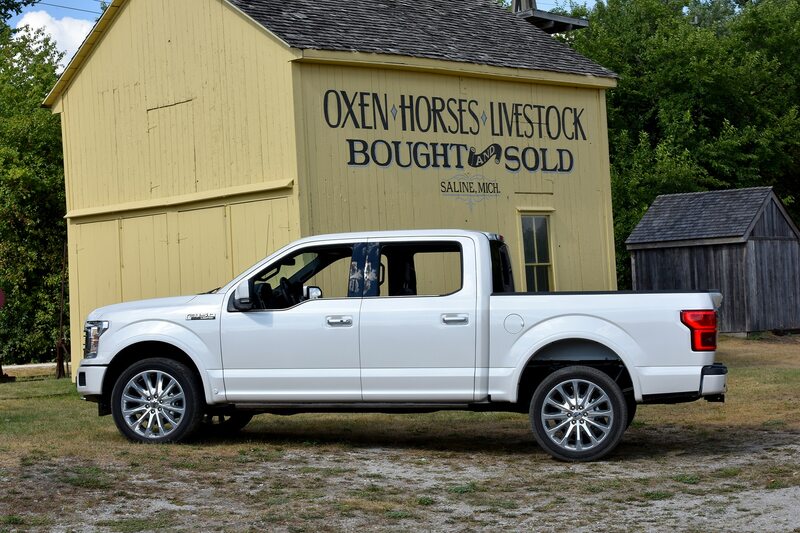 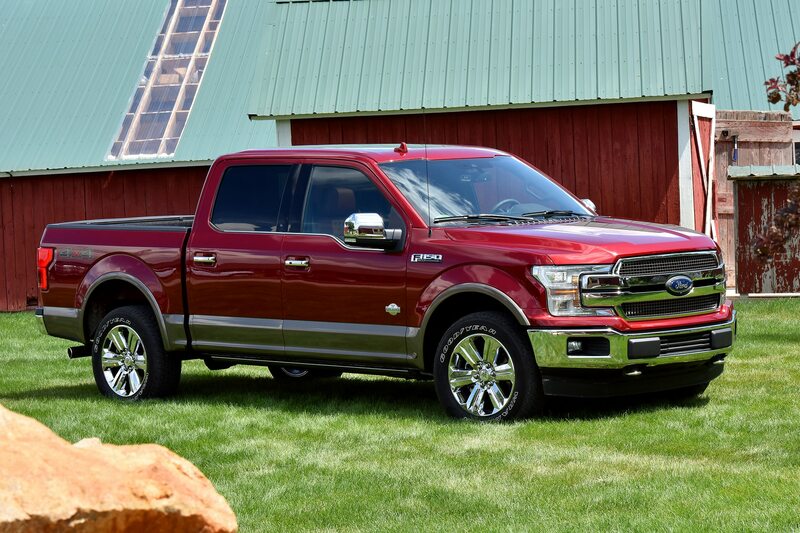 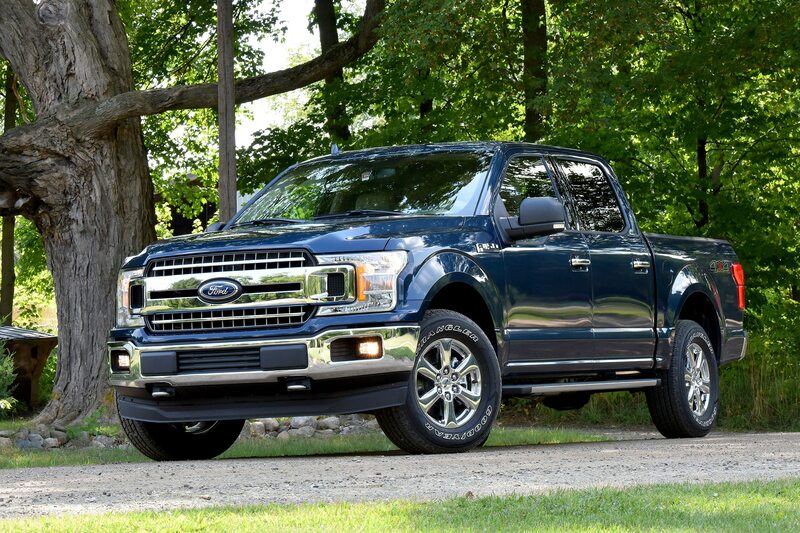 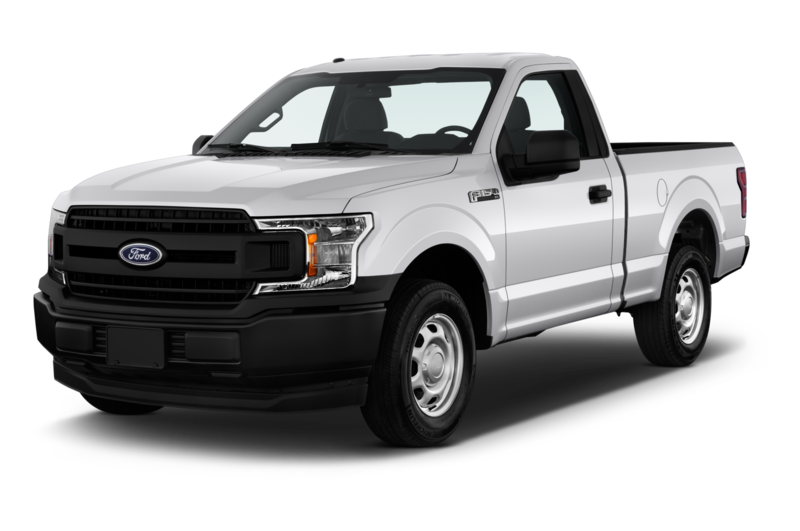 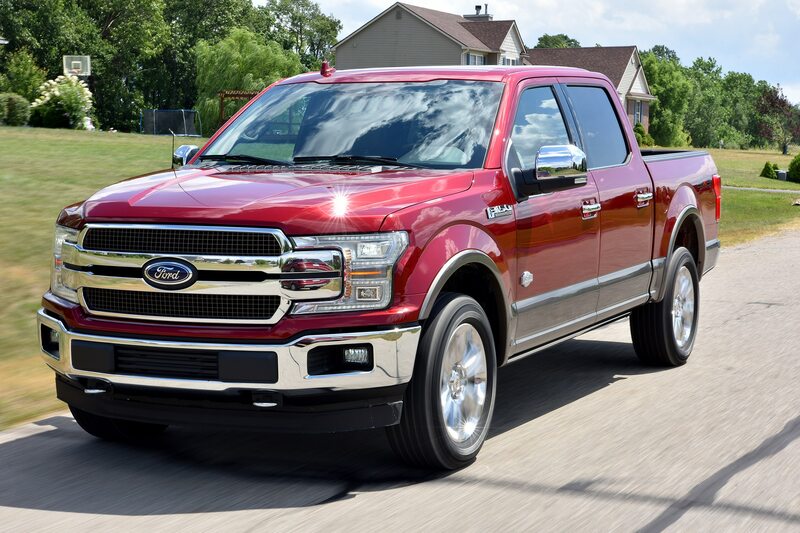 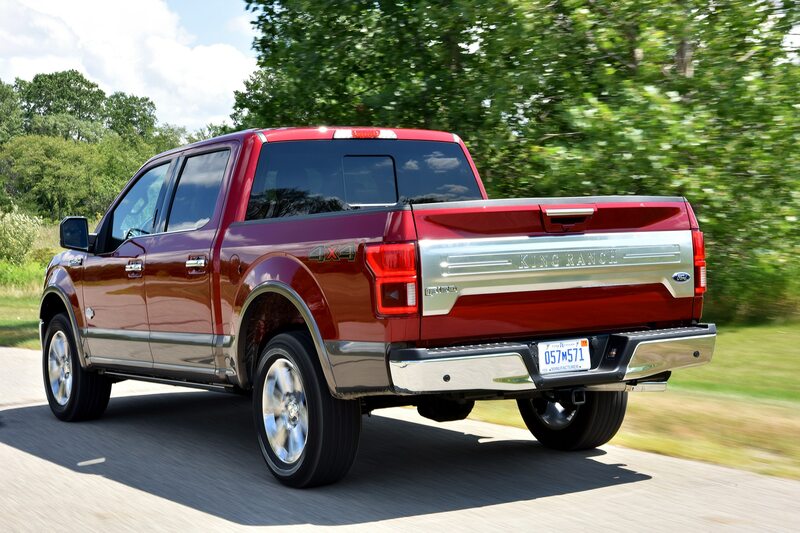 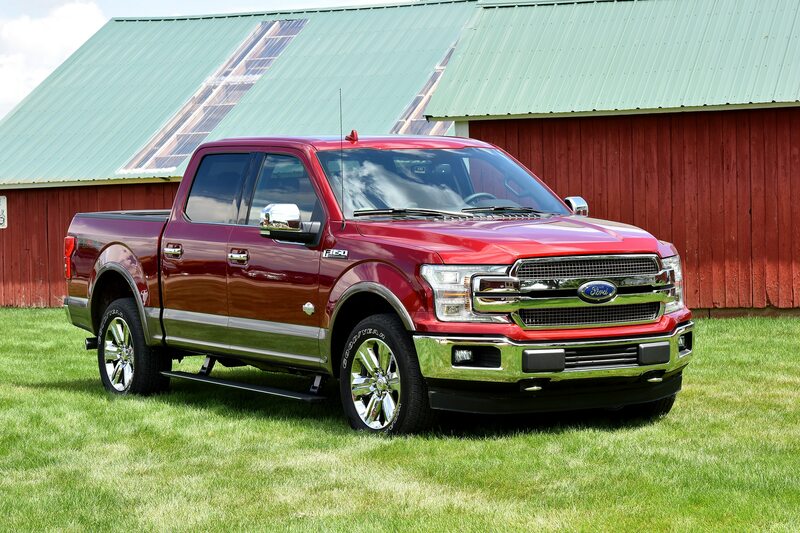 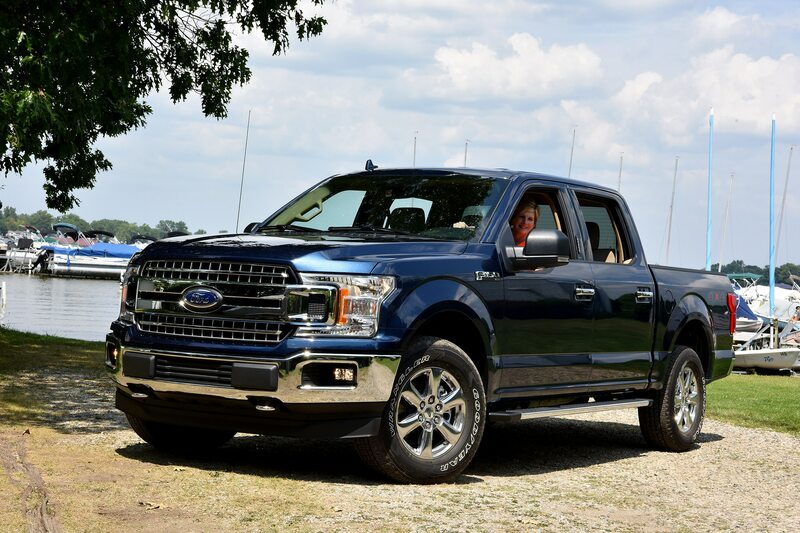 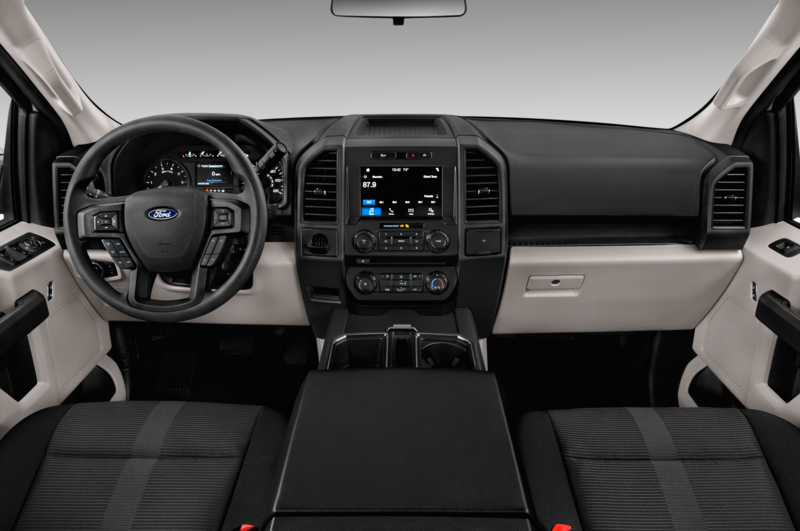 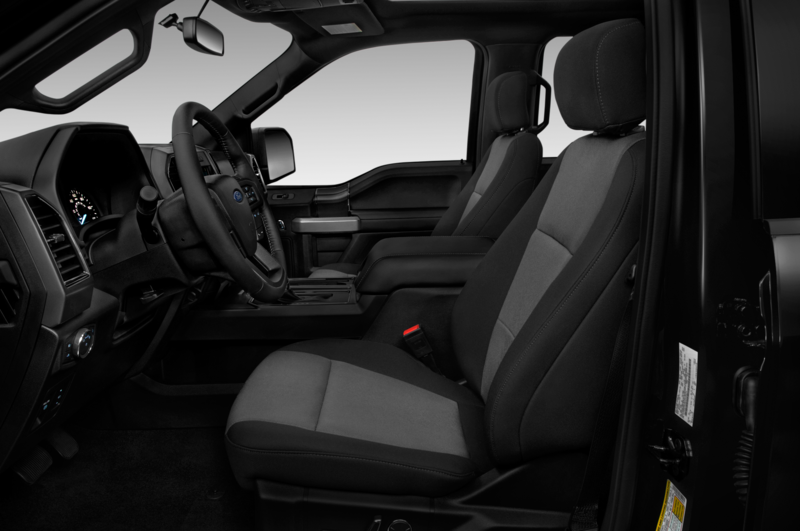 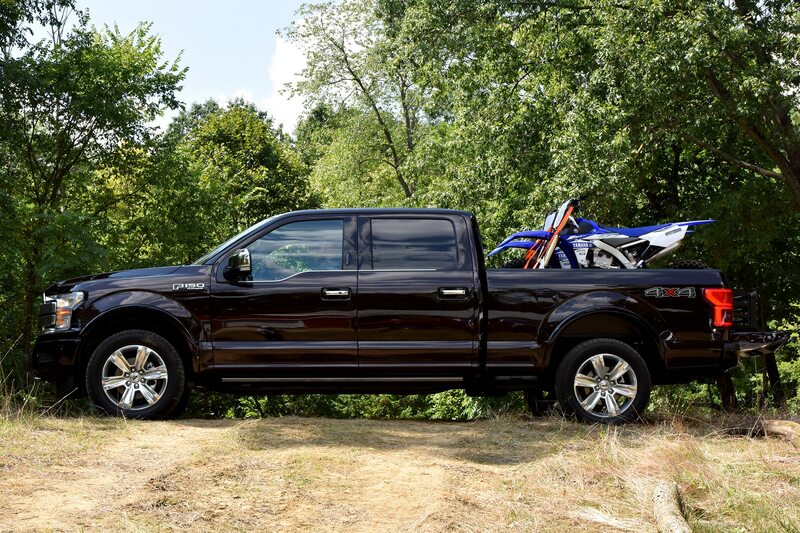 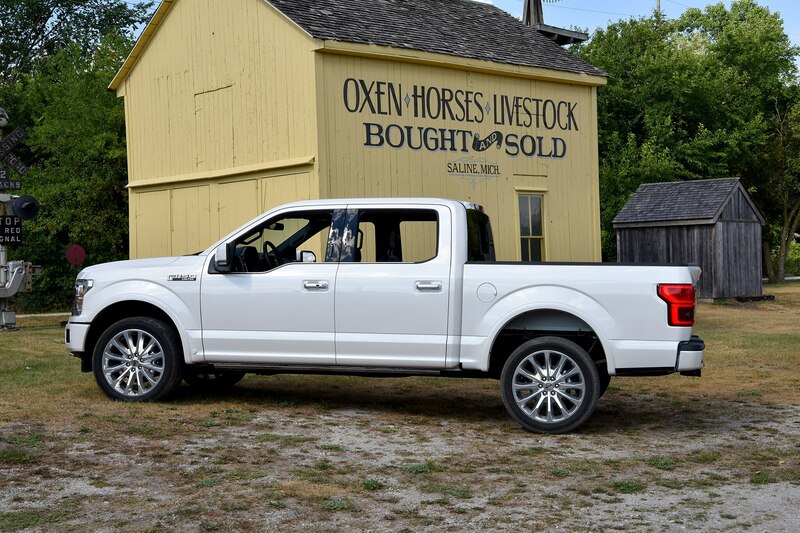 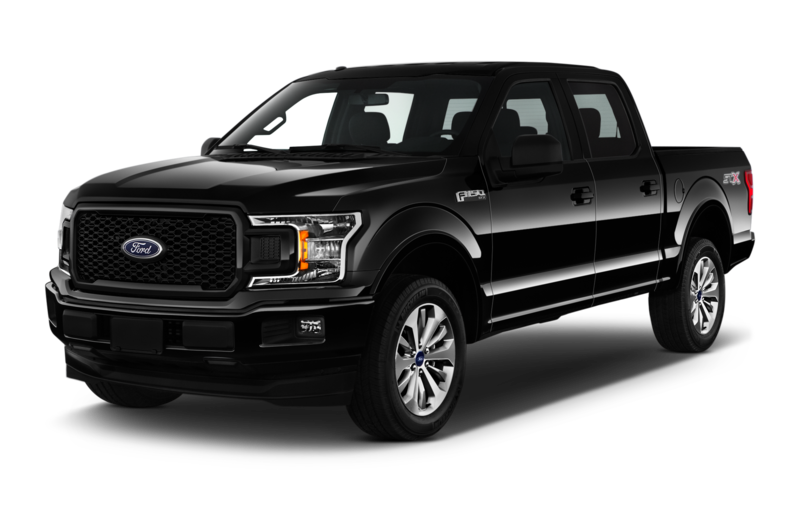 For entry-level XL and XLT models, the engine is a $4,995 option; for Lariat trucks, which come with the 2.7-liter EcoBoost V-6 as standard, the price premium is $4,000; and for King Ranch and Platinum models, which come with the 5.0-liter V-8, the diesel costs $3,000. 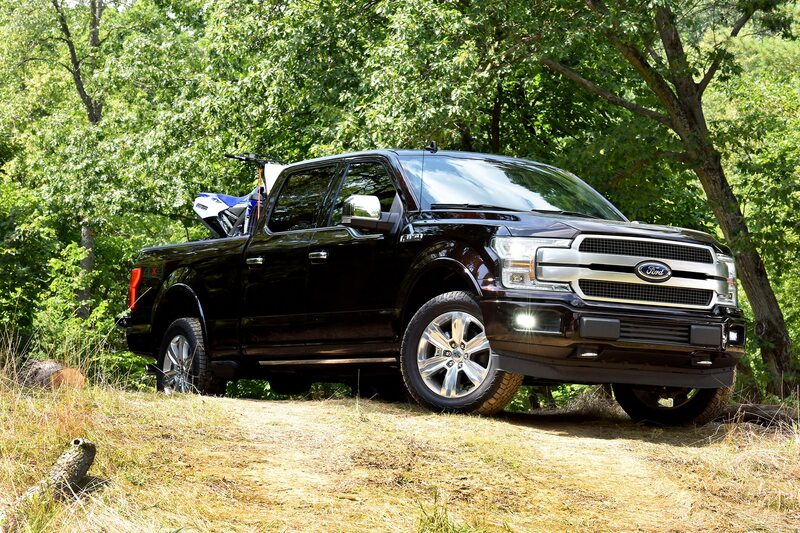 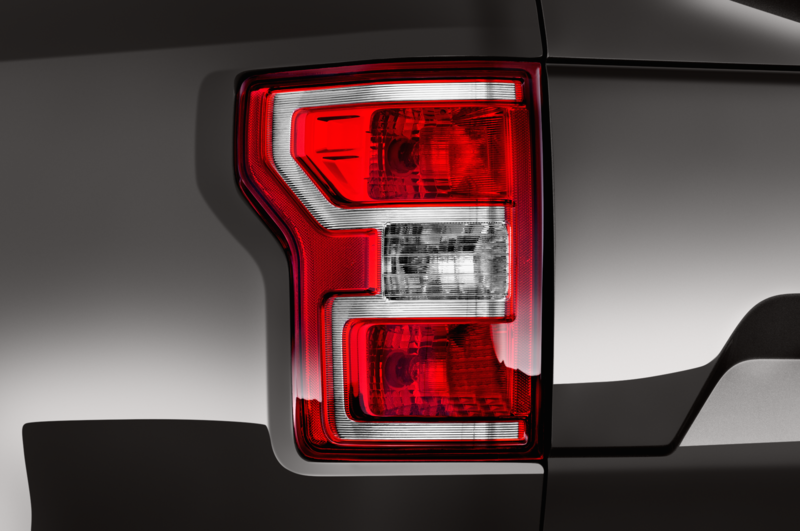 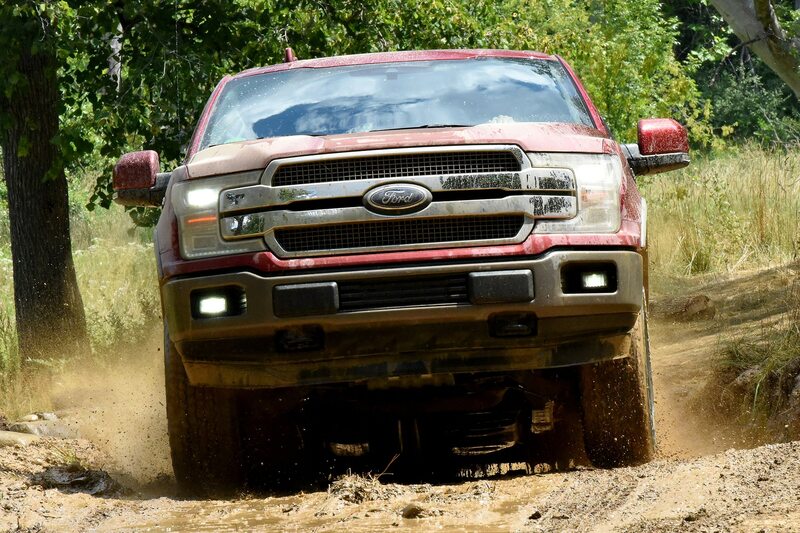 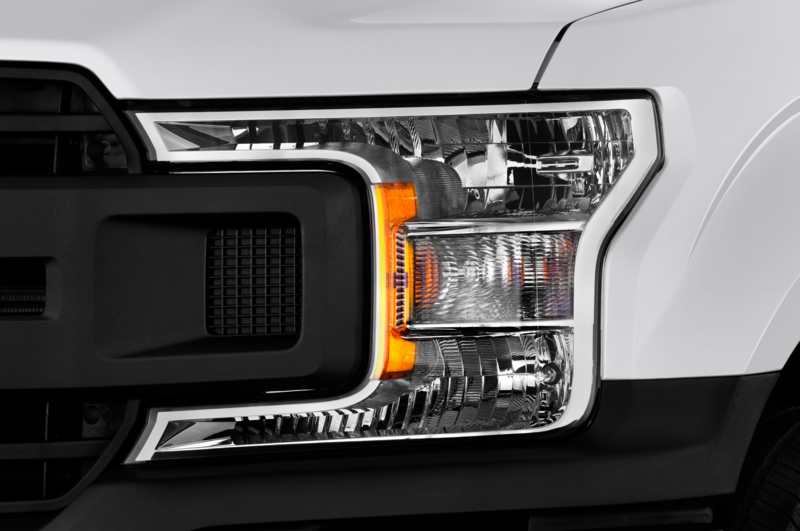 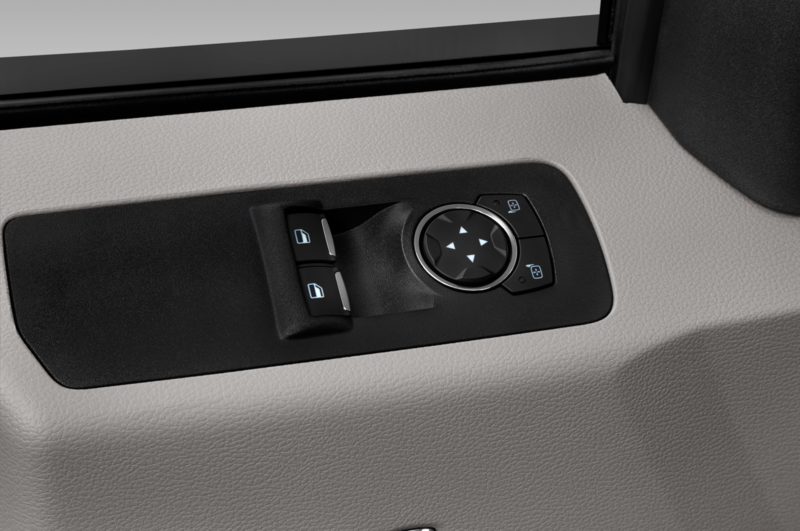 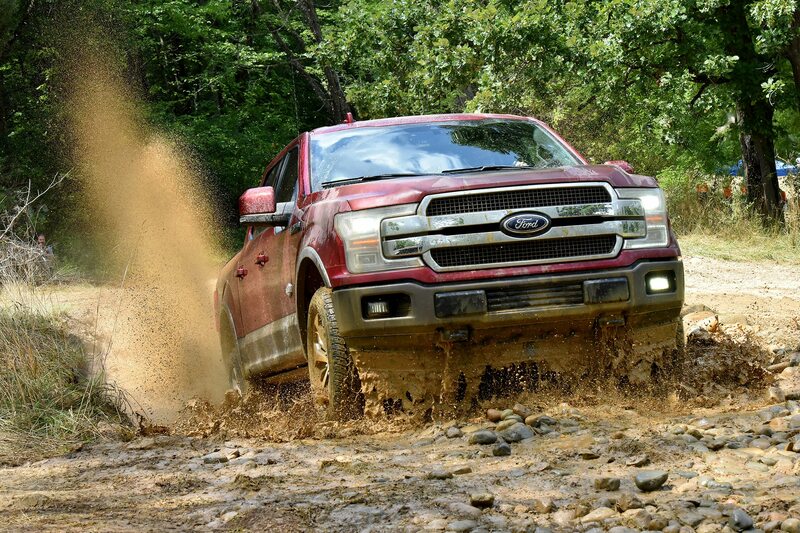 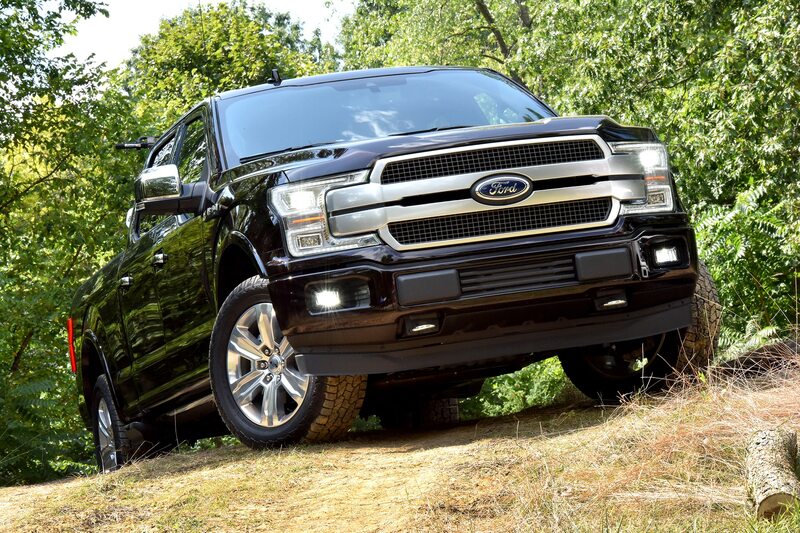 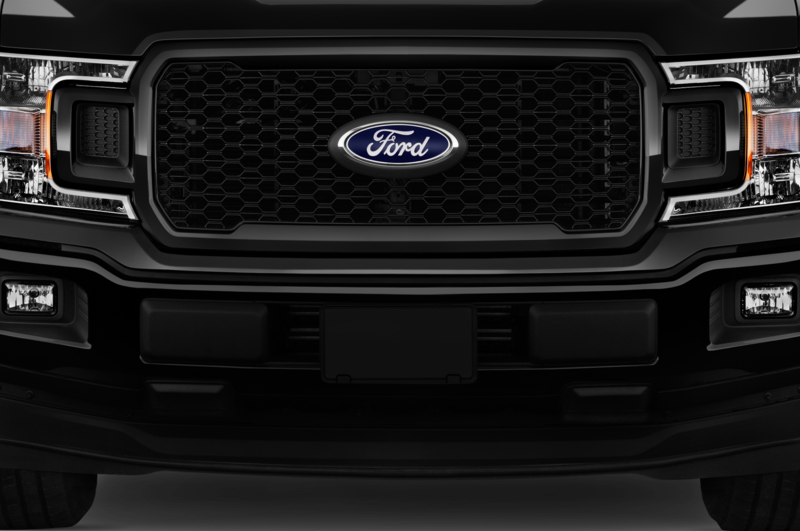 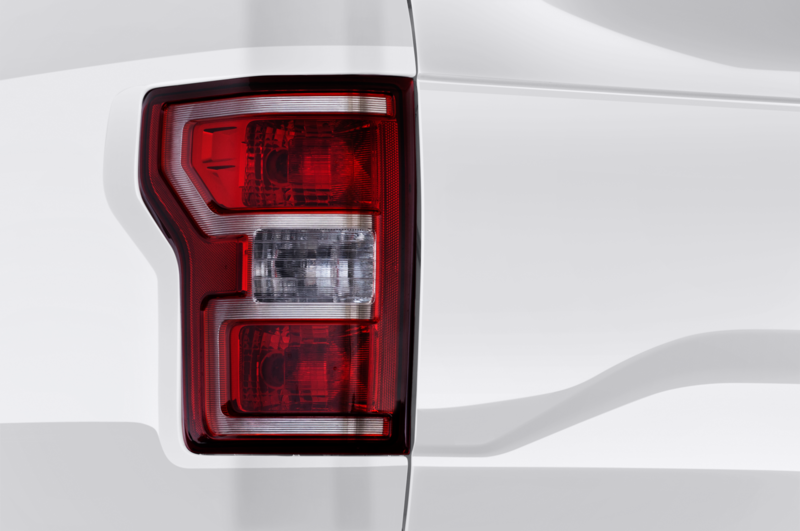 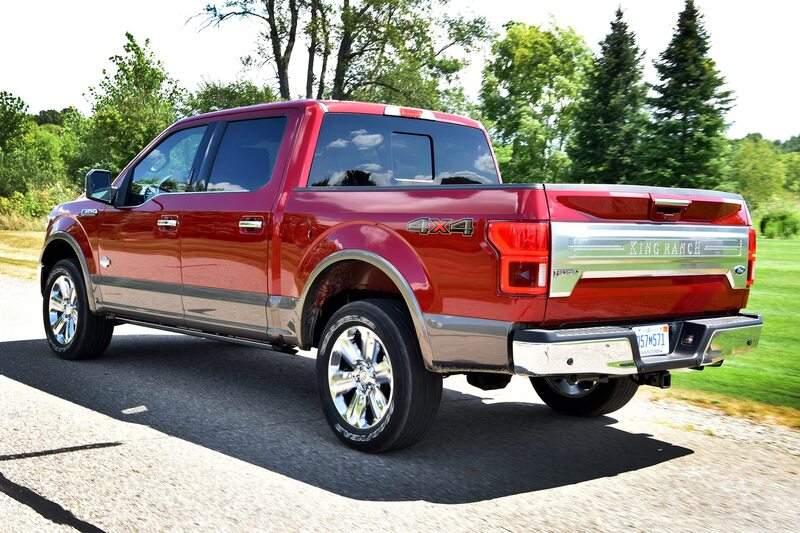 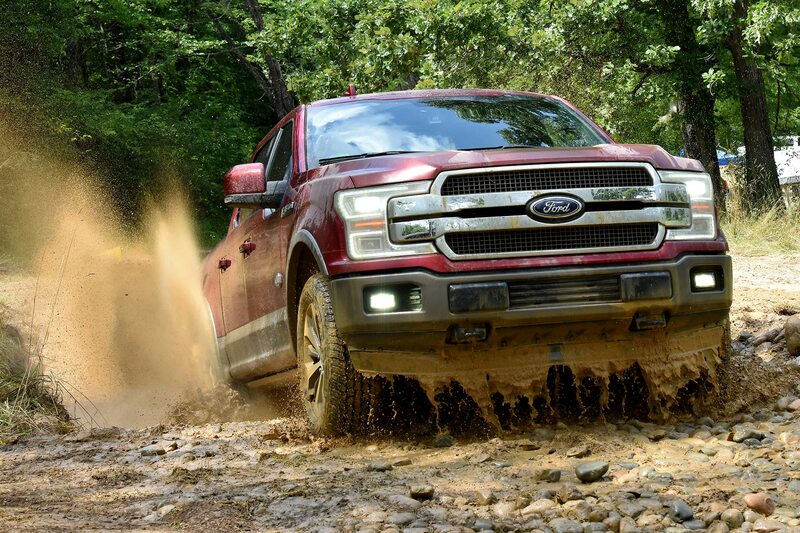 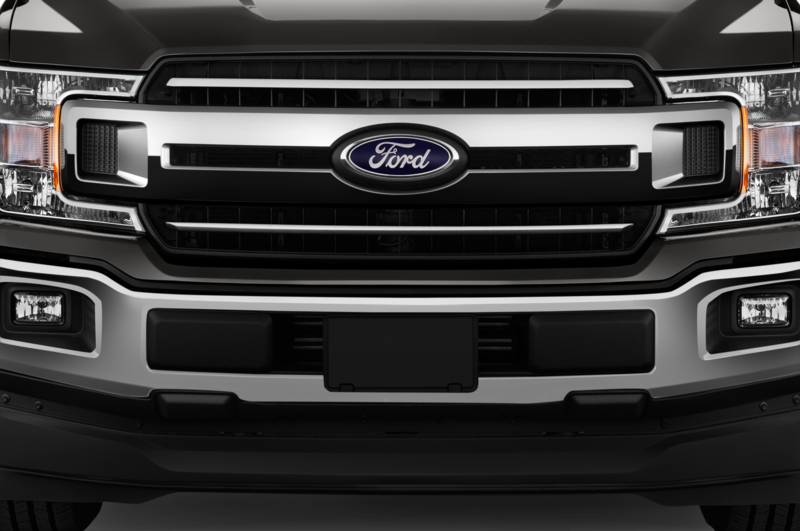 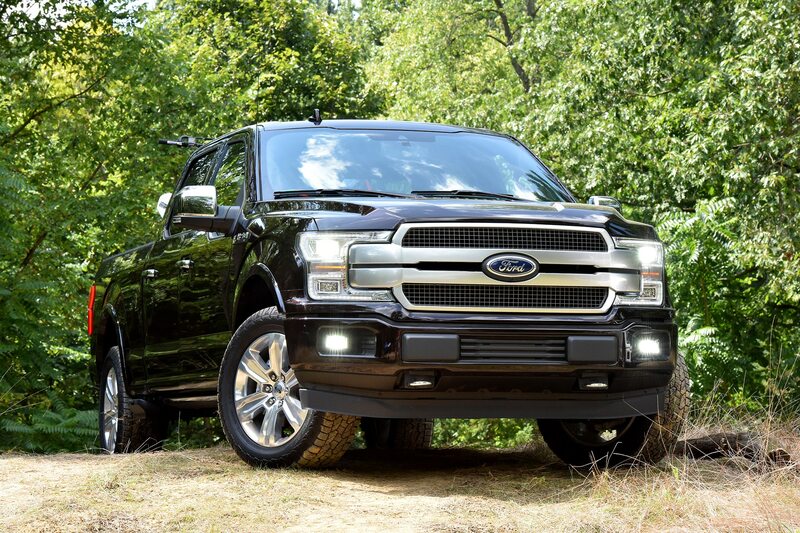 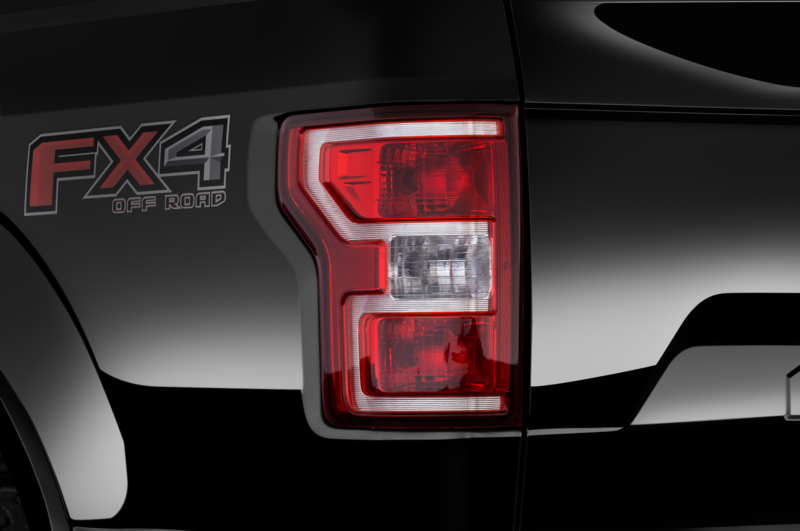 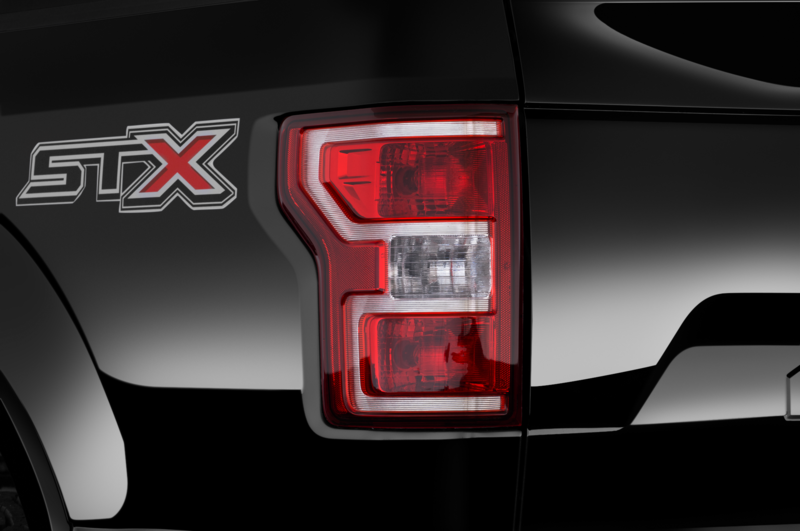 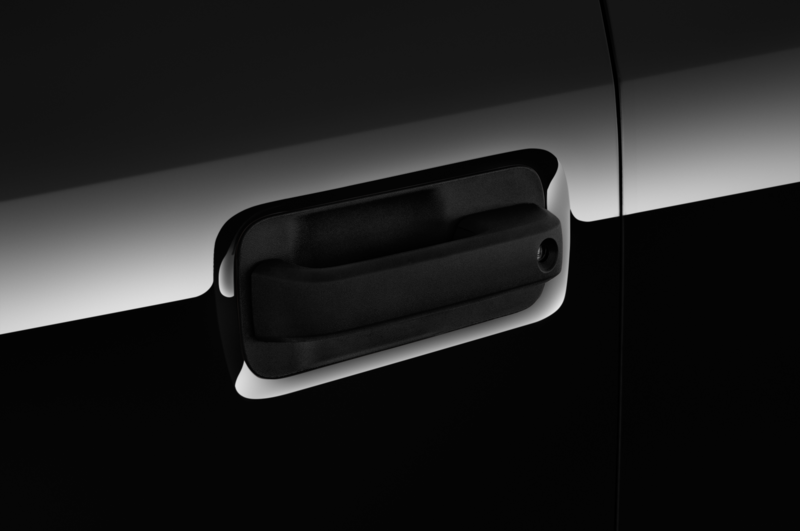 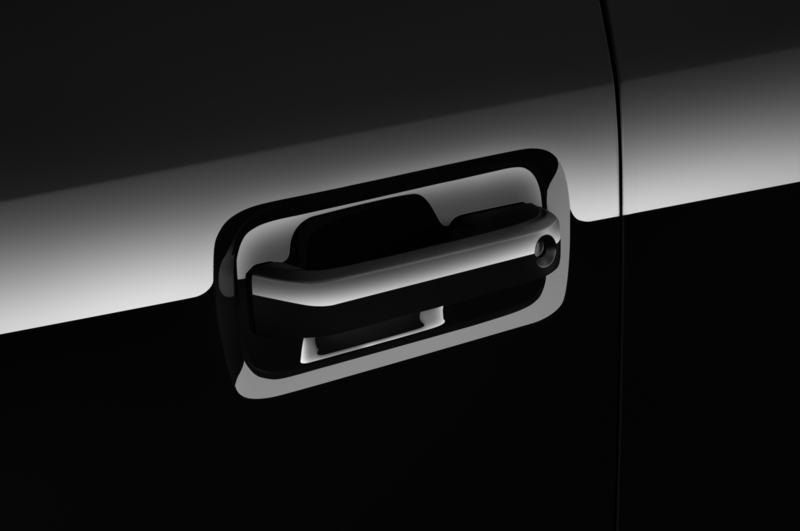 The new diesel isn’t the only addition to the F-150 lineup. 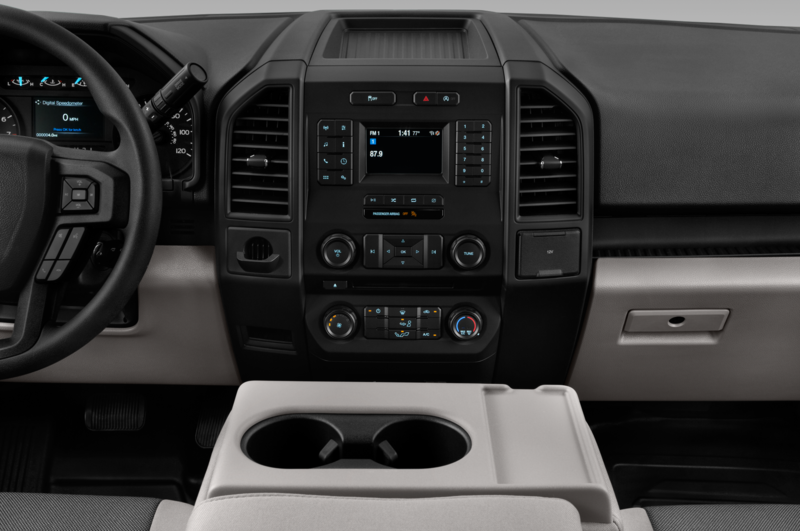 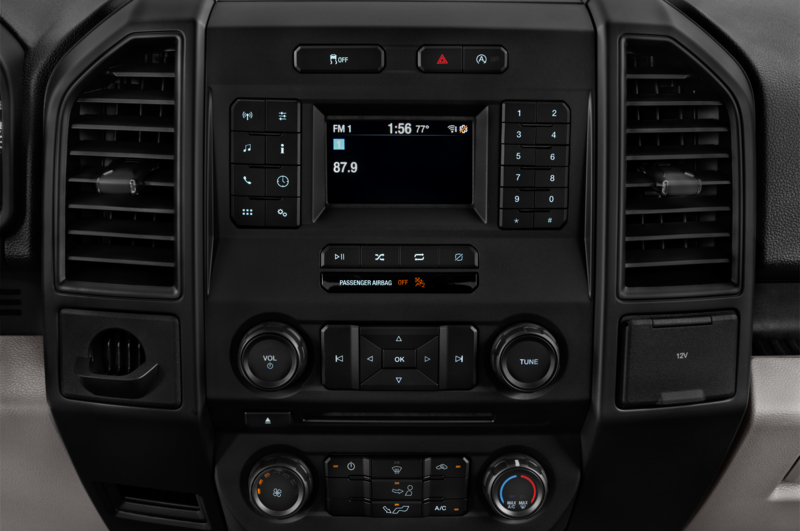 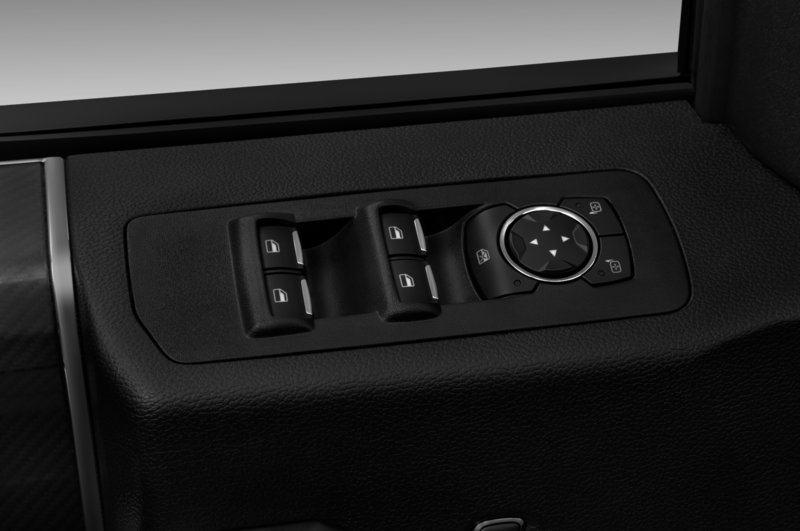 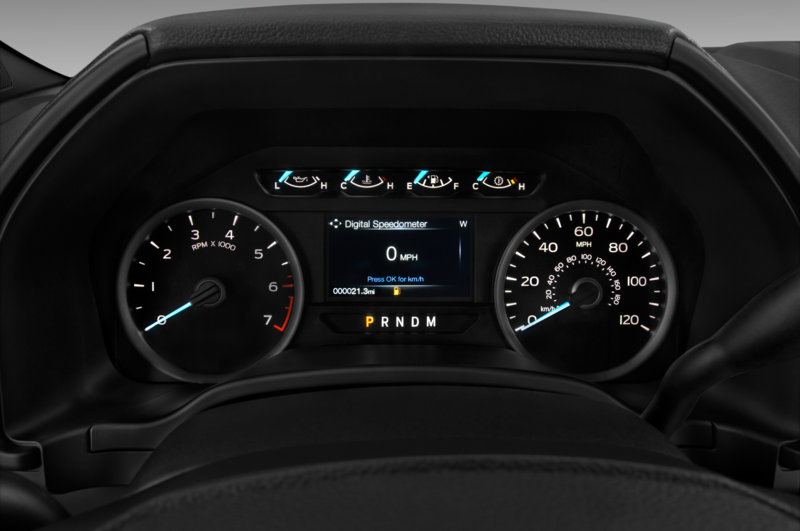 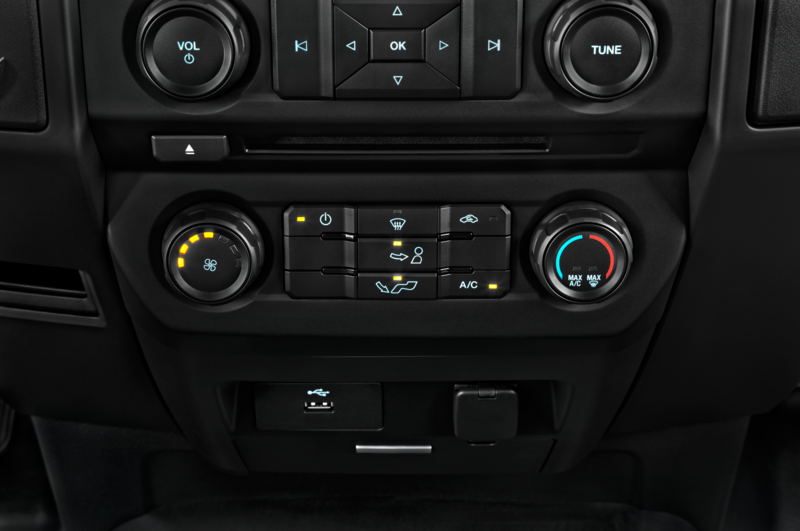 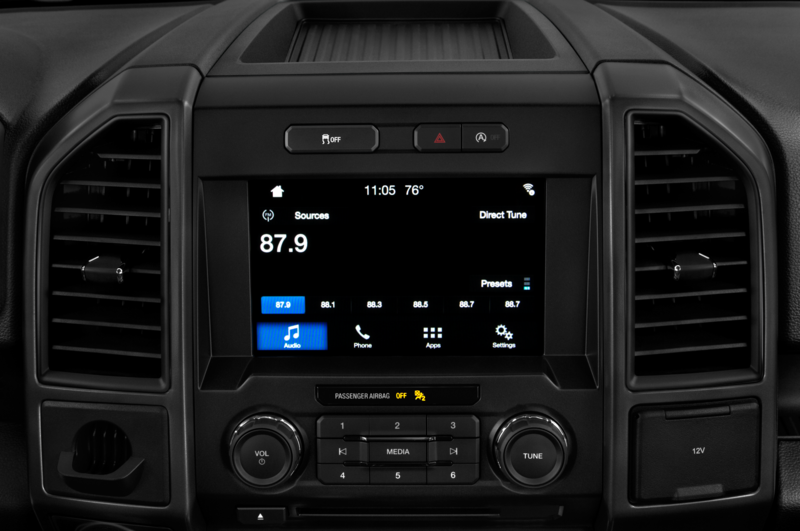 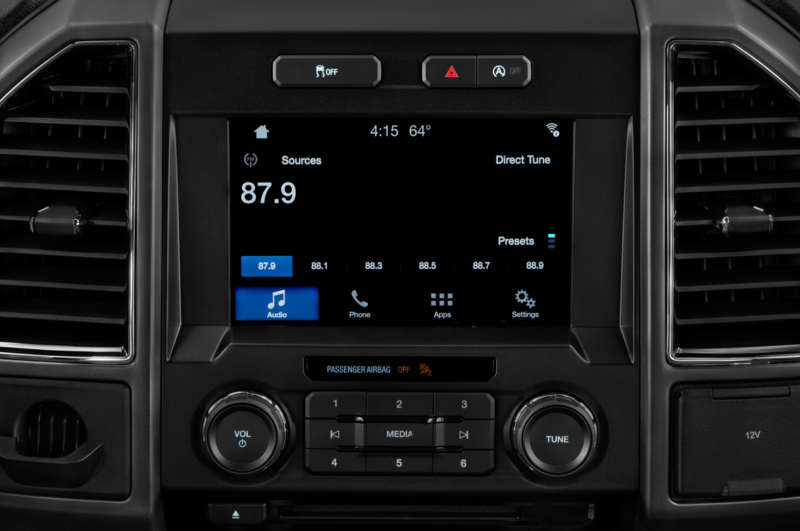 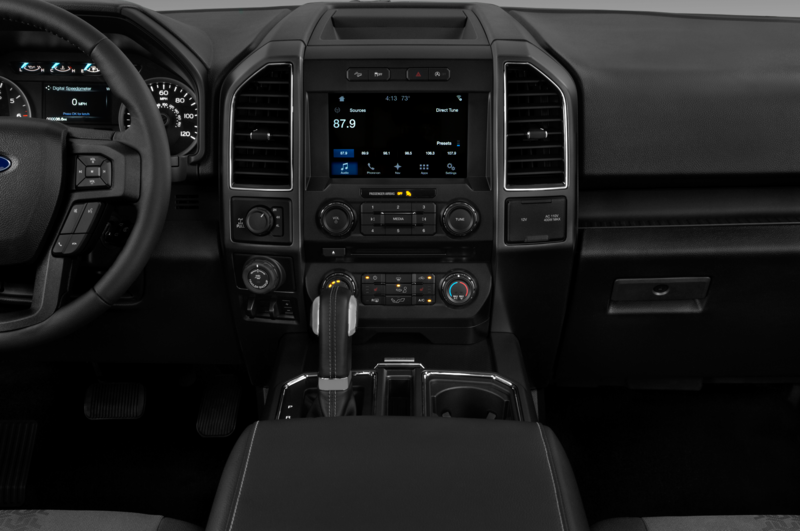 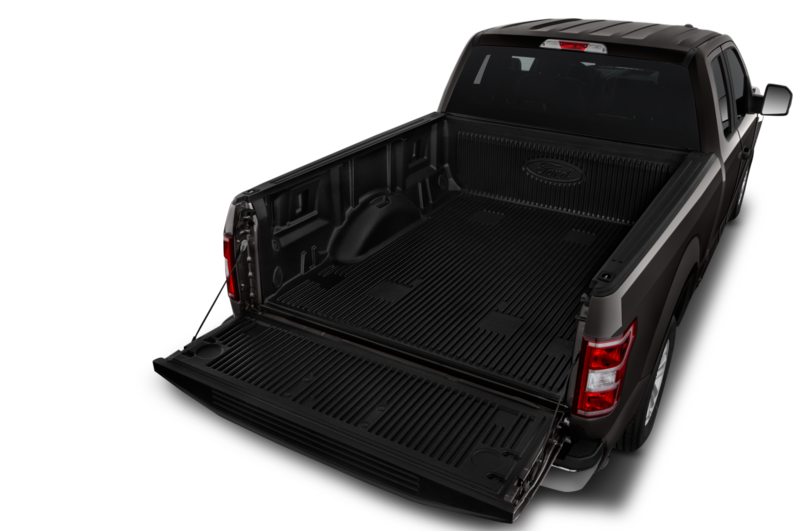 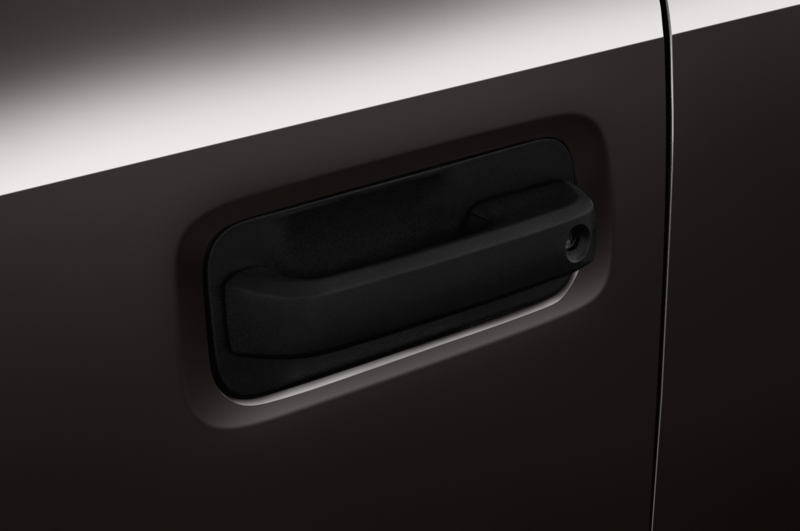 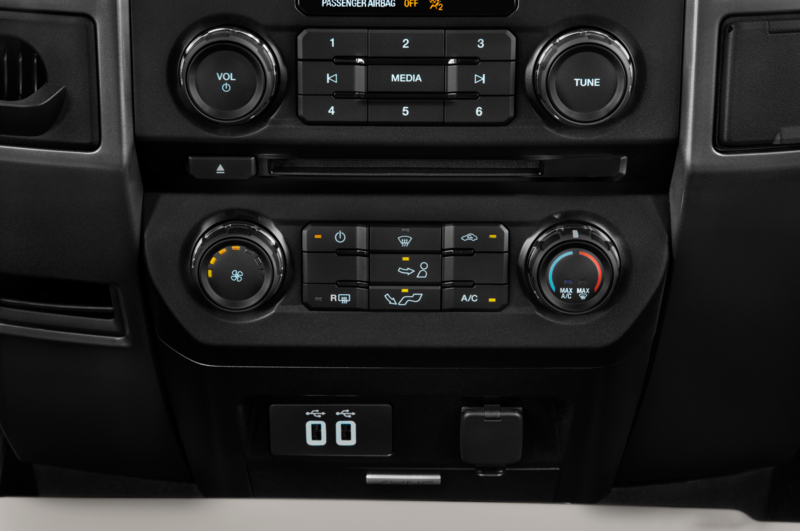 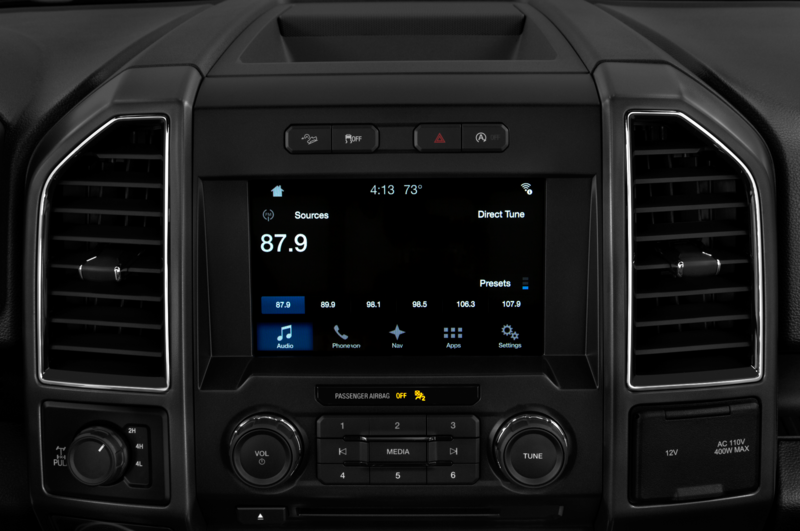 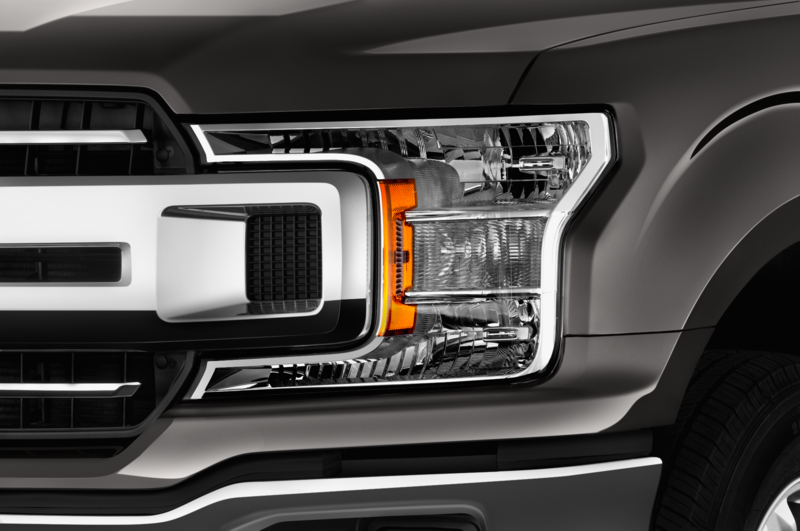 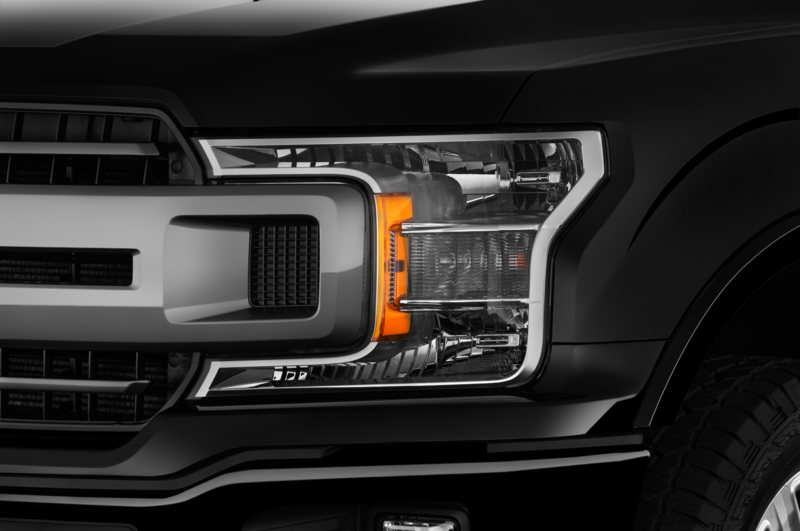 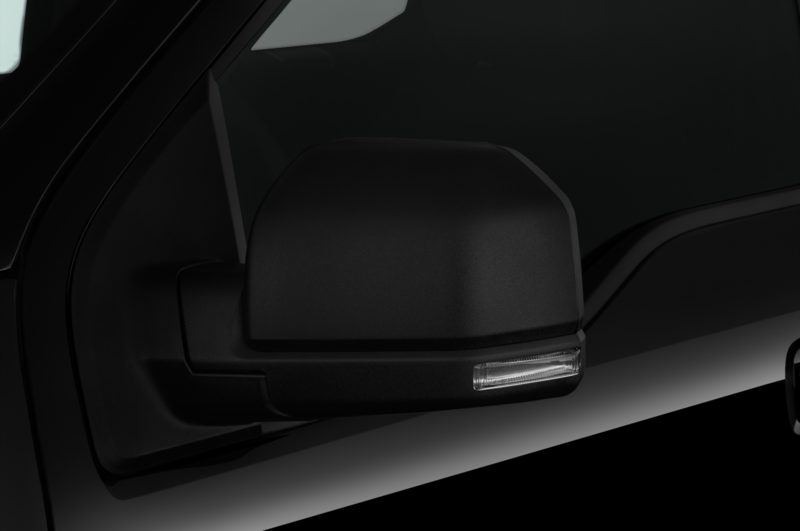 Chevrolet, GMC, and Ram are launching new half-ton pickups this year and Ford is eager to ruin their picnic, so the F-150 also gets new Super-Duty-esque front styling, interior updates for all but the low-end XL and XLT models, and new options including full-stop adaptive cruise control and a Wi-Fi hotspot. 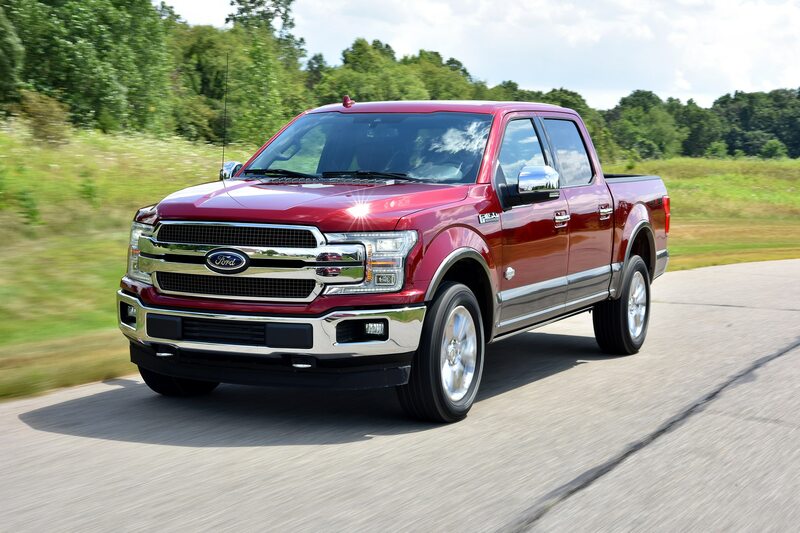 The entry-level 3.5-liter V-6 has been replaced in favor of a 3.3-liter six with a bit more horsepower and a bit less torque, the 2.7-liter EcoBoost V-6 and 5.0-liter V-8 get internal upgrades, and all engines now feature an auto stop/start function. 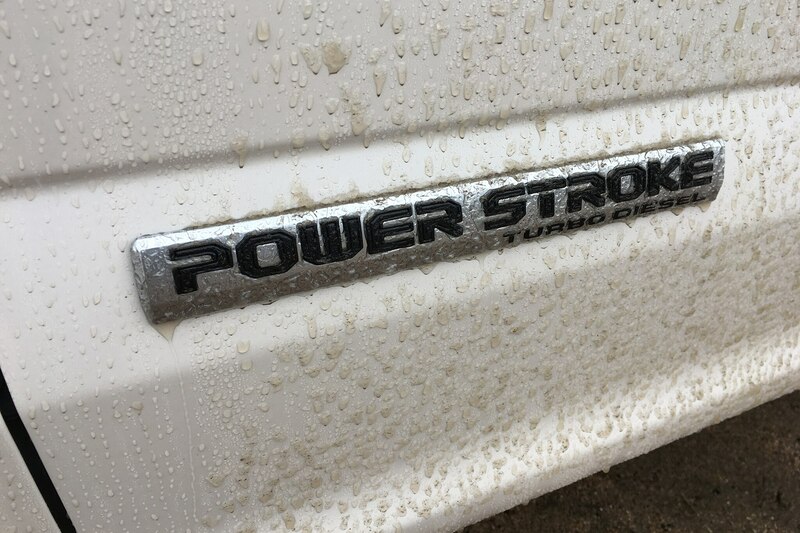 Still, the Power Stroke diesel is the real standout. 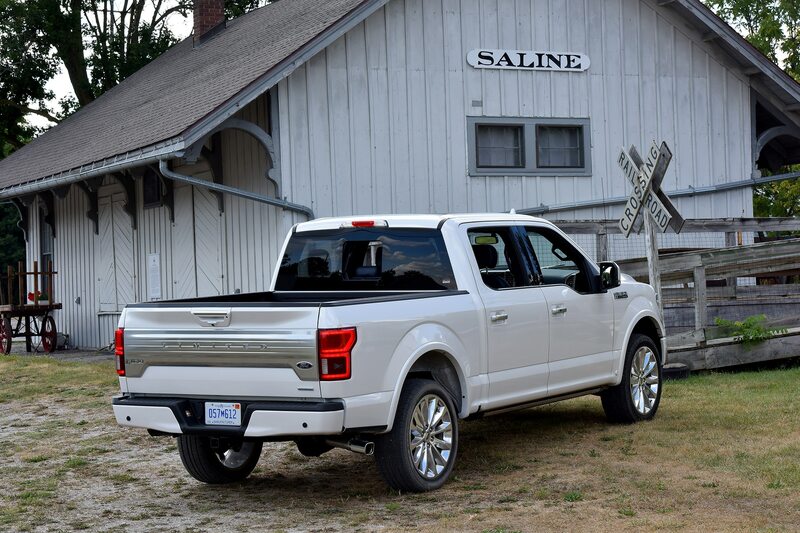 General Motors announced a new 3.0-liter straight-six diesel for its 2019 half-ton trucks, but its introduction is still some months away. 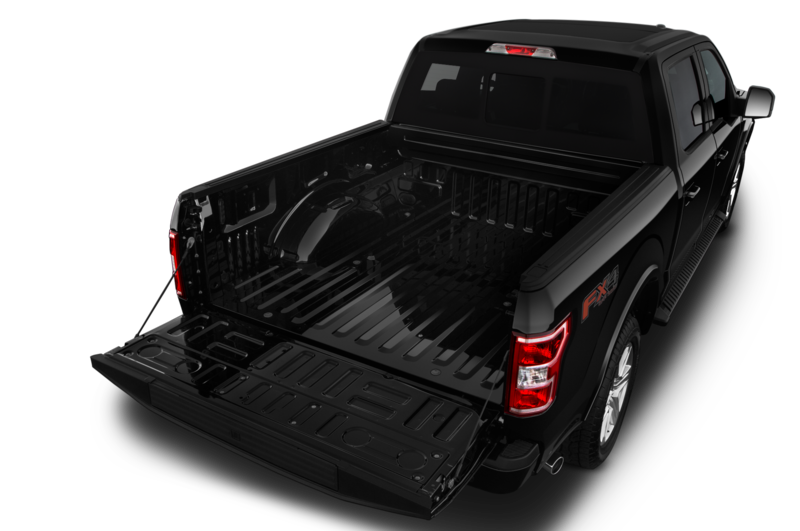 Ram ceased production of its EcoDiesel V-6 in 2016 under a cloud (heh) of suspicion about its emissions software. A new version is in the works for the Ram 1500 (as well as a planned software fix for older EcoDiesels), but it won’t get here until calendar year 2019. 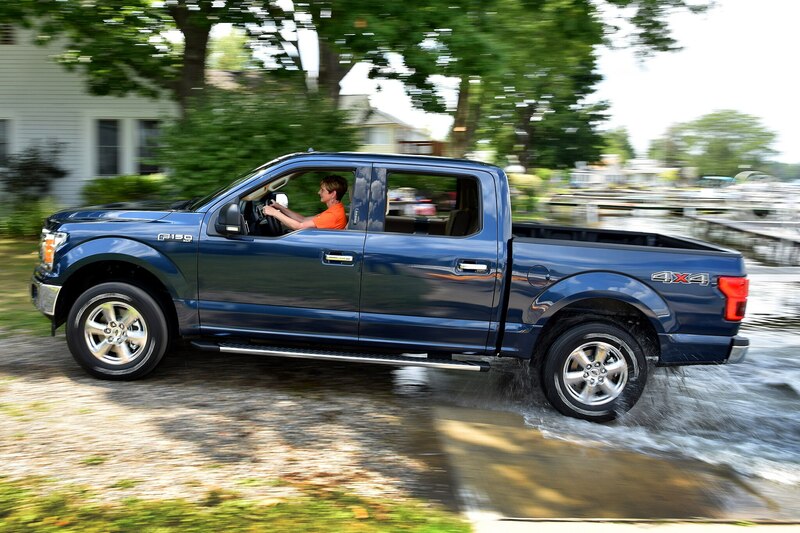 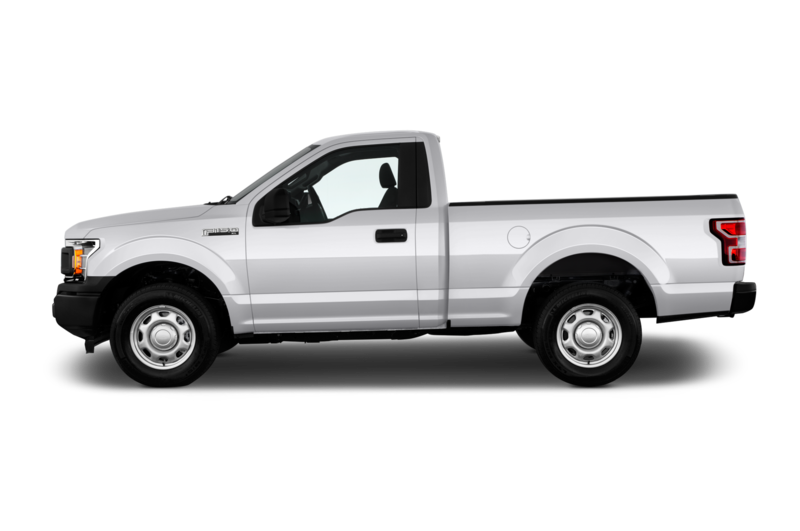 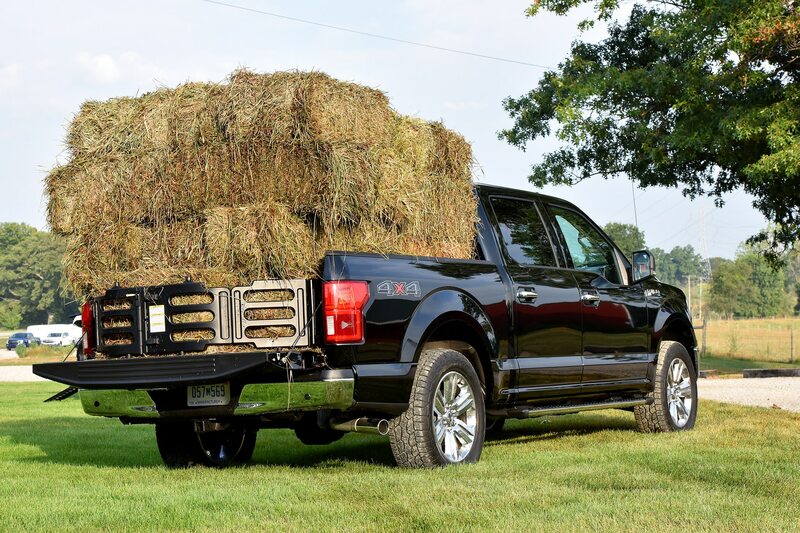 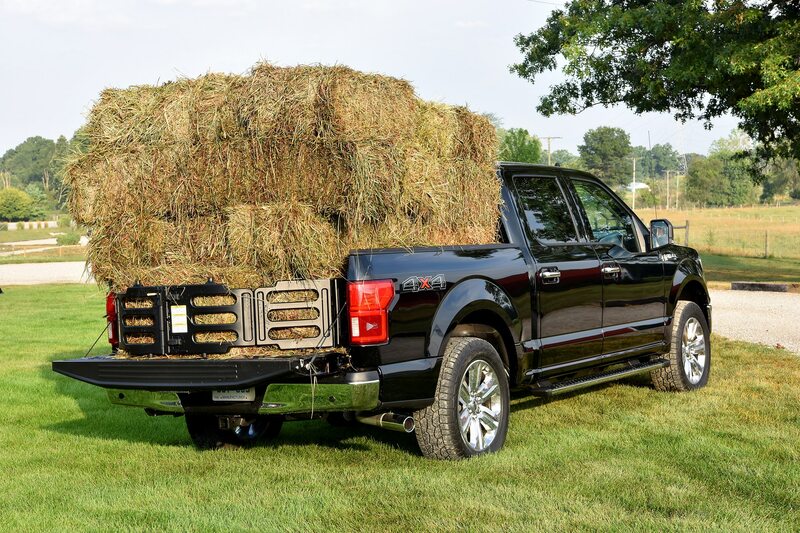 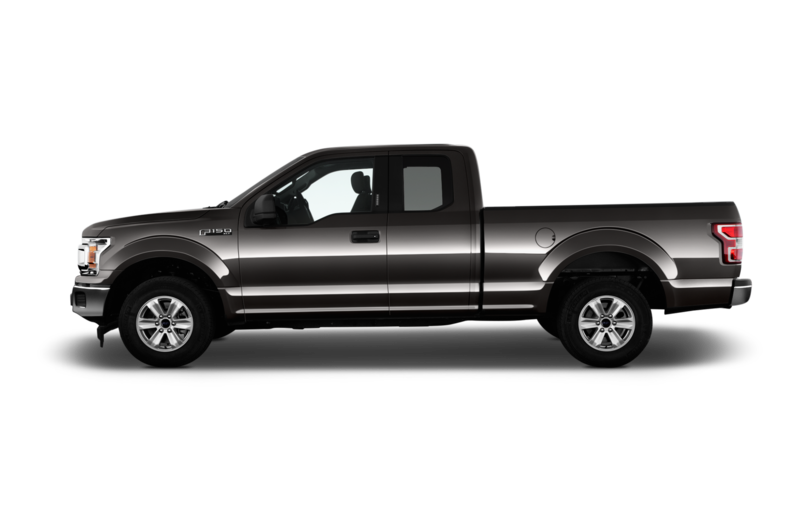 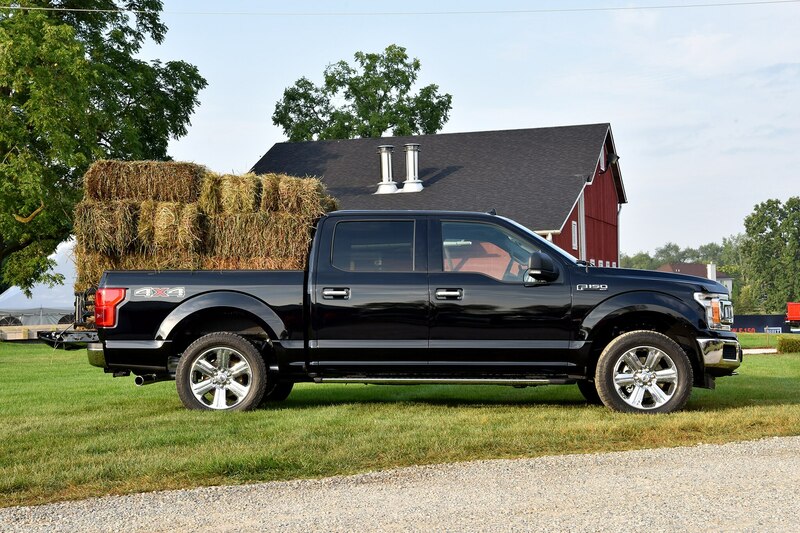 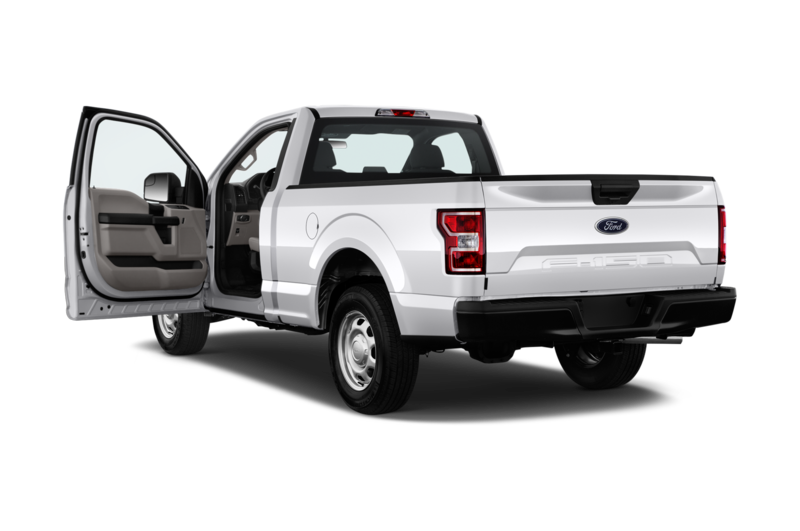 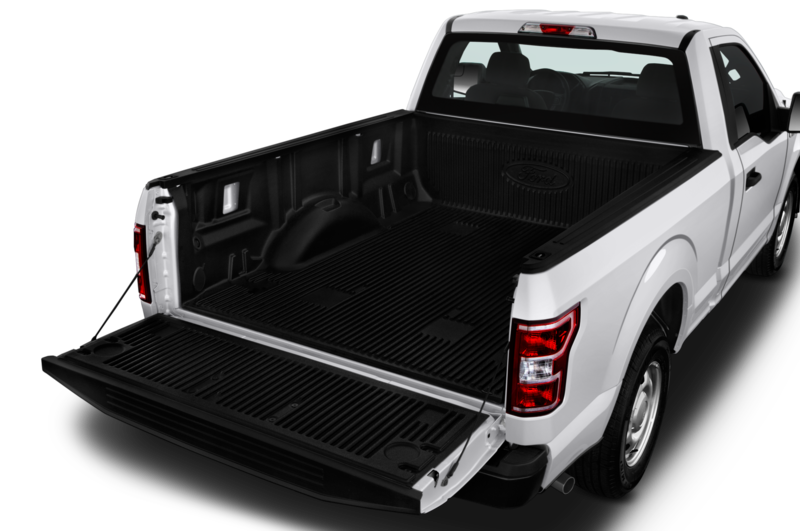 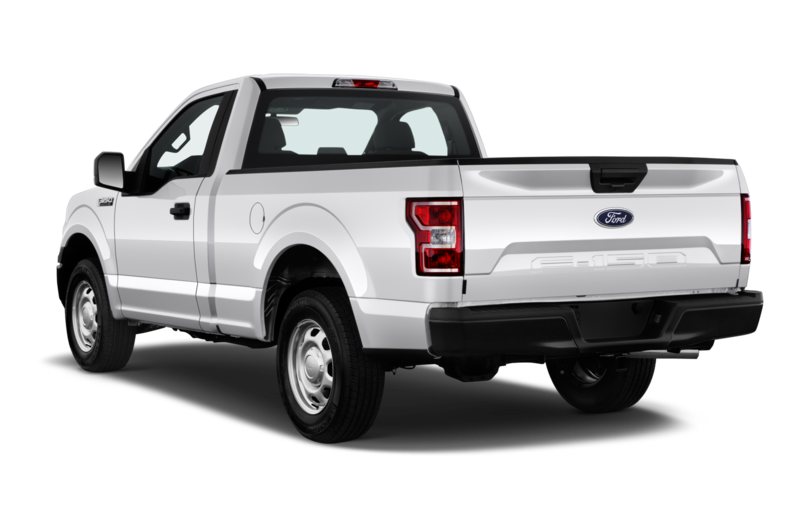 That leaves Ford, for a short time at least, as the only half-ton pickup with a diesel engine—and a good one at that. 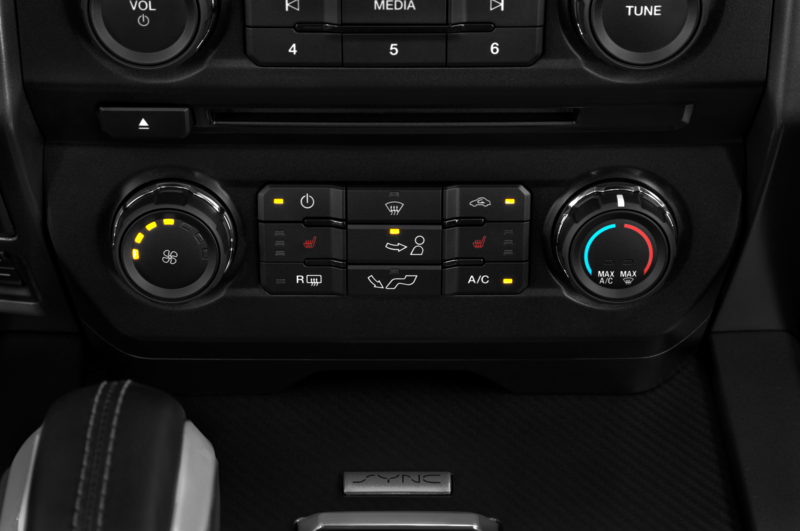 Word to the wise: If you plan a trip to hell, bring hand warmers.